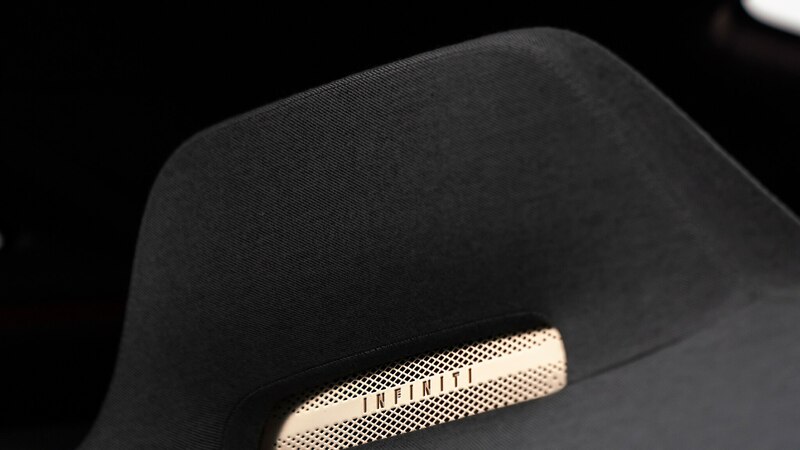 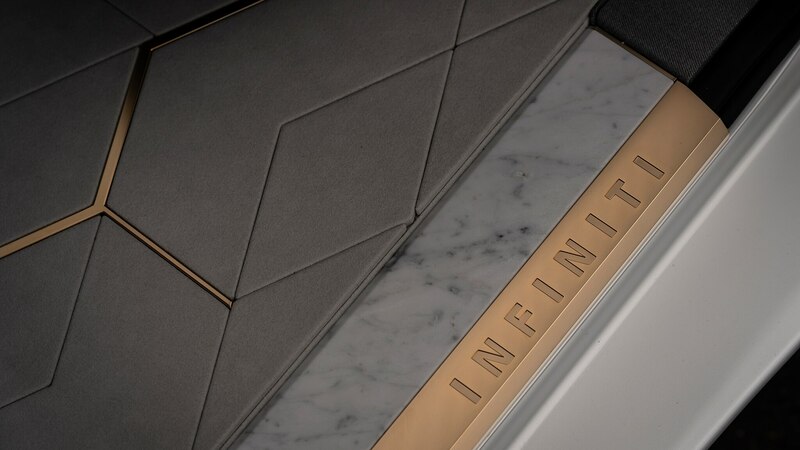 A preview of what’s coming in terms of styling and technology for the brand. 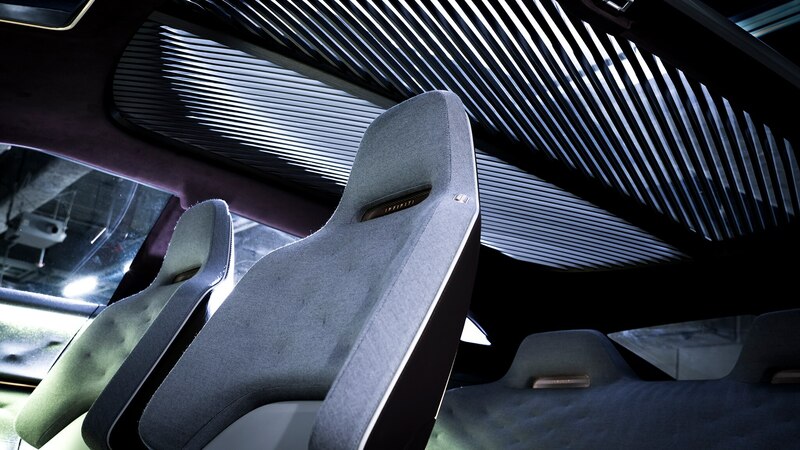 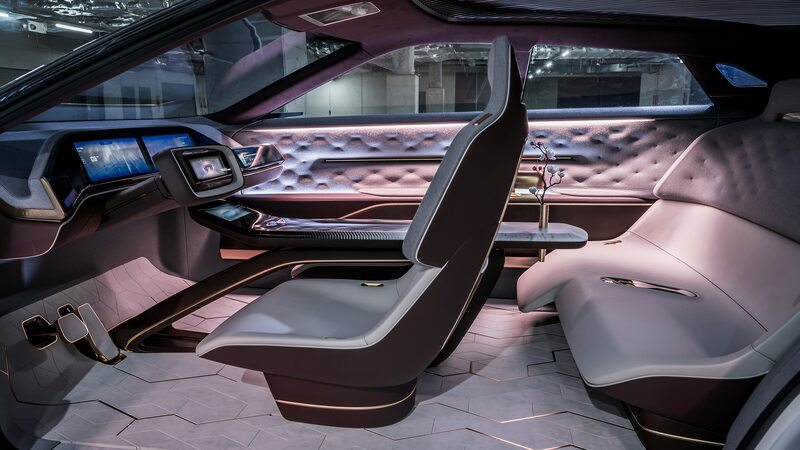 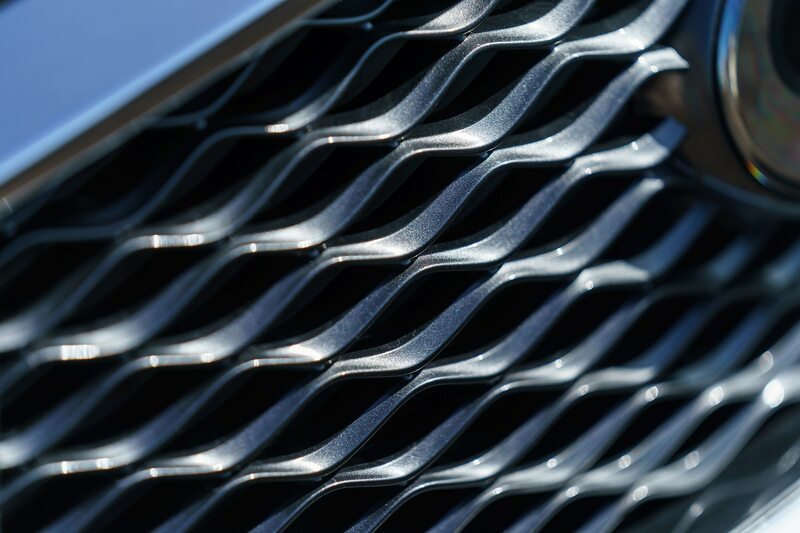 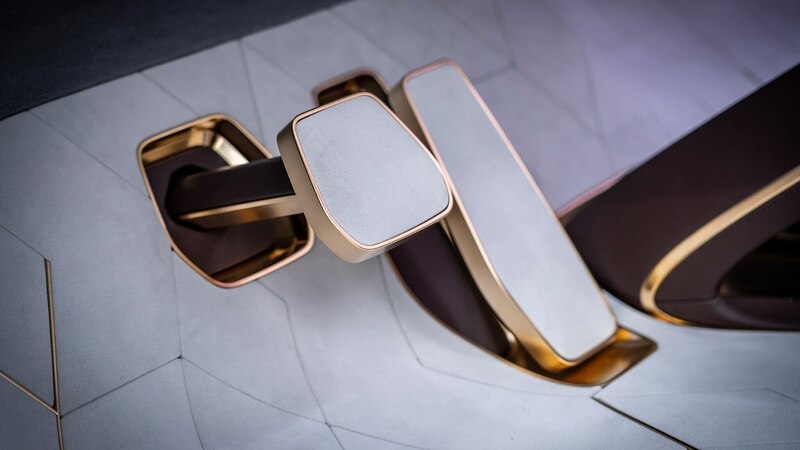 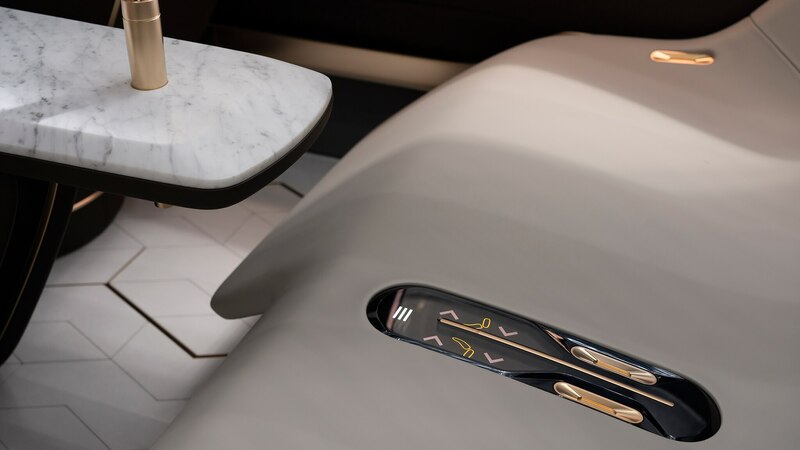 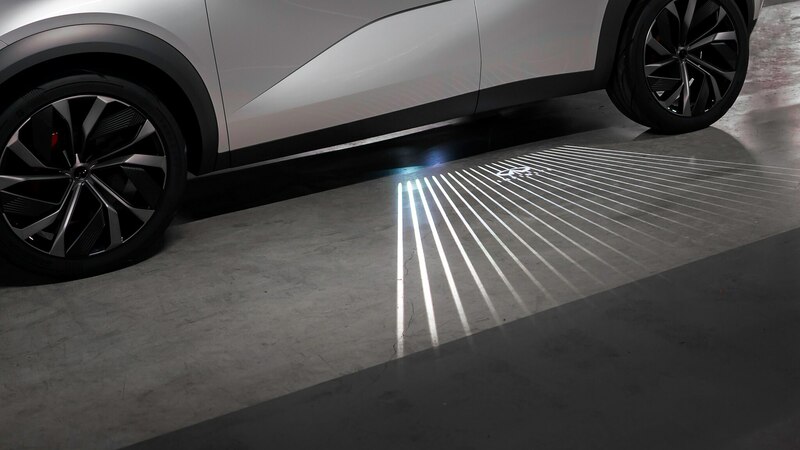 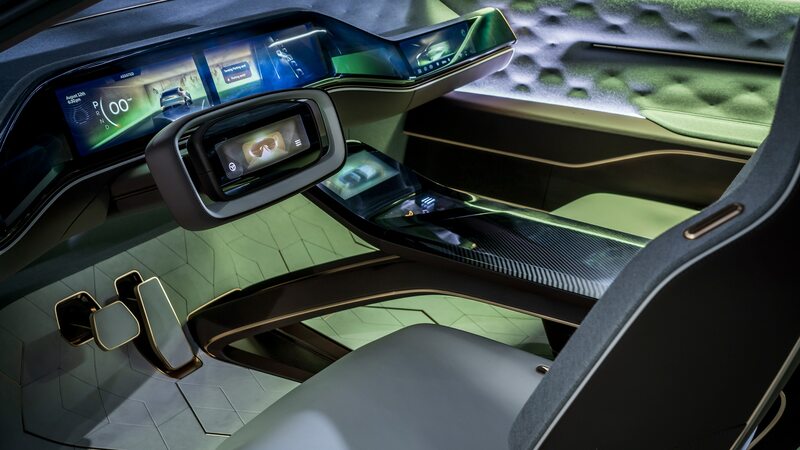 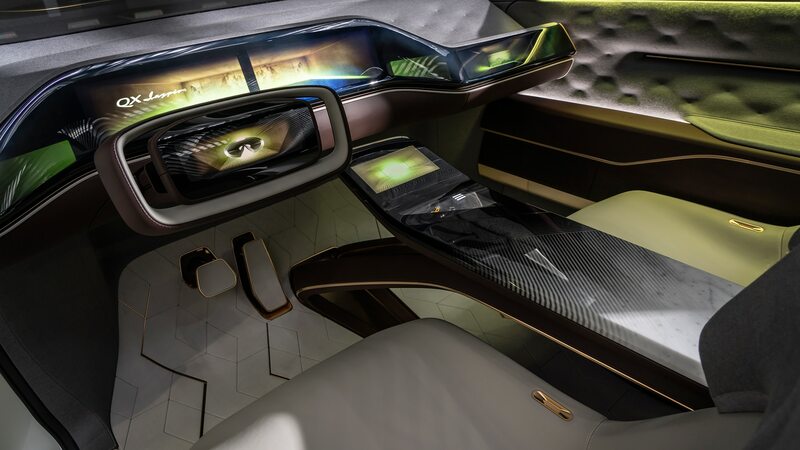 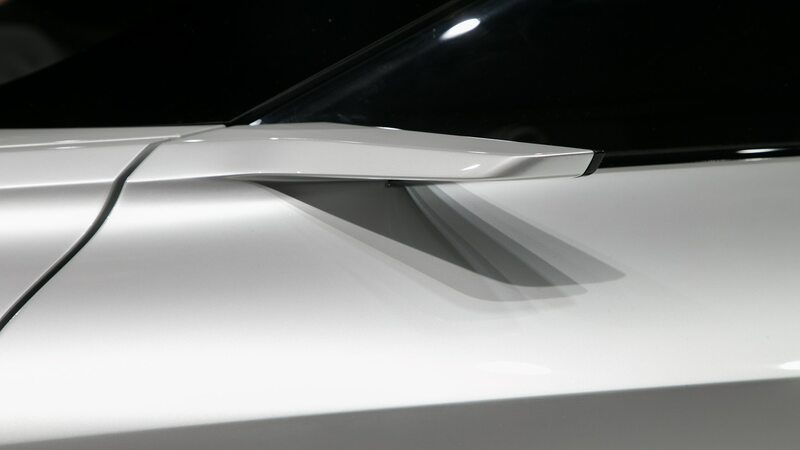 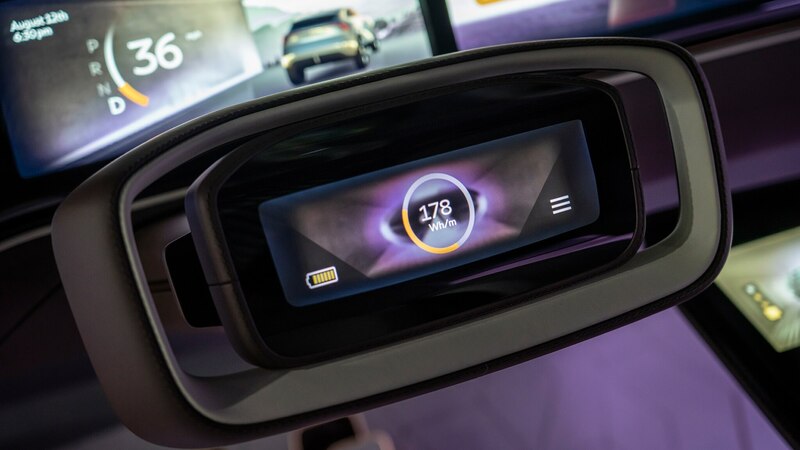 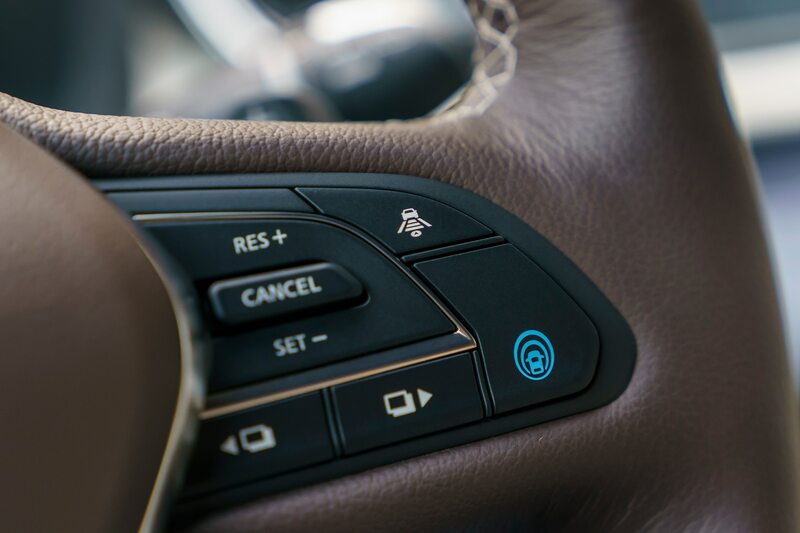 Concept cars are automakers’ opportunity to announce not only their future designs, but also their future technologies. 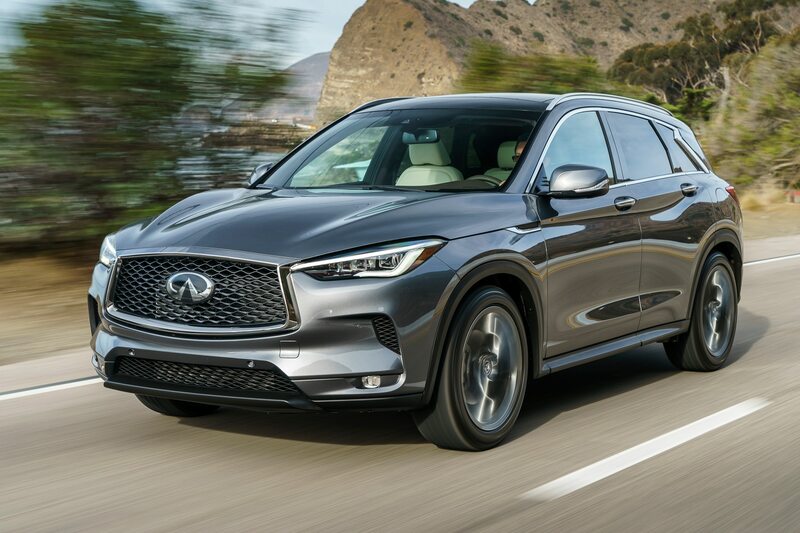 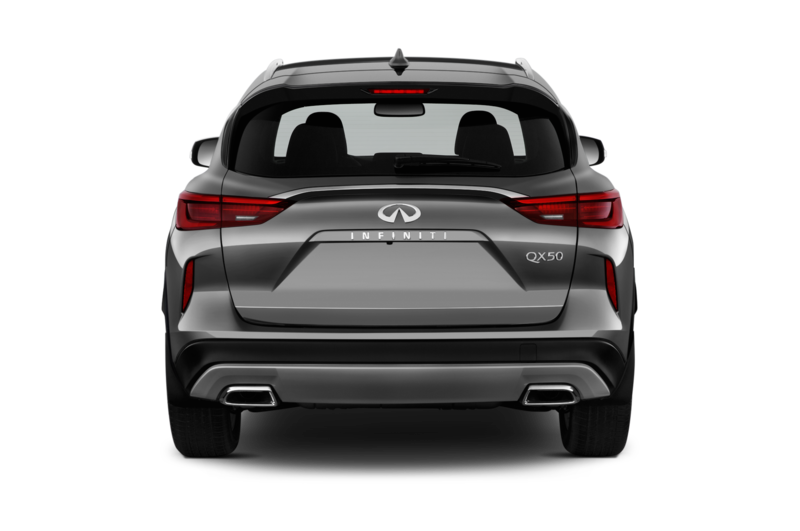 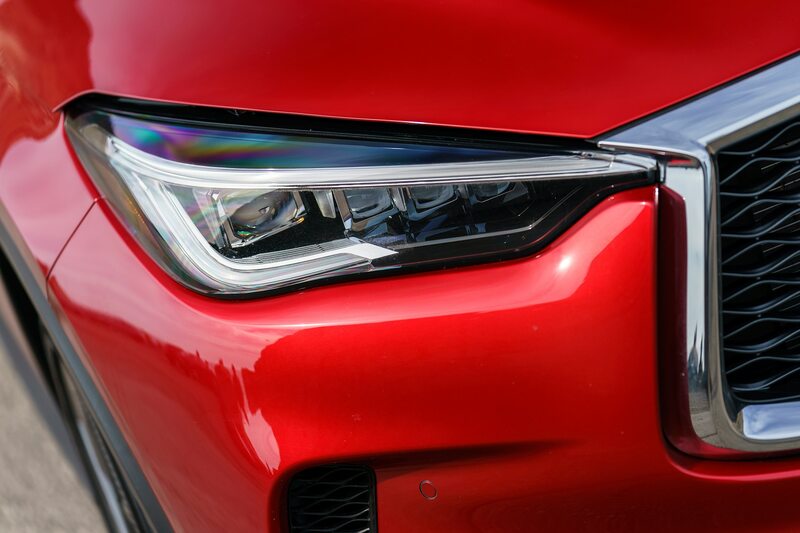 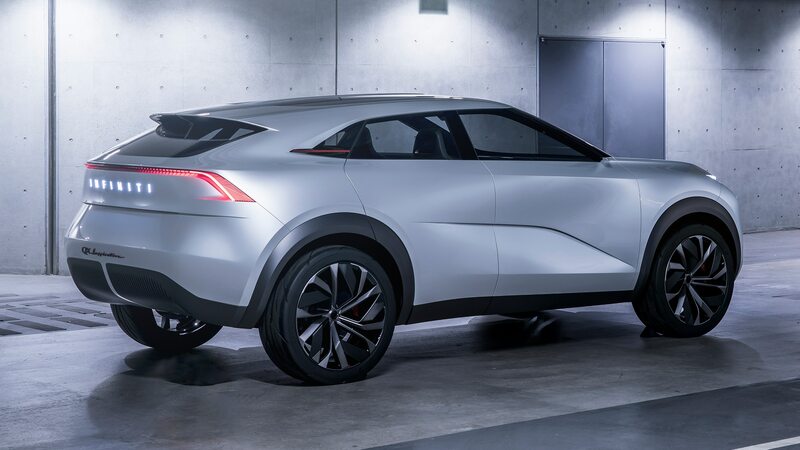 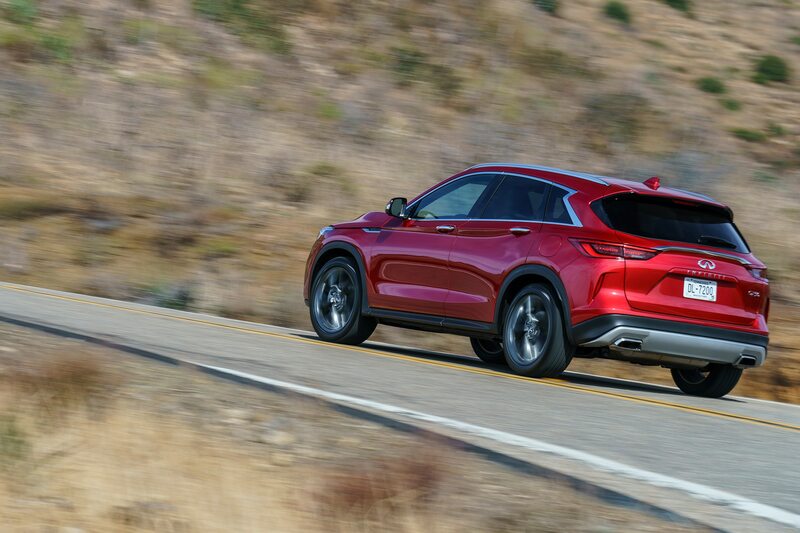 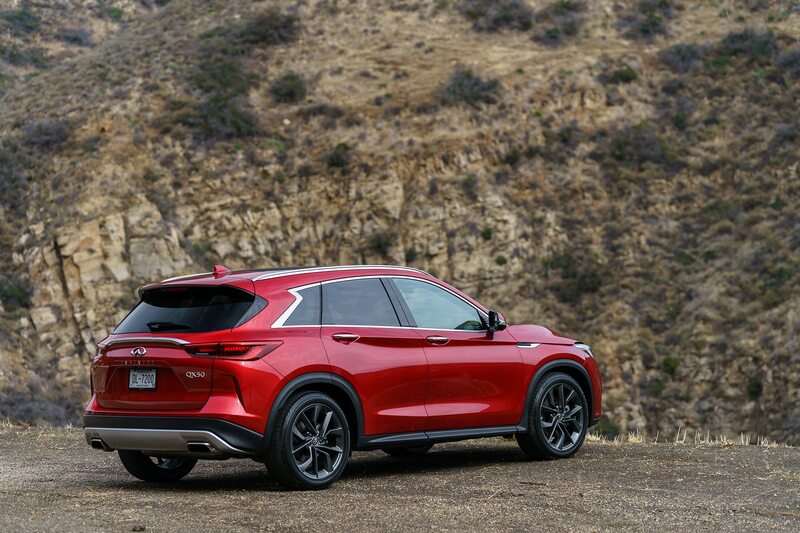 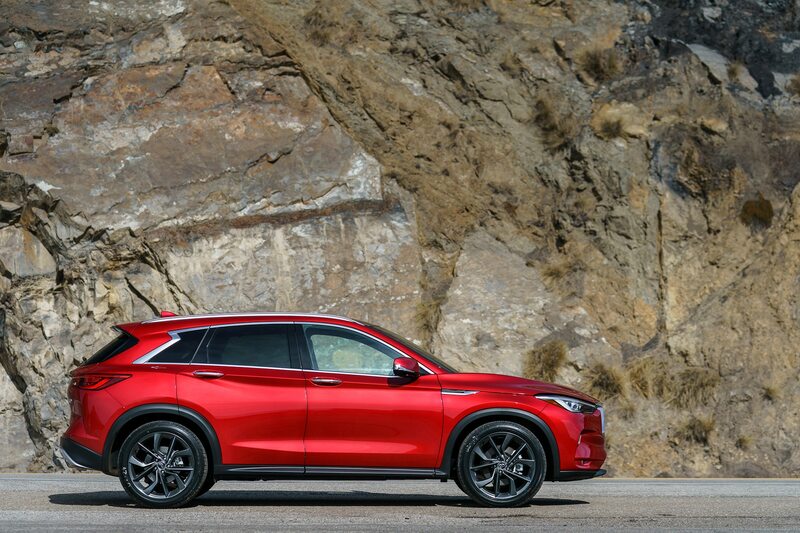 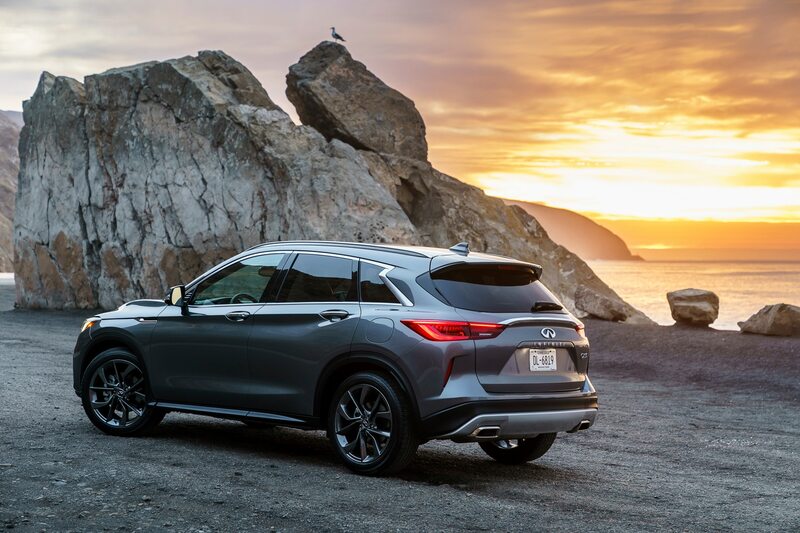 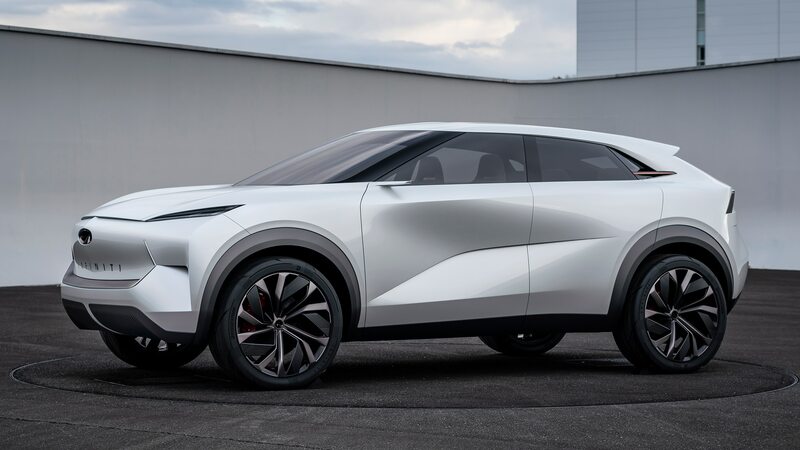 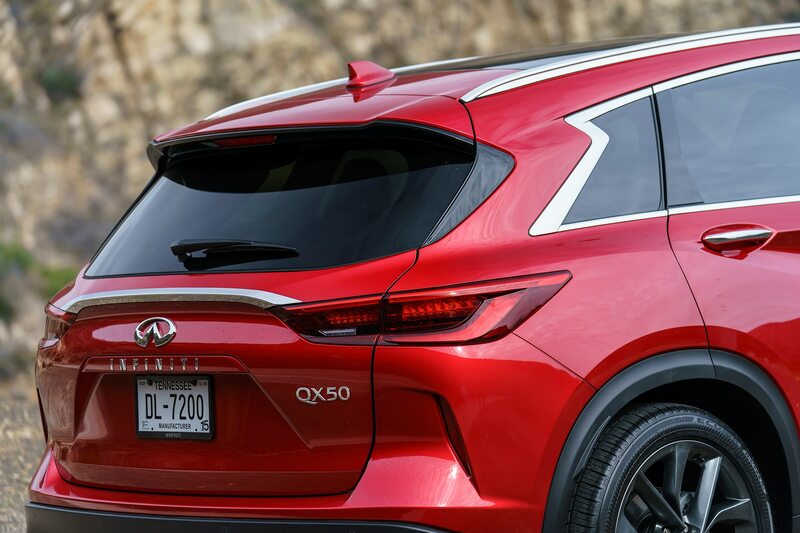 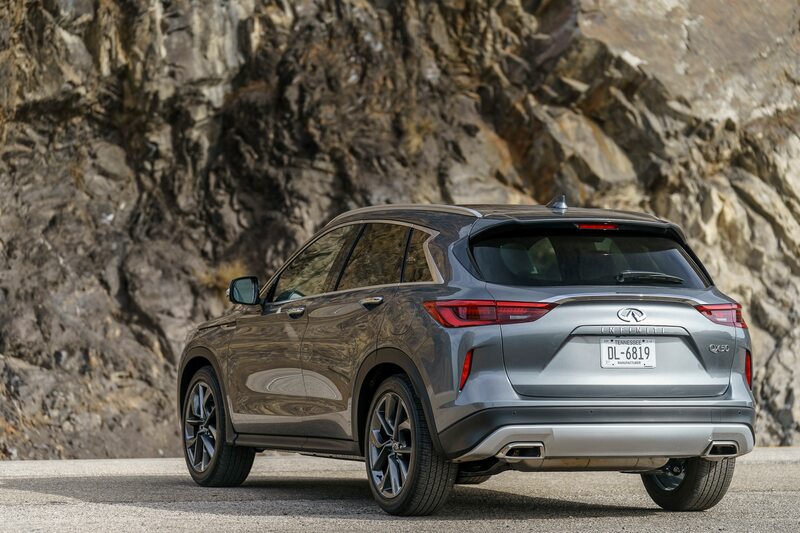 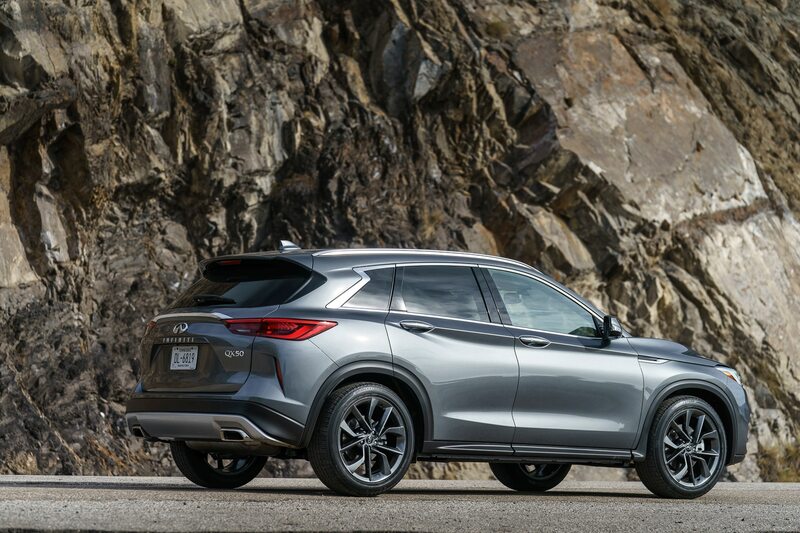 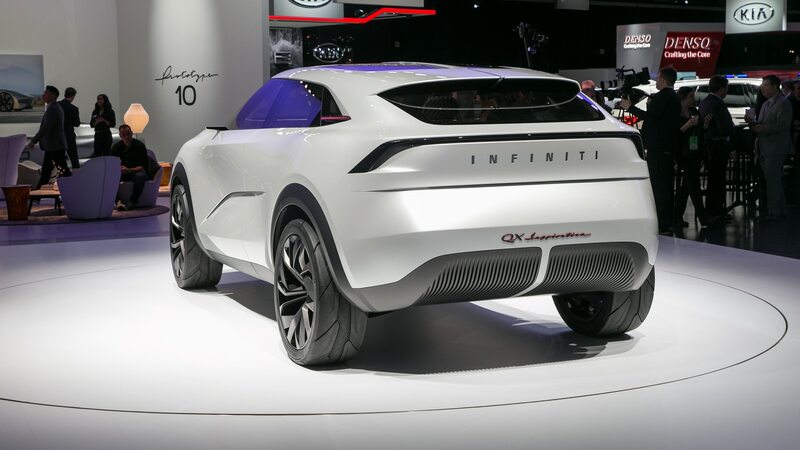 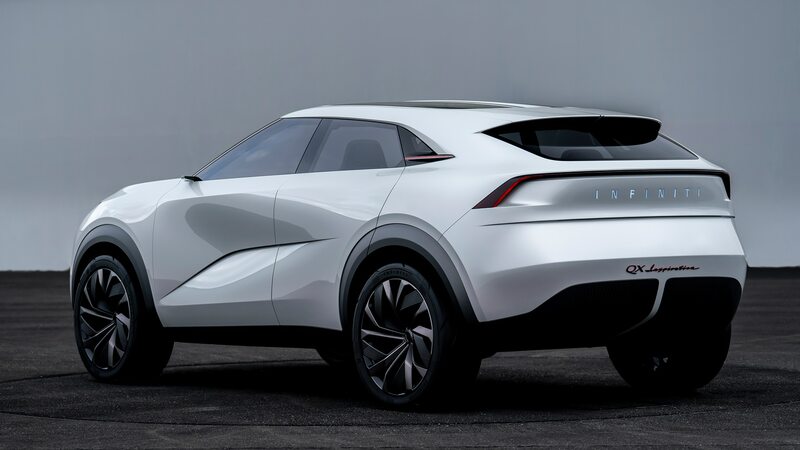 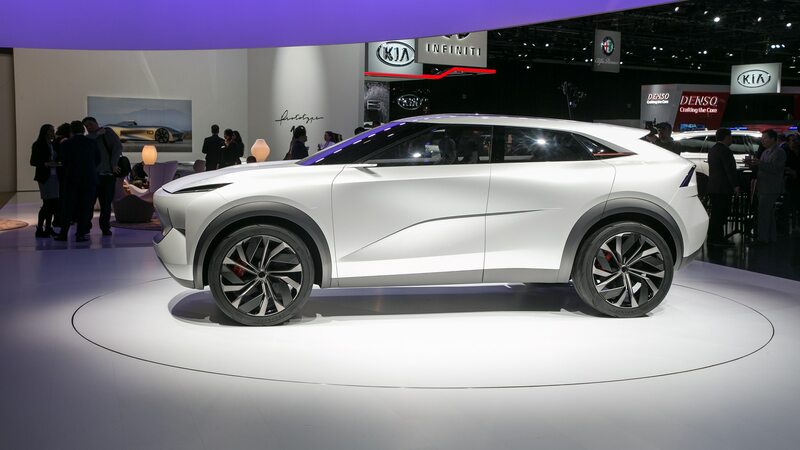 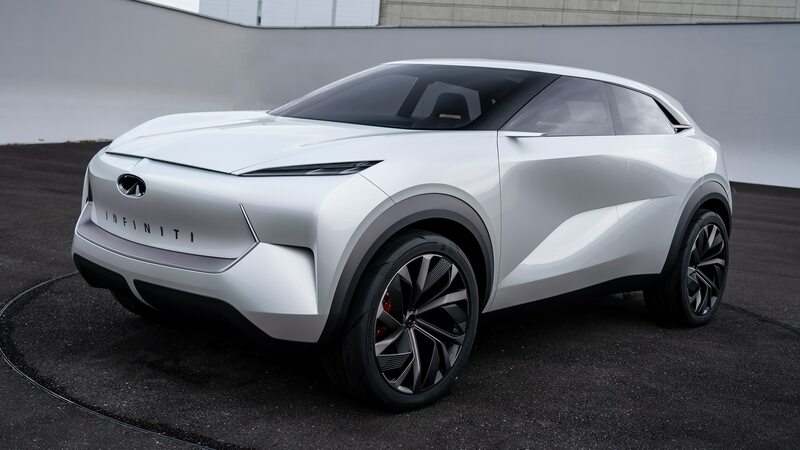 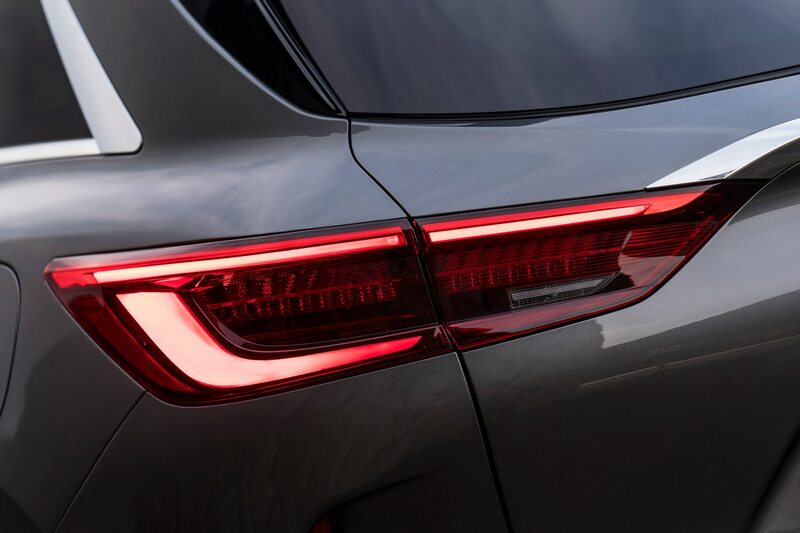 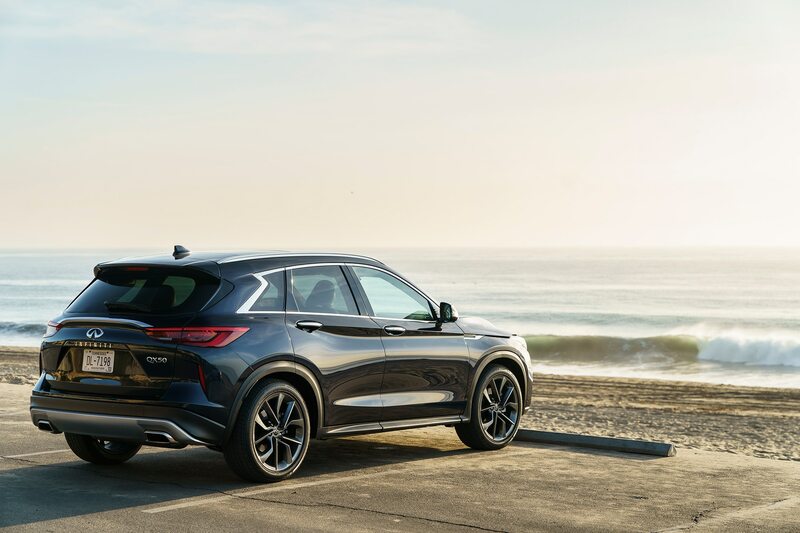 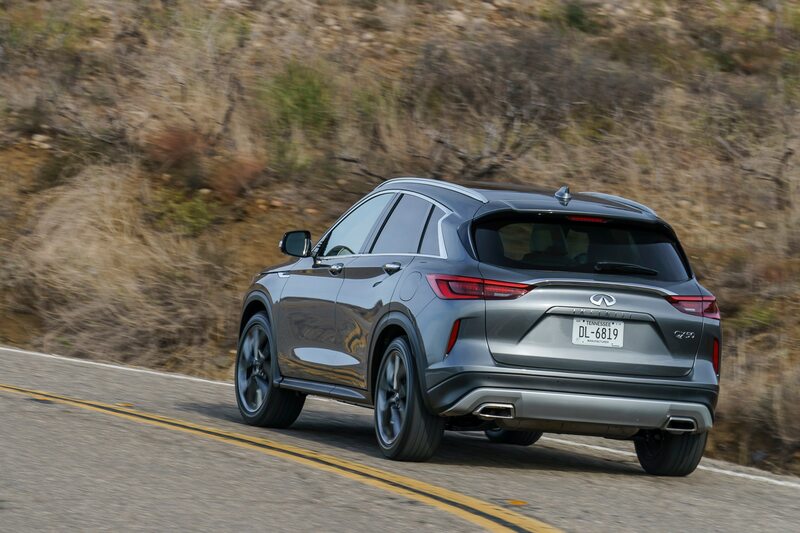 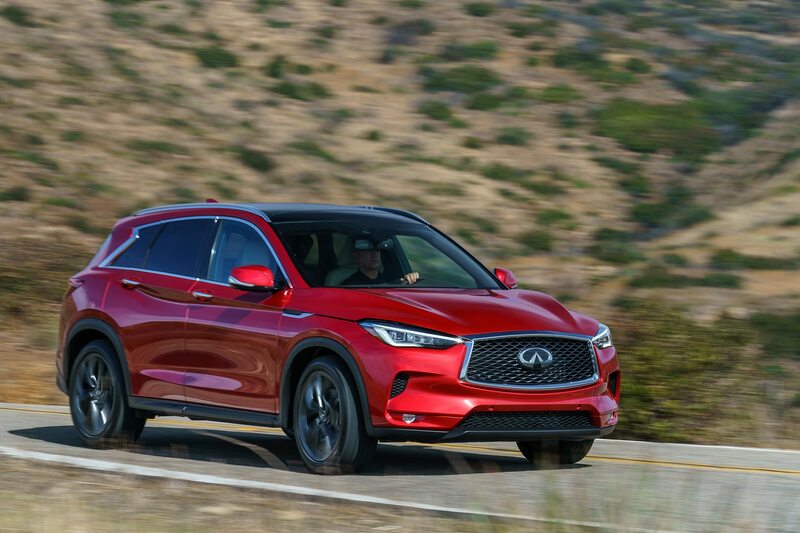 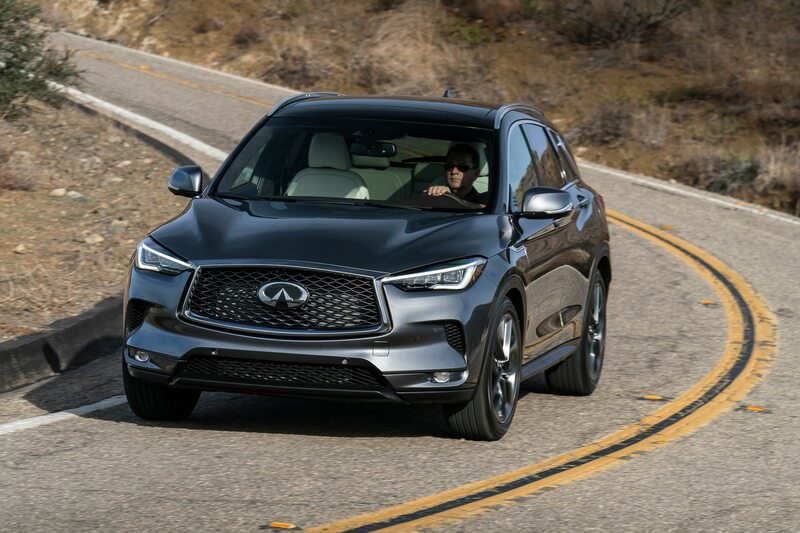 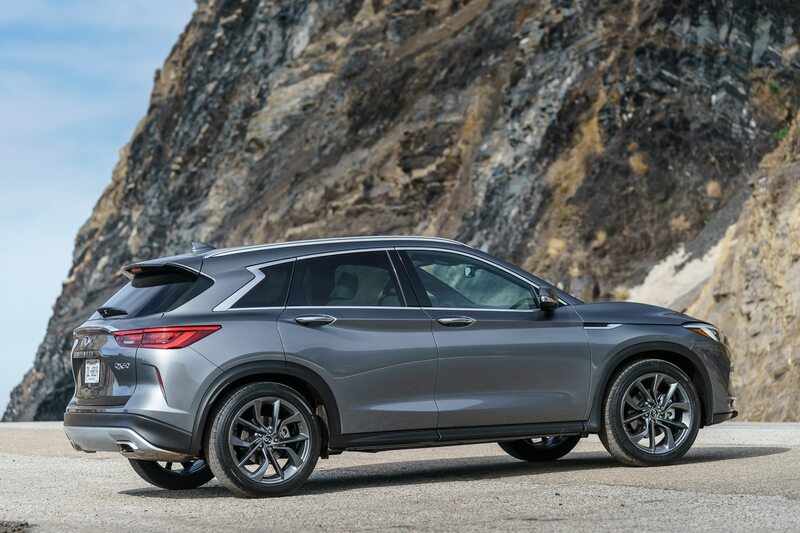 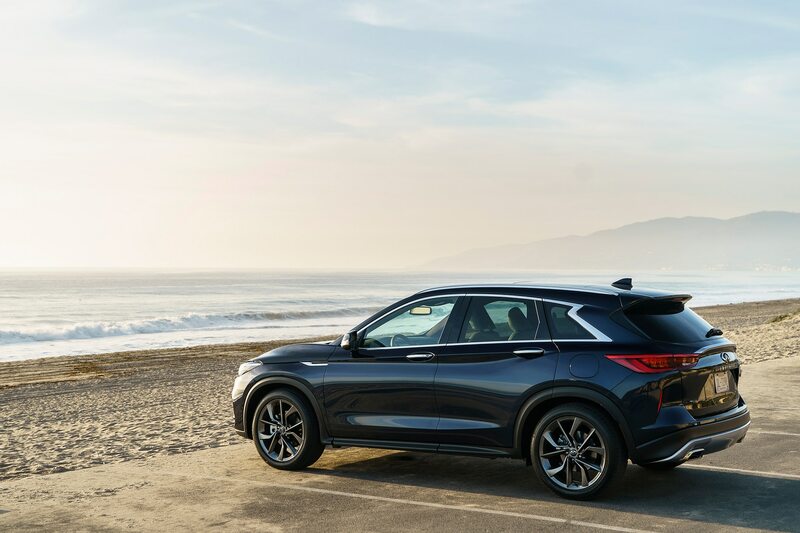 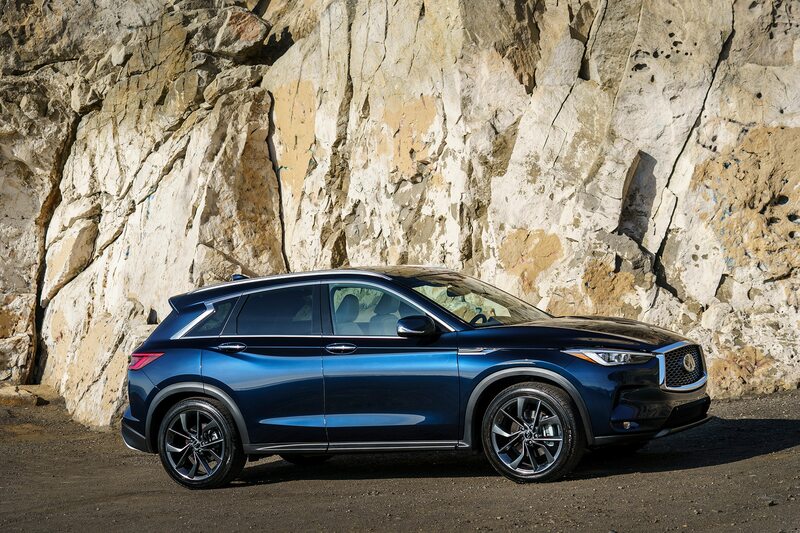 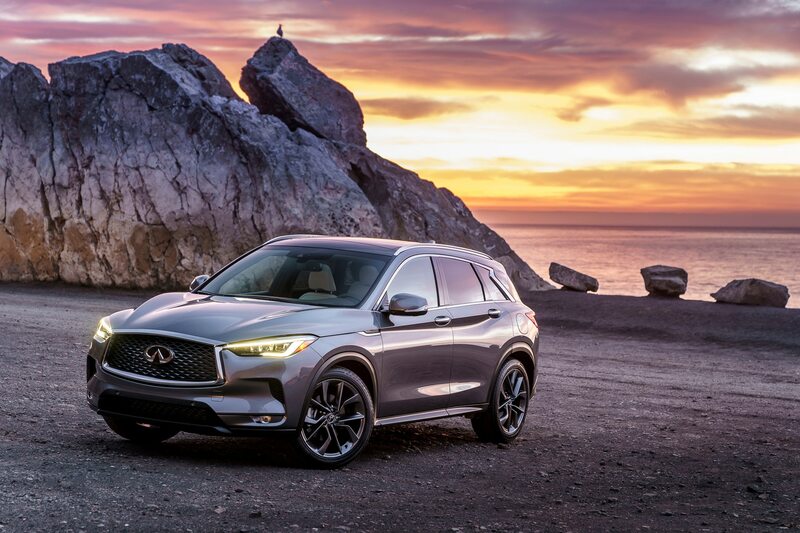 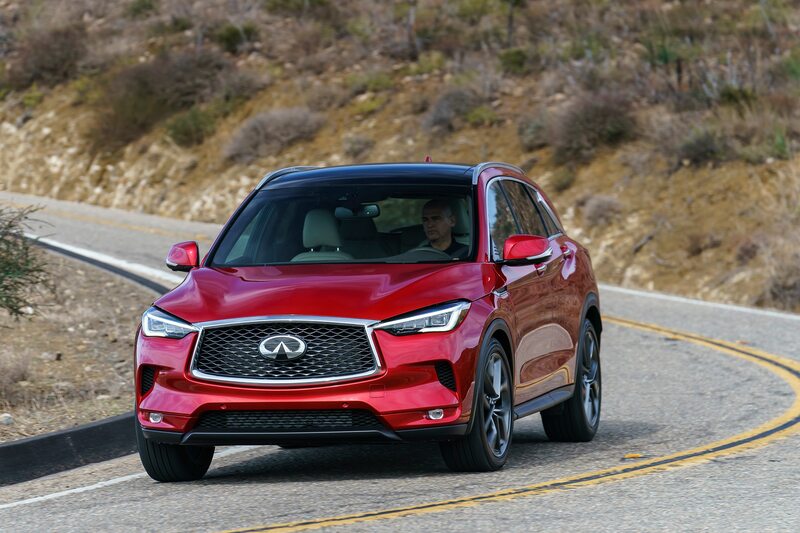 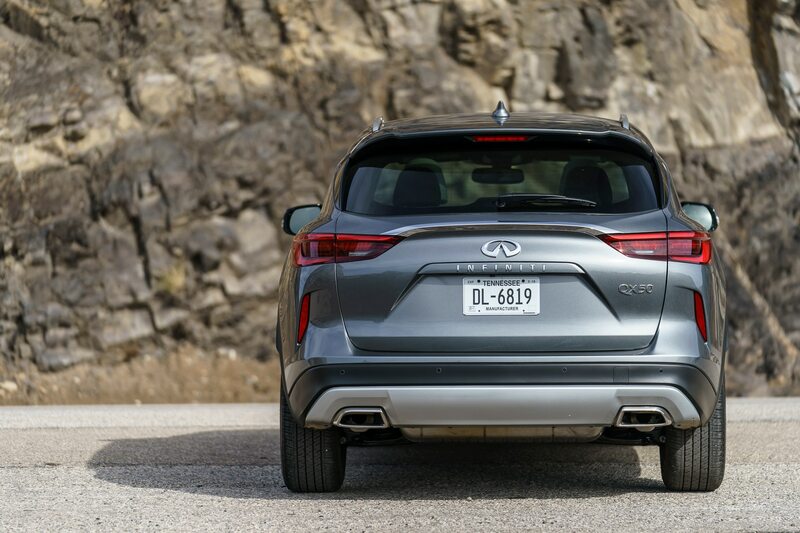 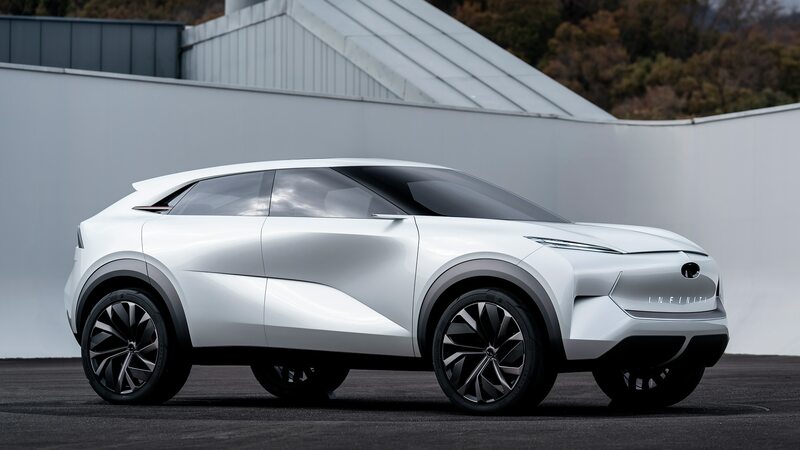 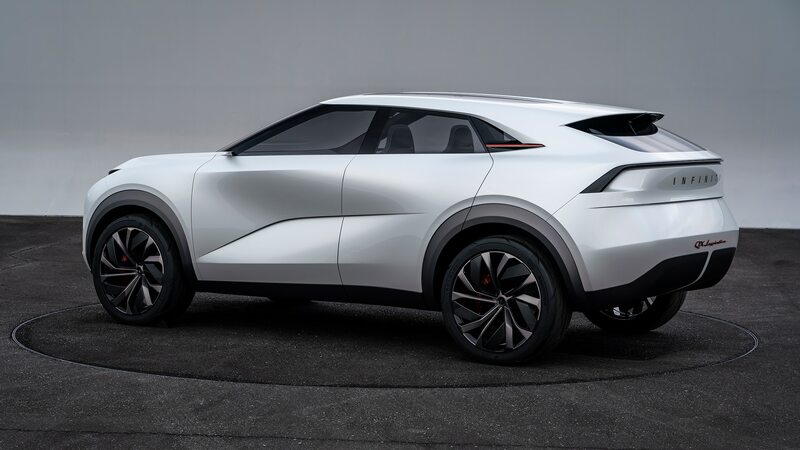 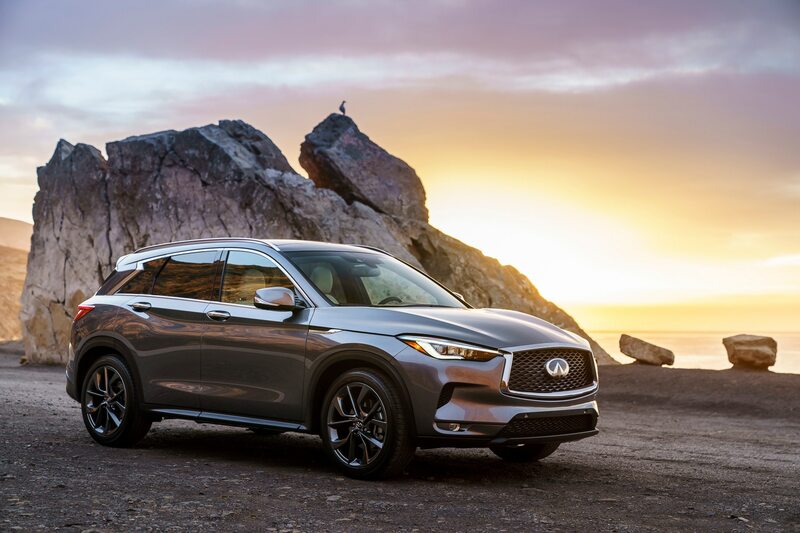 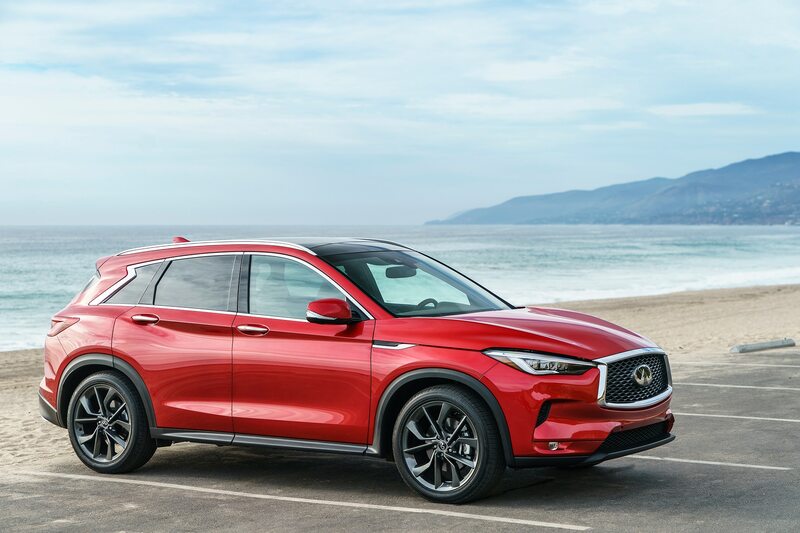 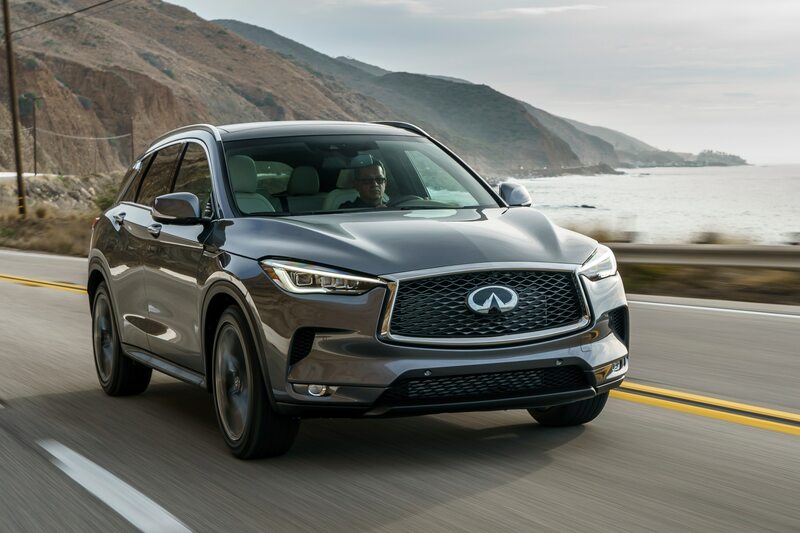 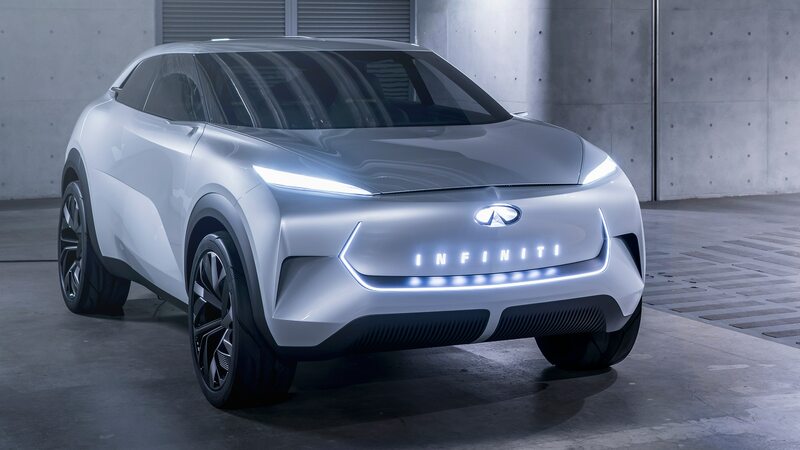 Such is the case with the Infiniti QX Inspiration Concept, which points to the direction of future Infiniti SUVs in the same way the Q Inspiration did for the brand’s cars. 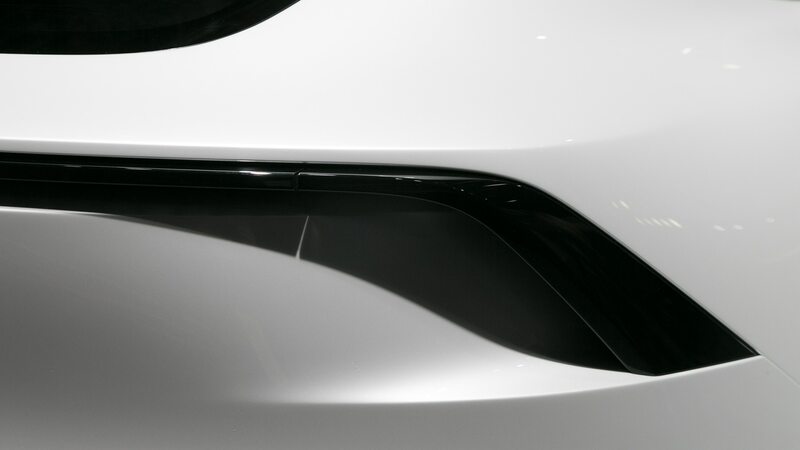 Let’s start with what we can see. 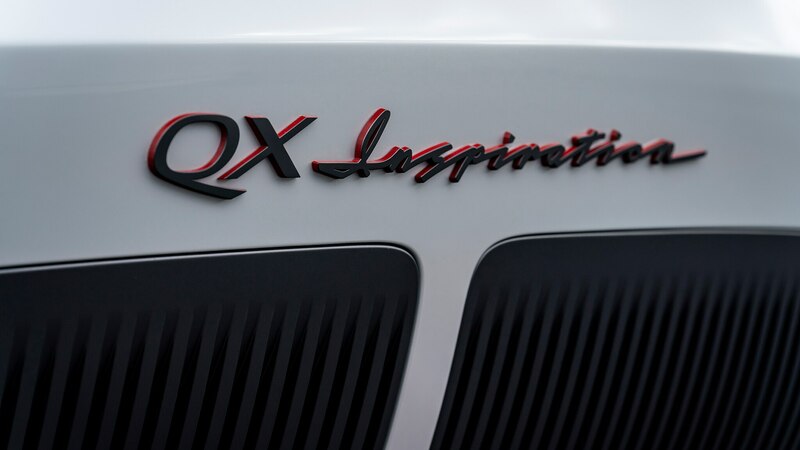 The QX Inspiration is at once familiar and totally foreign. 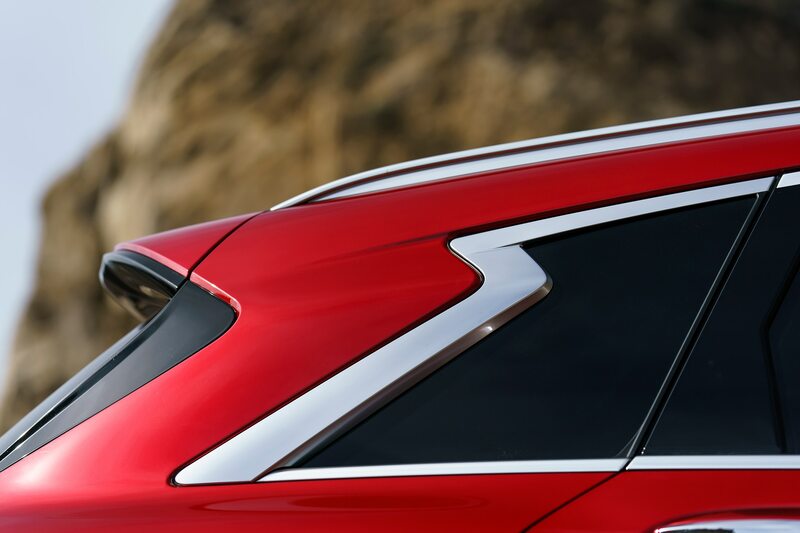 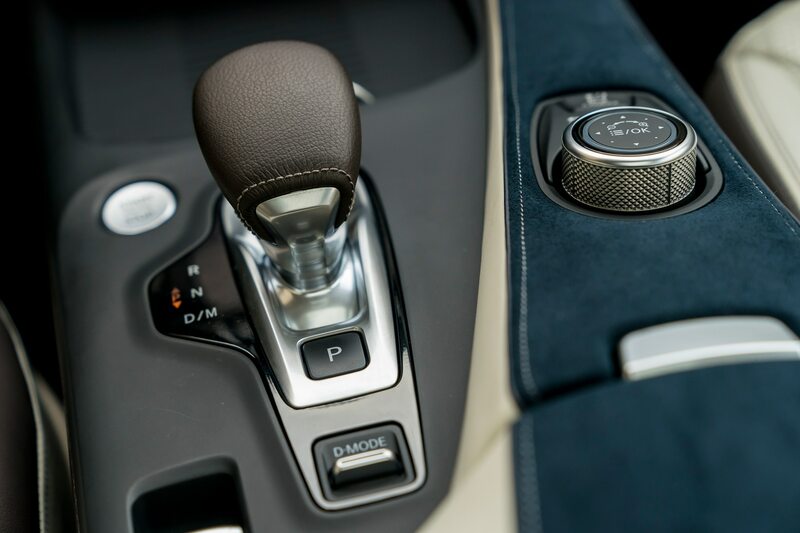 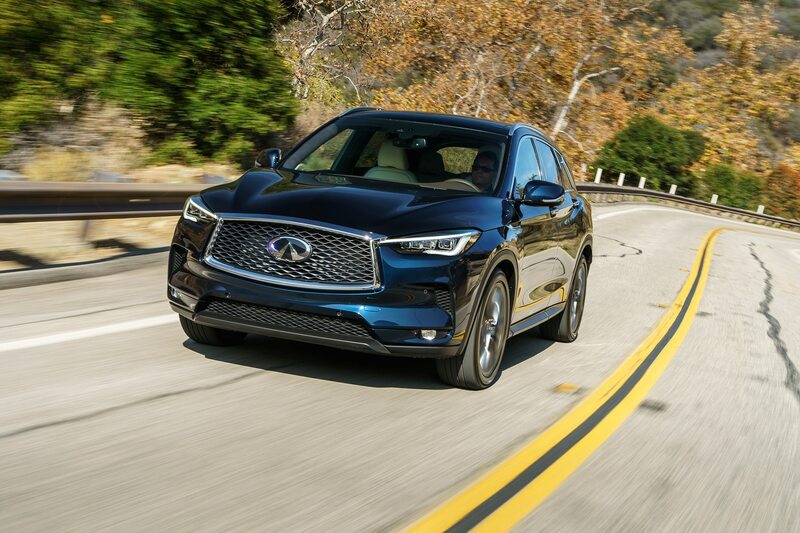 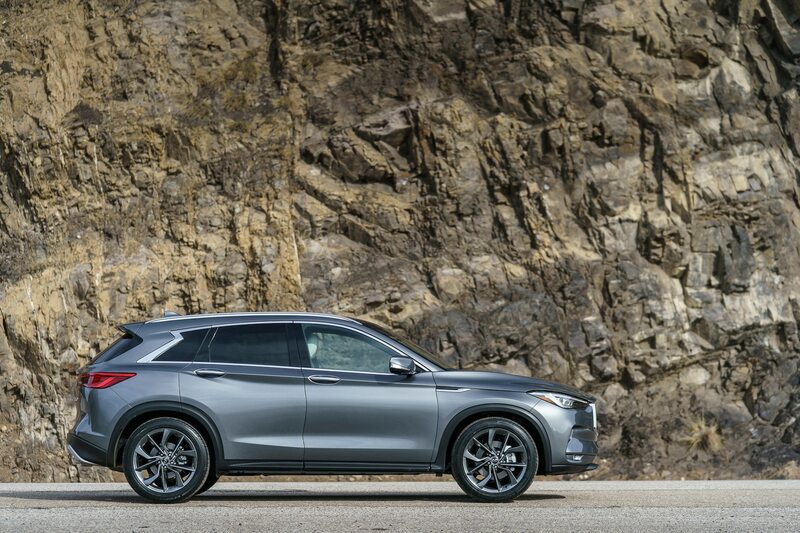 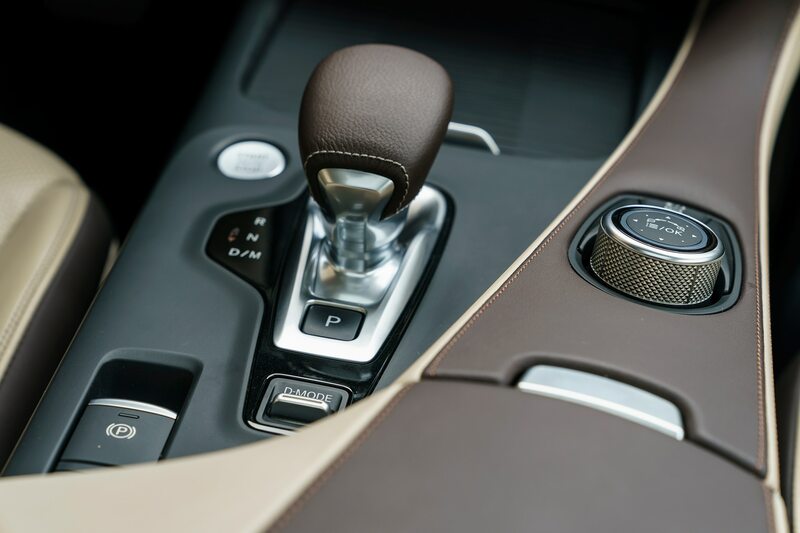 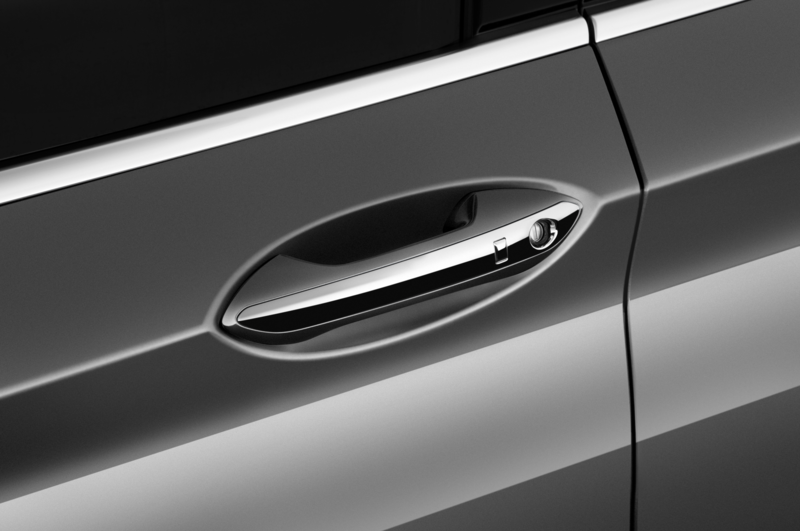 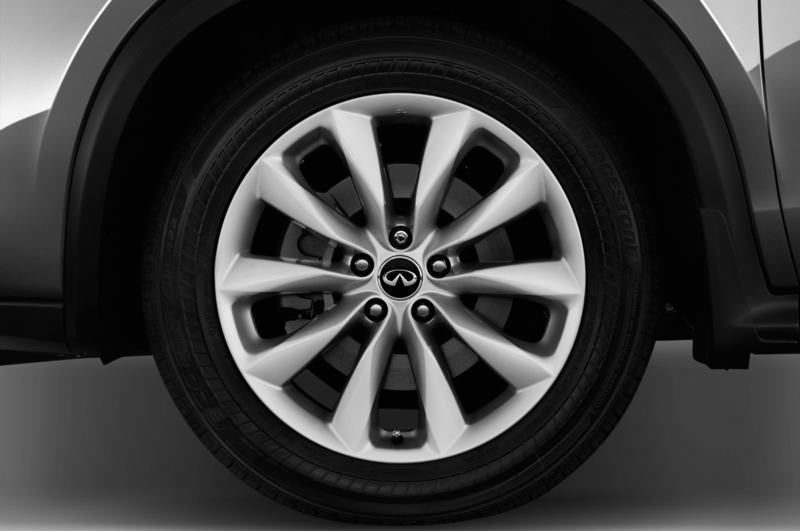 Familiarity comes from the roller-skate shape of the beloved FX (more recently known as QX70). 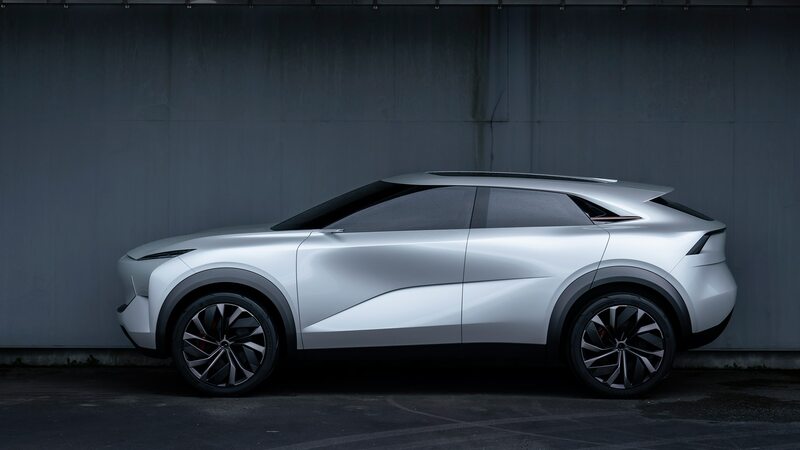 But while that model had a big hood to emphasize the big V-8 packed underneath the top models, Infiniti designers have pulled the QX Inspiration’s cab farther forward, as future eco-friendly powertrains will allow for more interior space; indeed, Nissan design chief Alfonso Albaisa tells us we can expect to see HVAC hardware pushed forward into the area formerly occupied by the engine, helping facilitate this shift. 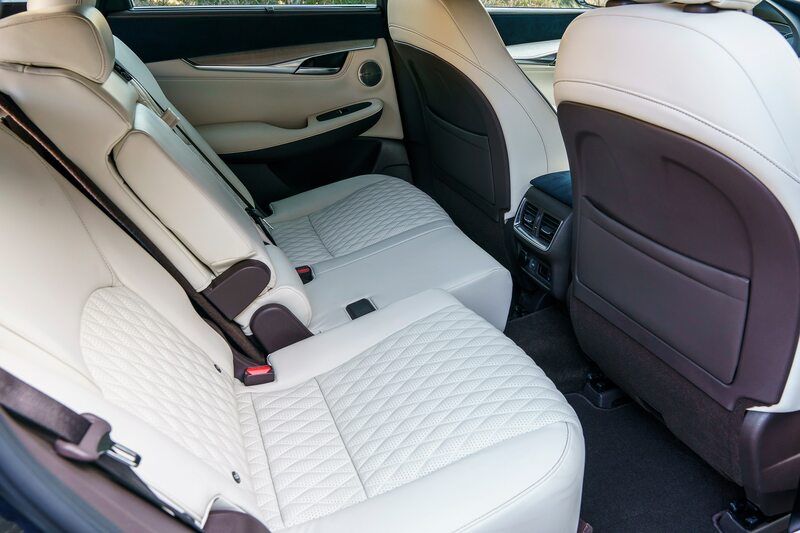 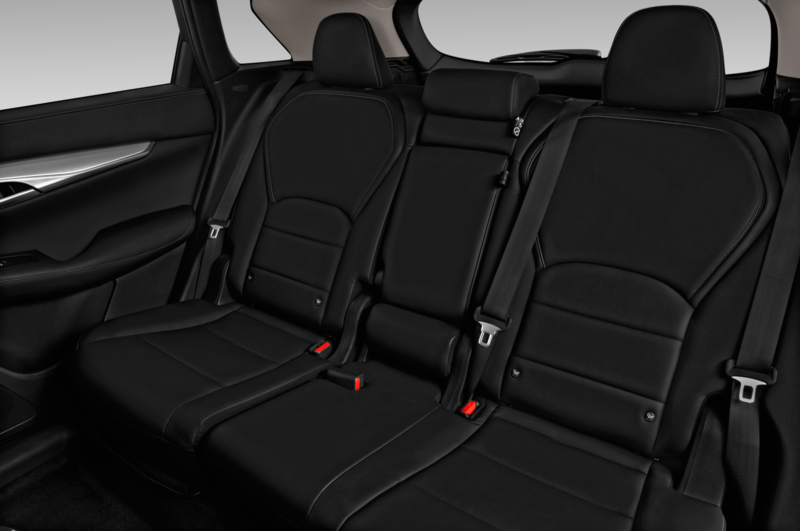 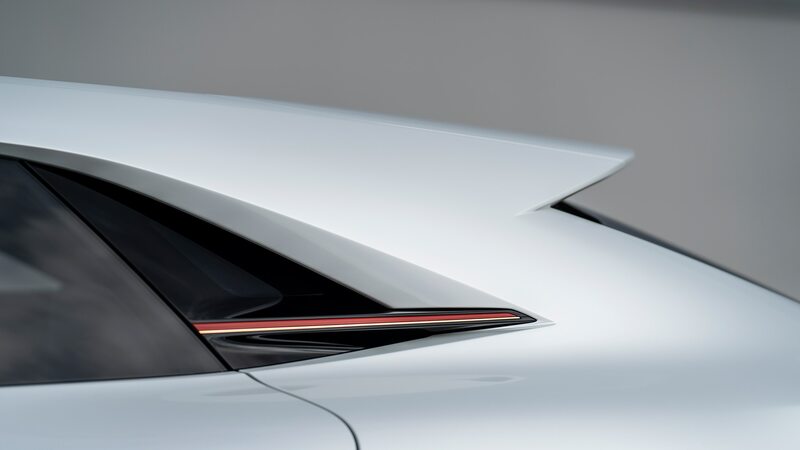 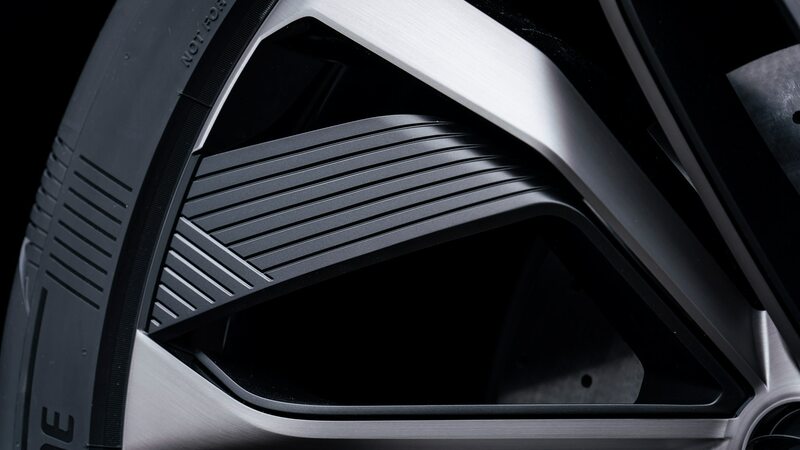 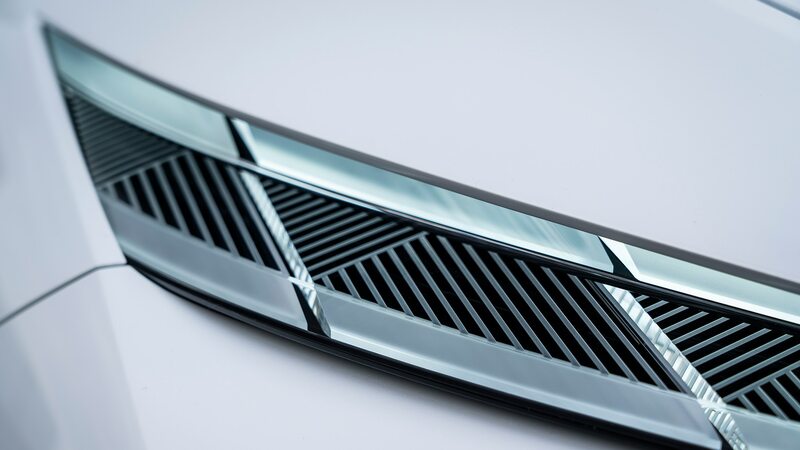 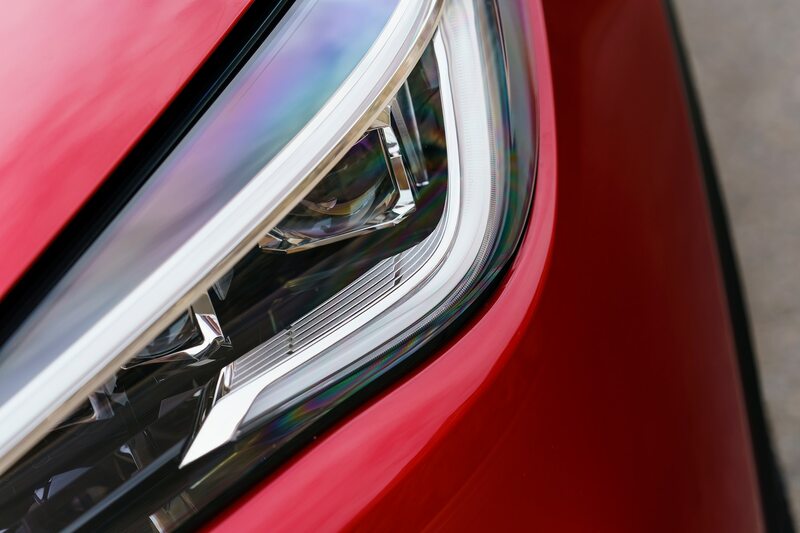 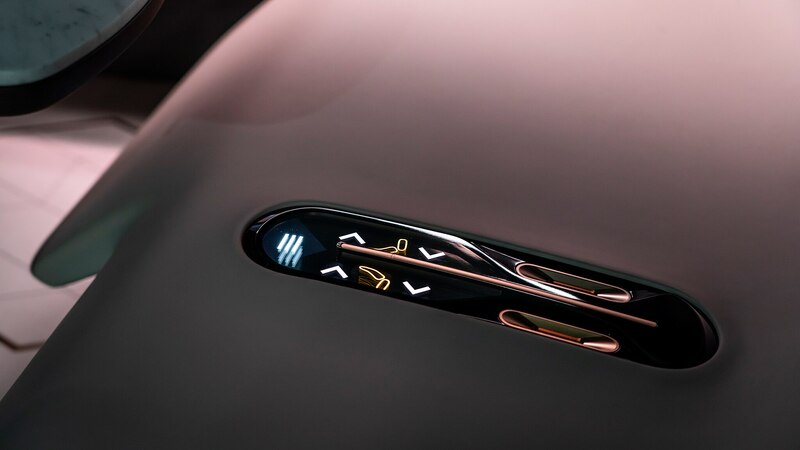 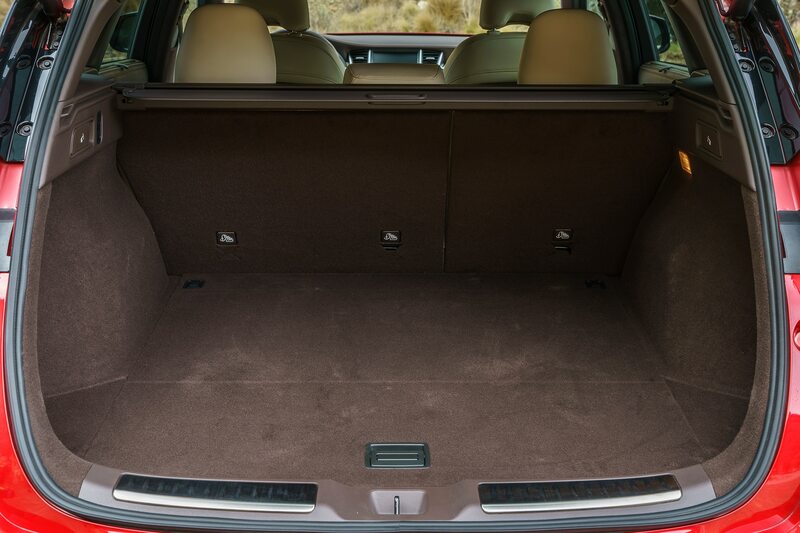 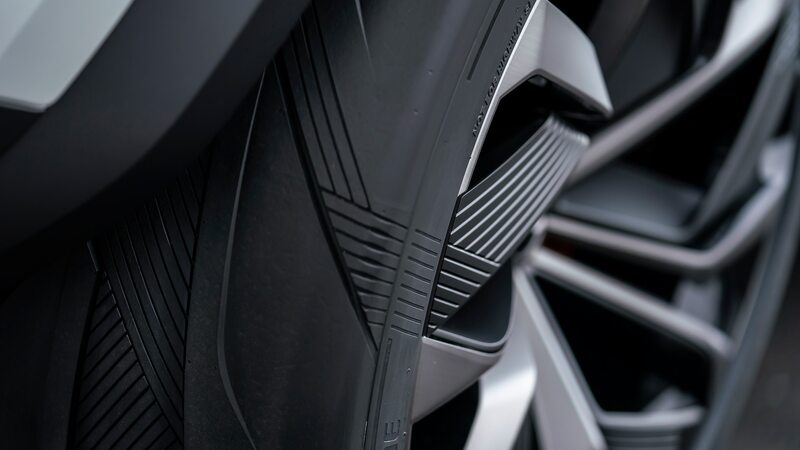 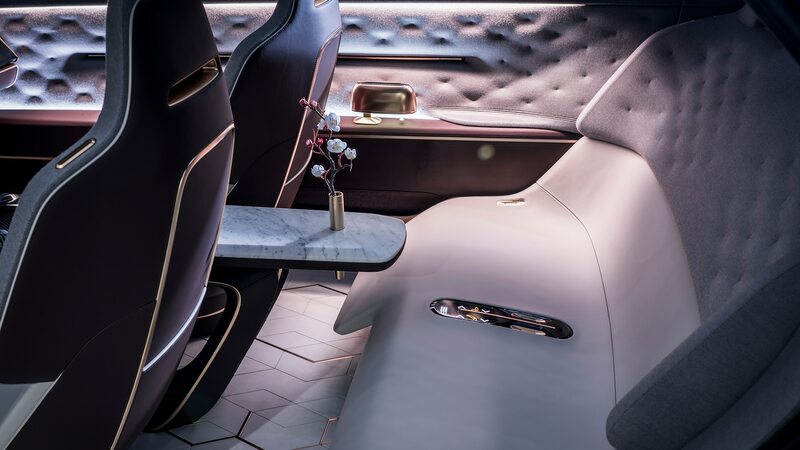 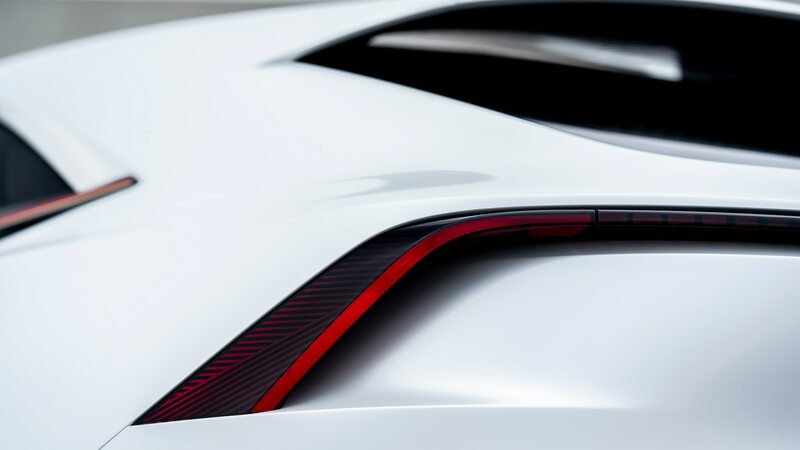 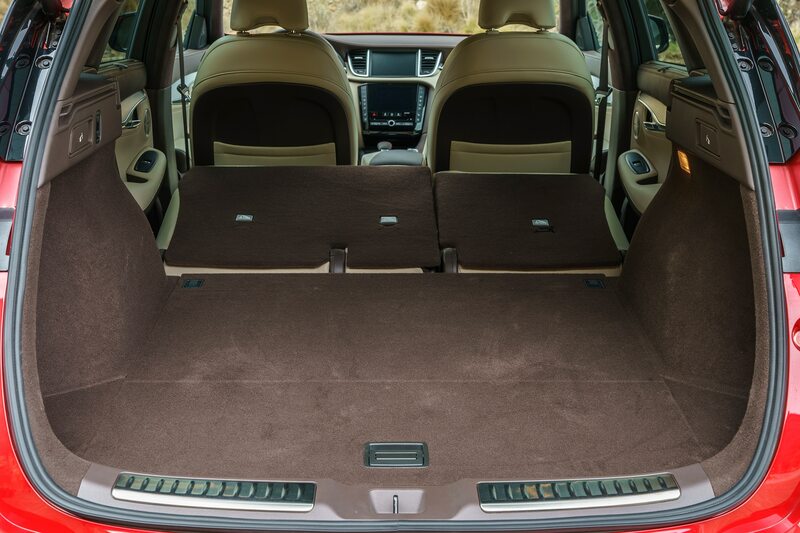 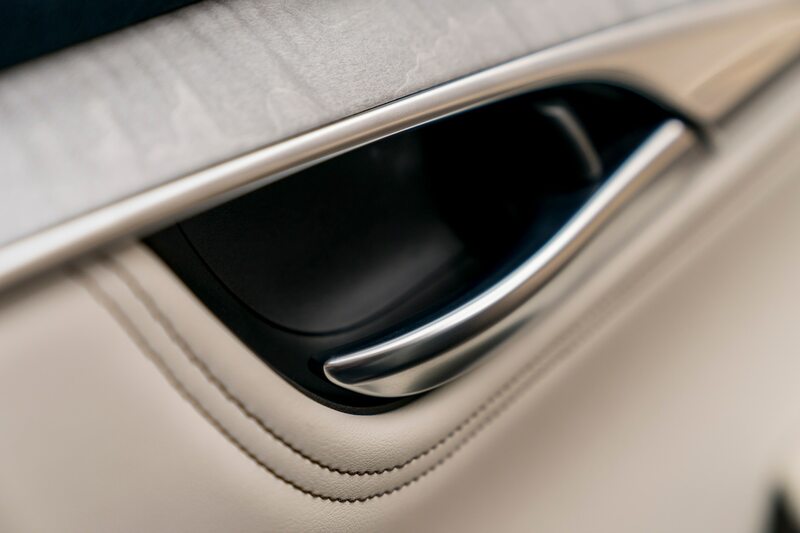 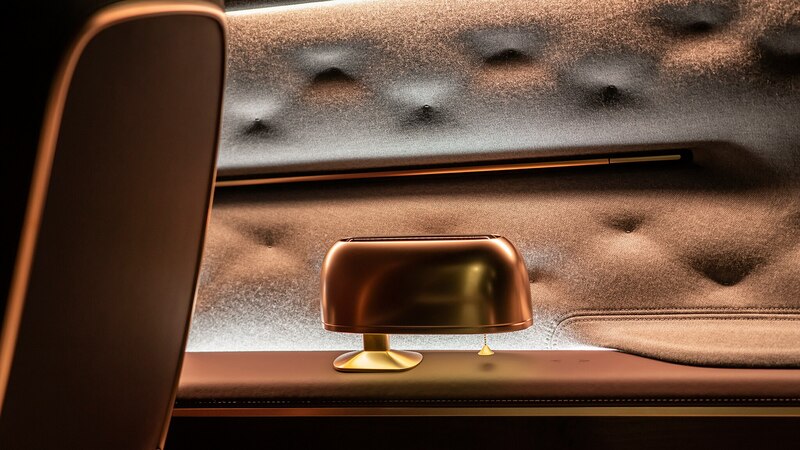 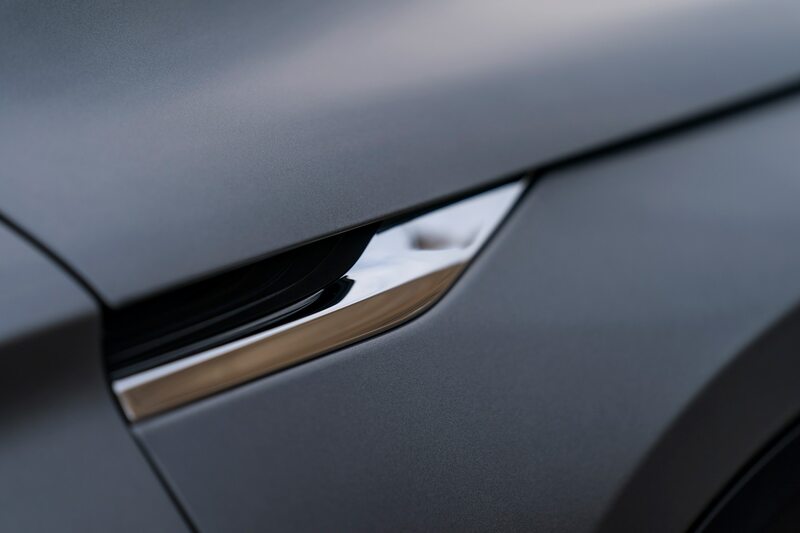 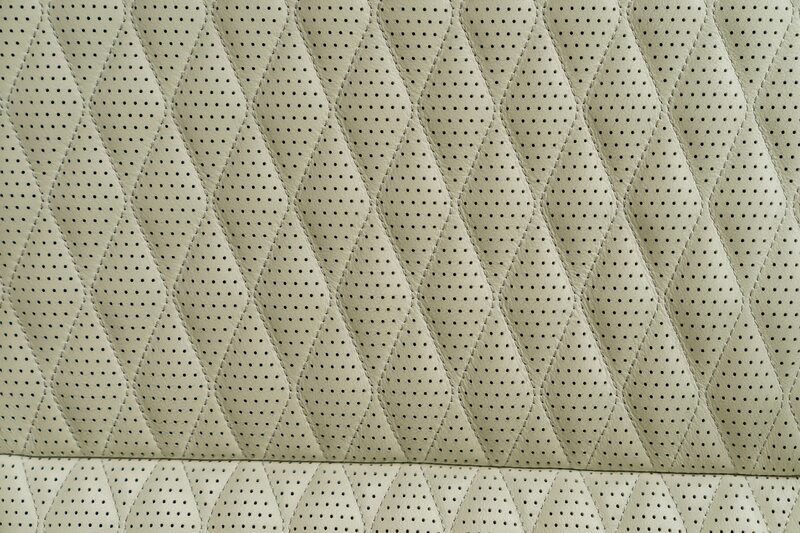 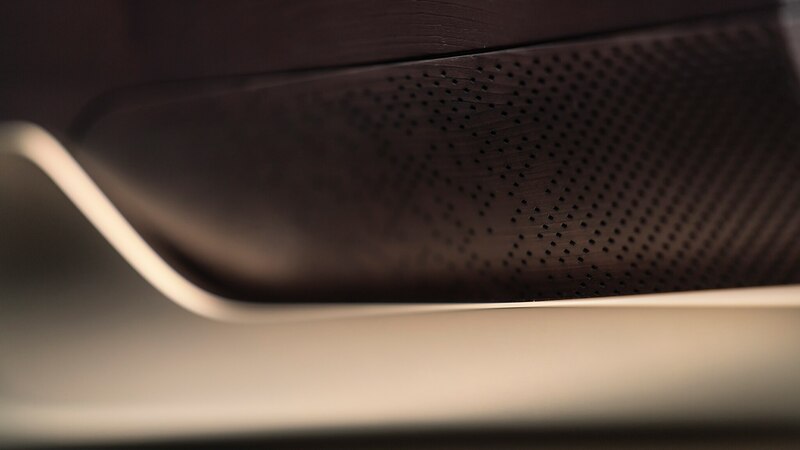 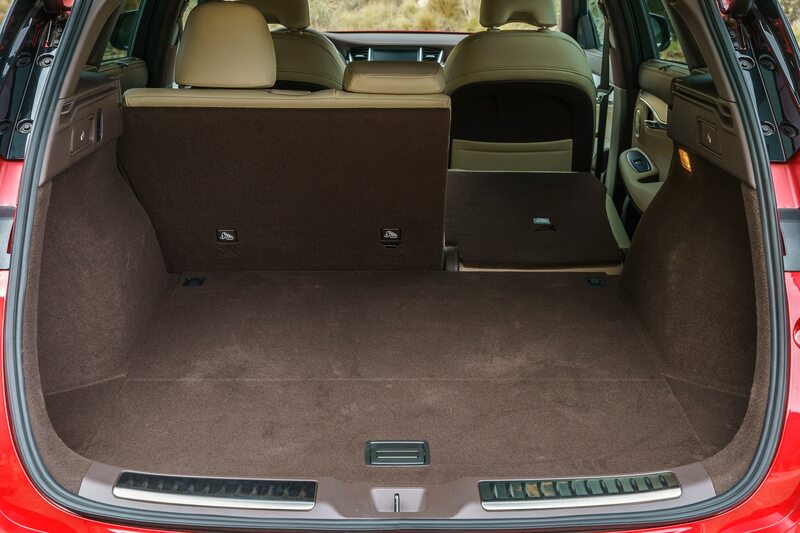 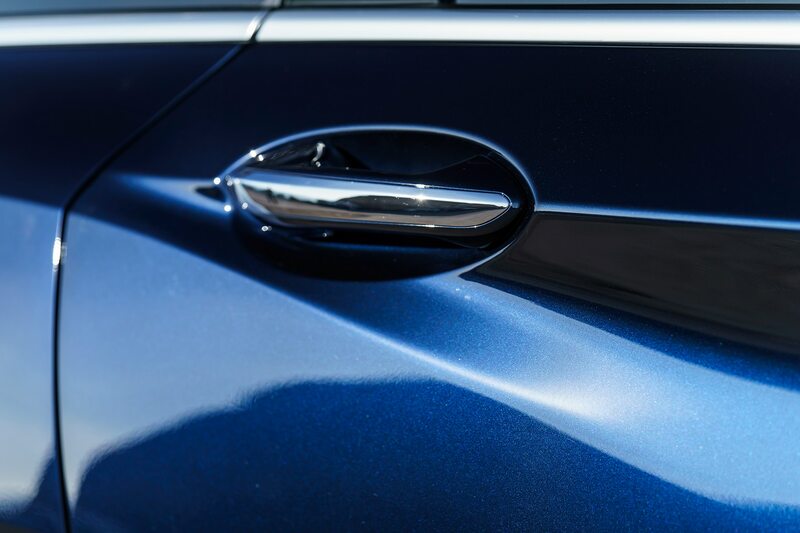 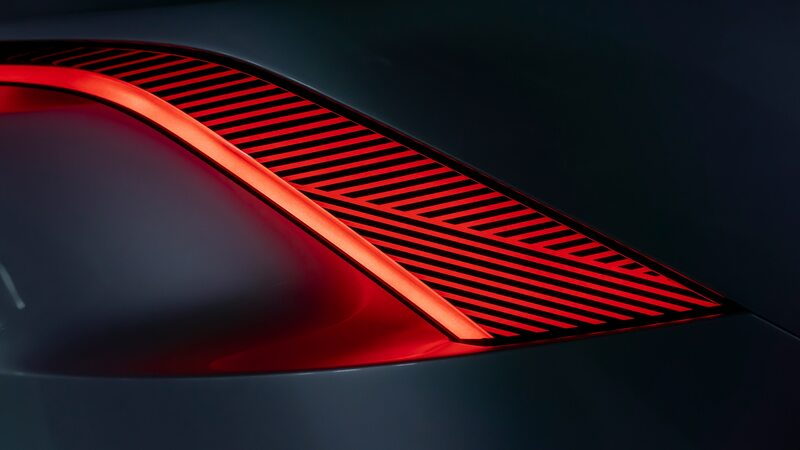 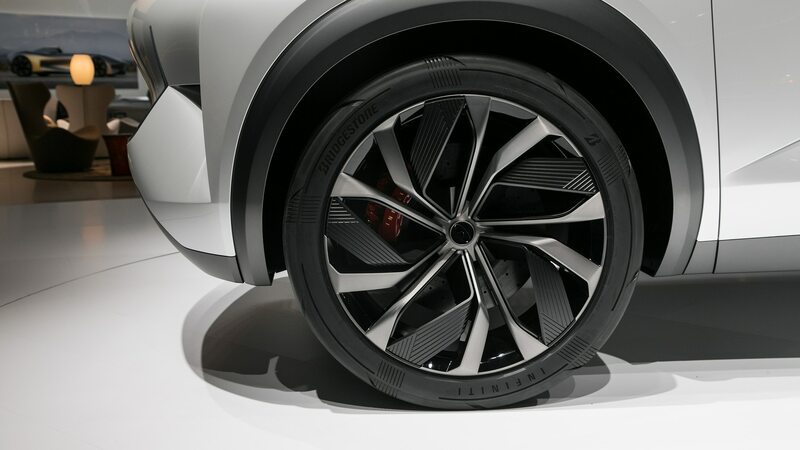 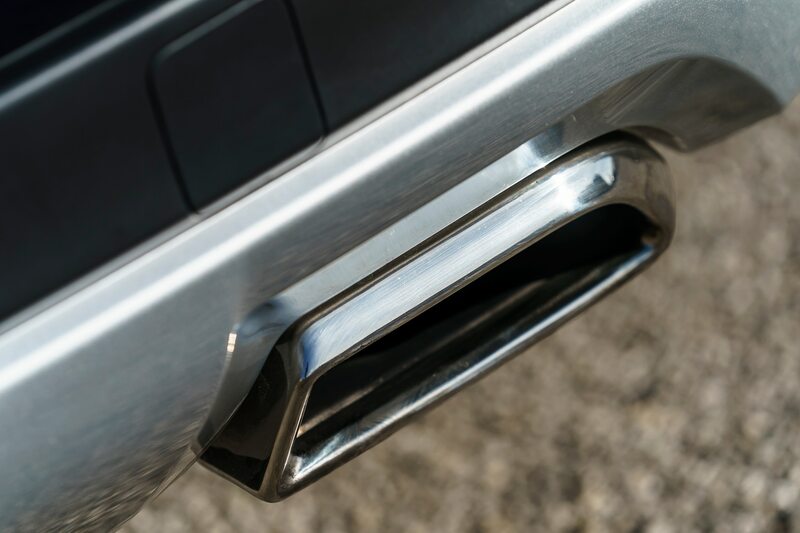 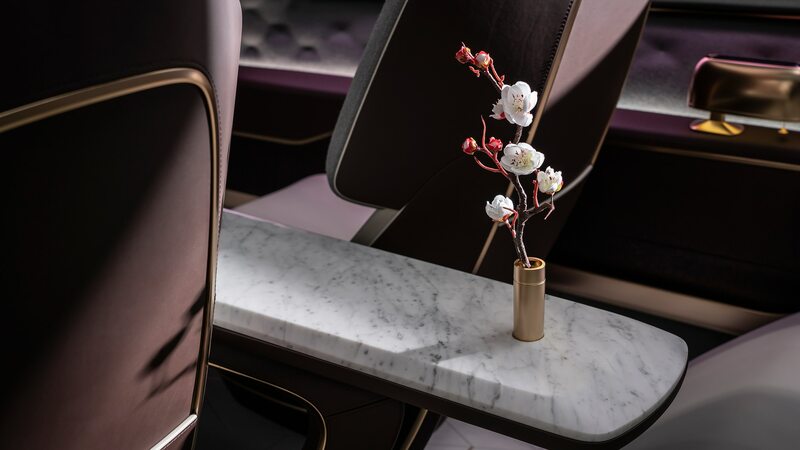 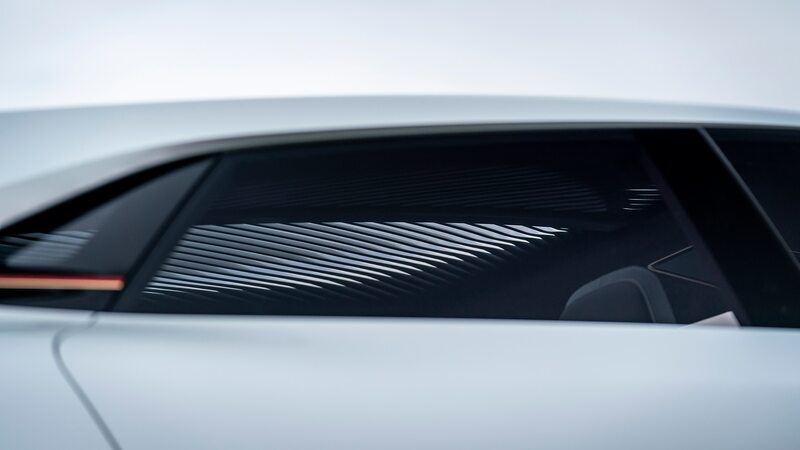 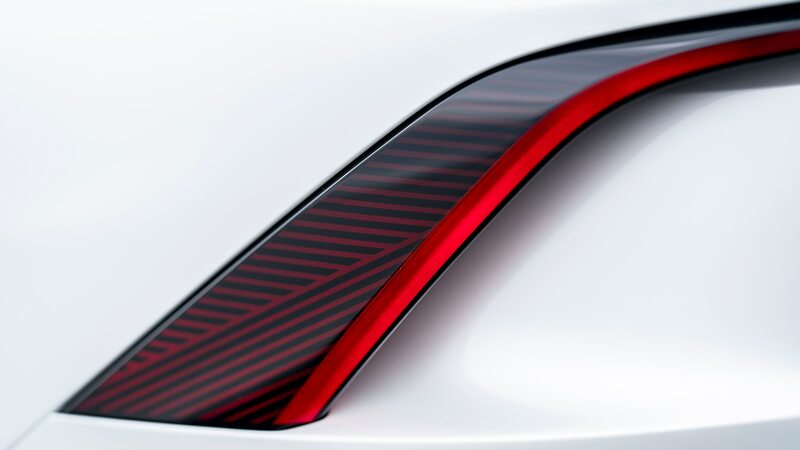 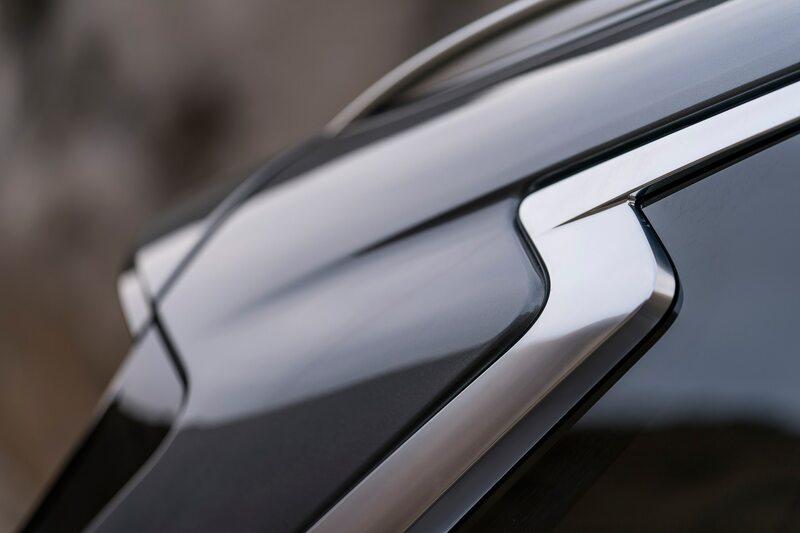 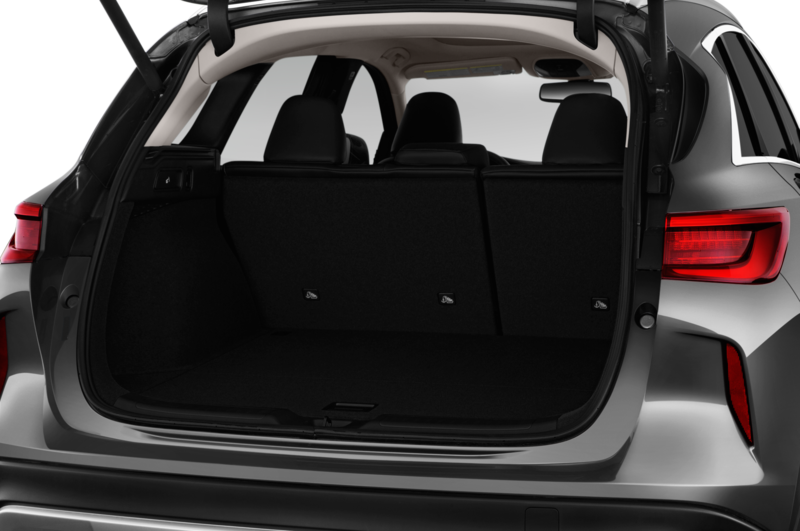 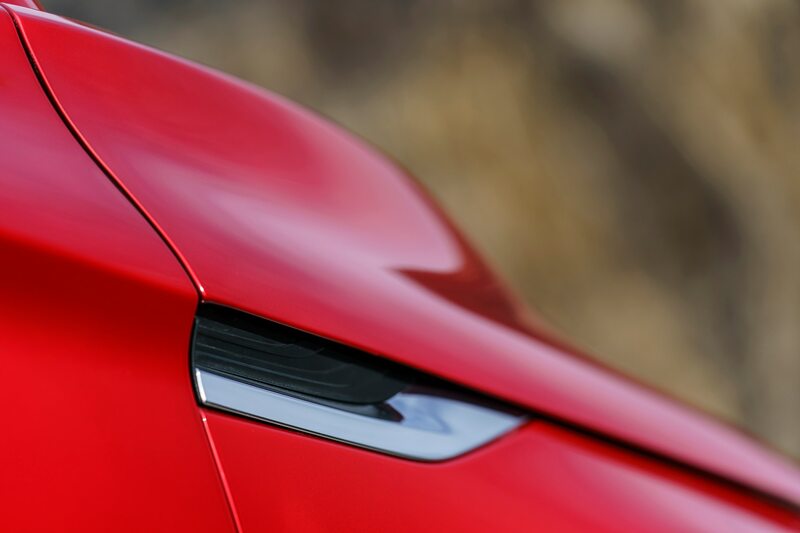 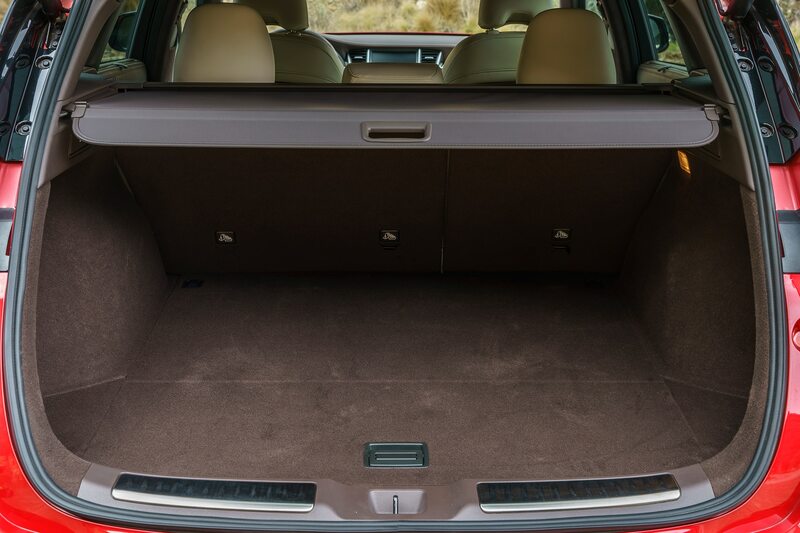 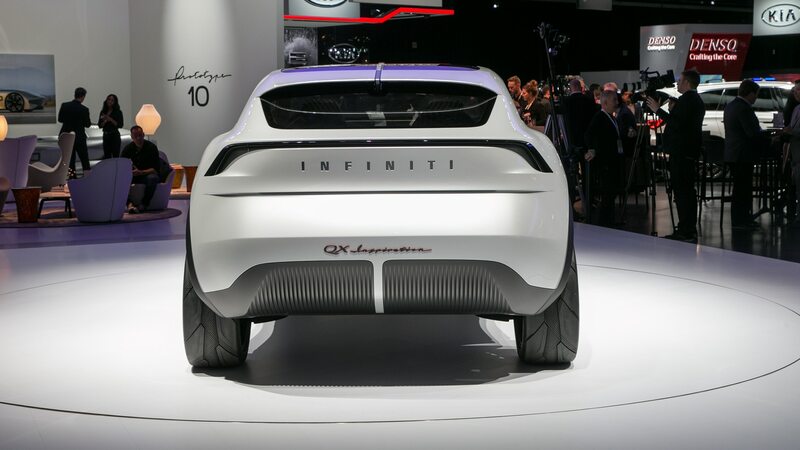 You’ll also notice the QX Inspiration’s tall sides, indicating that it’s been designed to accommodate a battery pack under the floor. 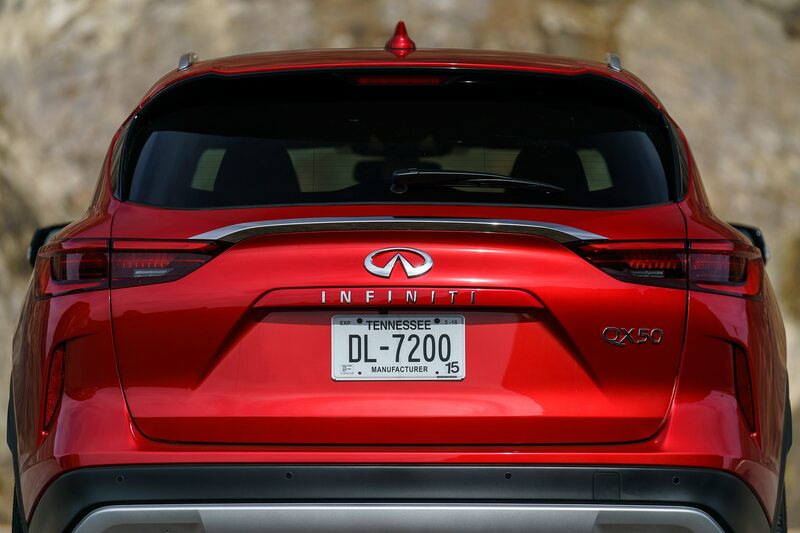 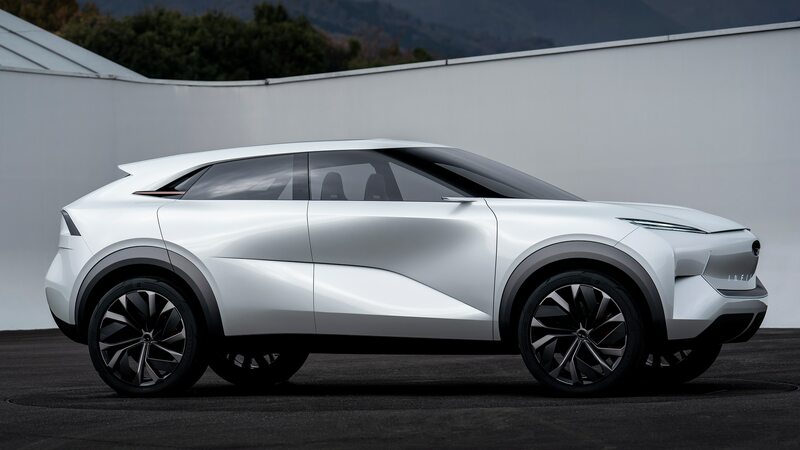 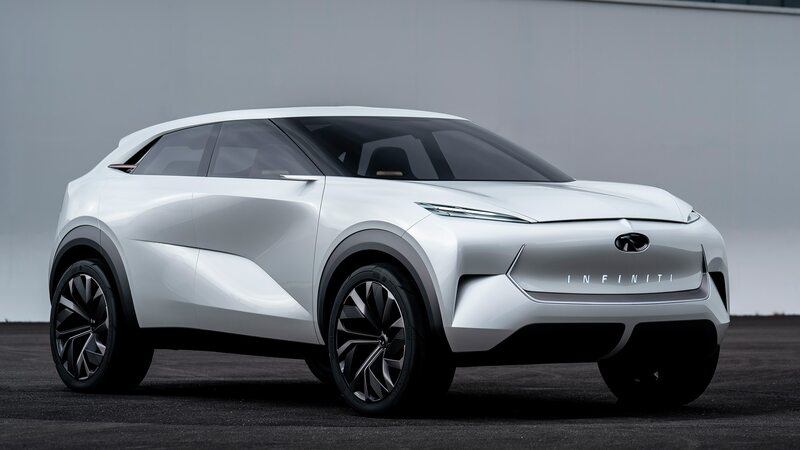 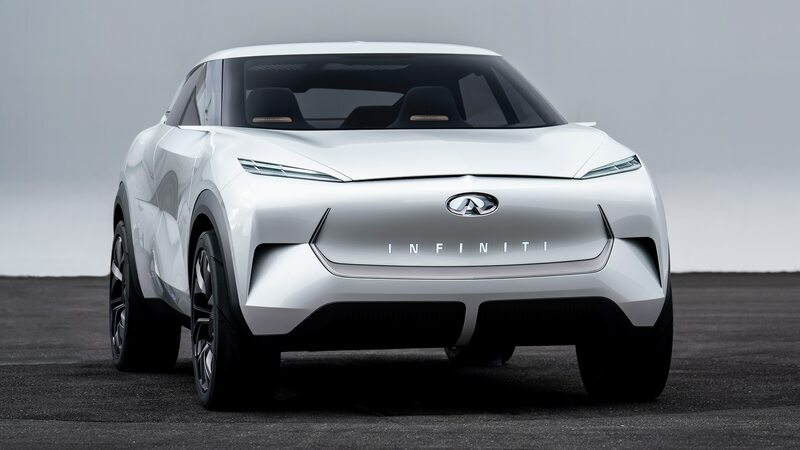 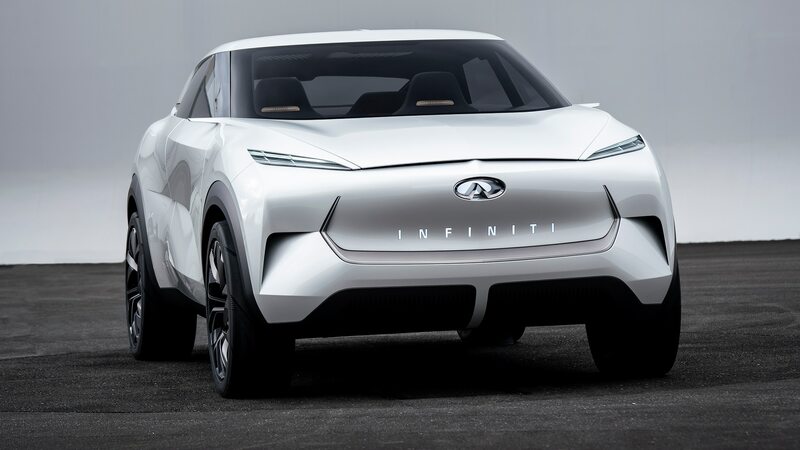 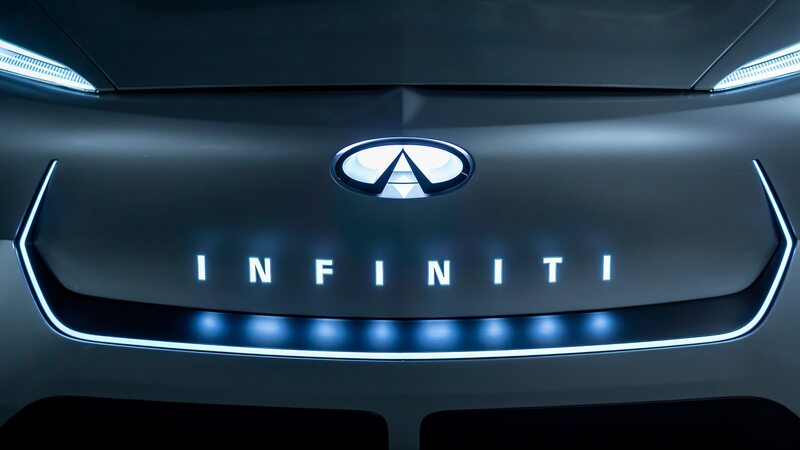 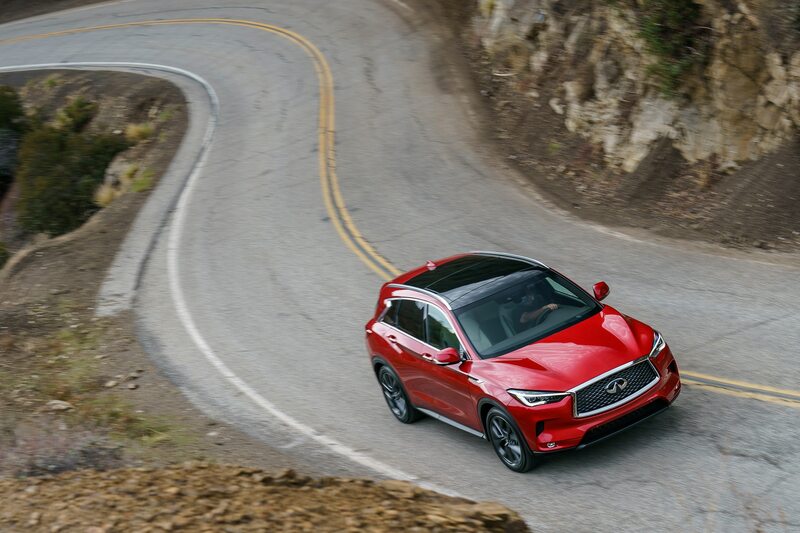 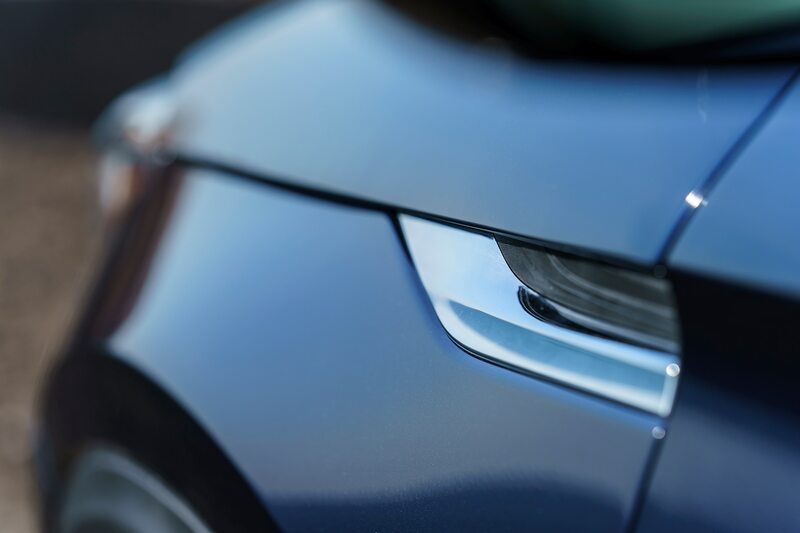 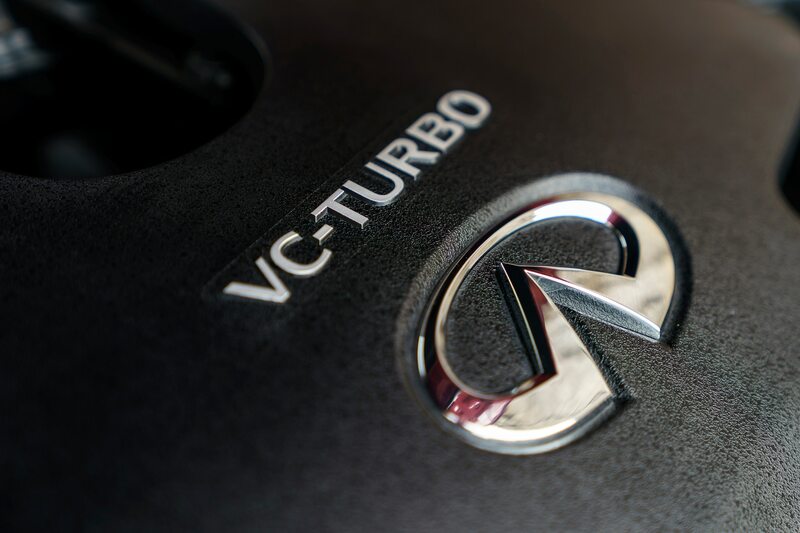 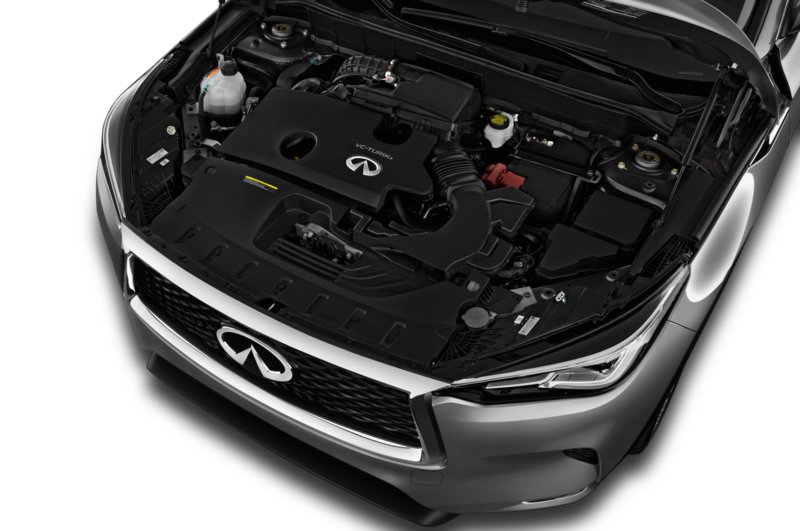 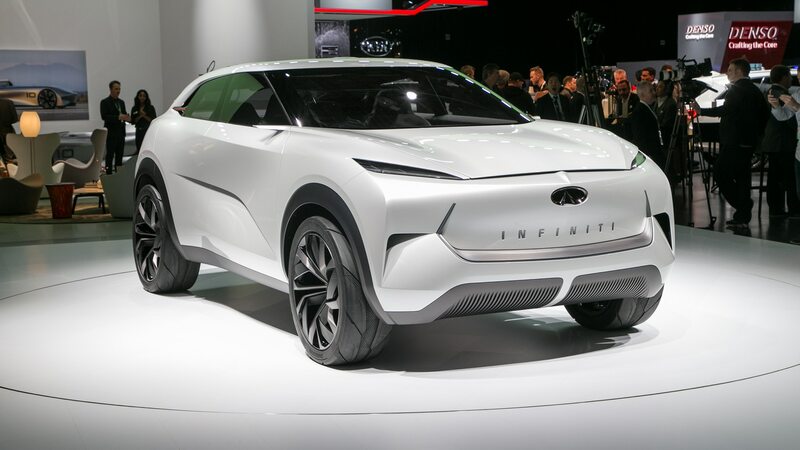 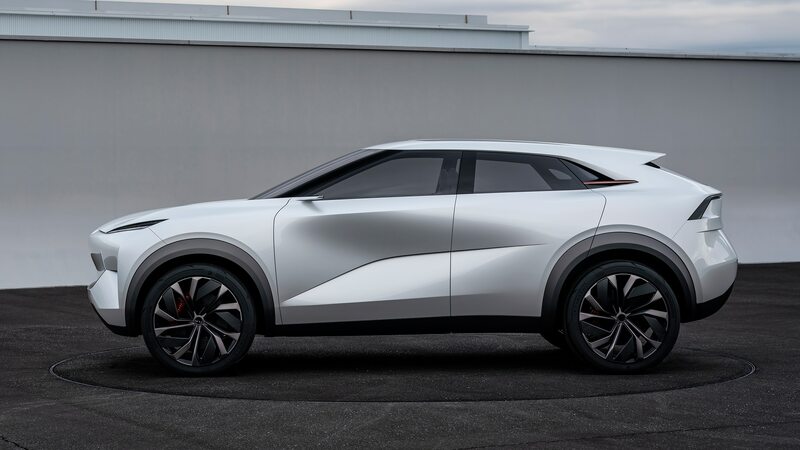 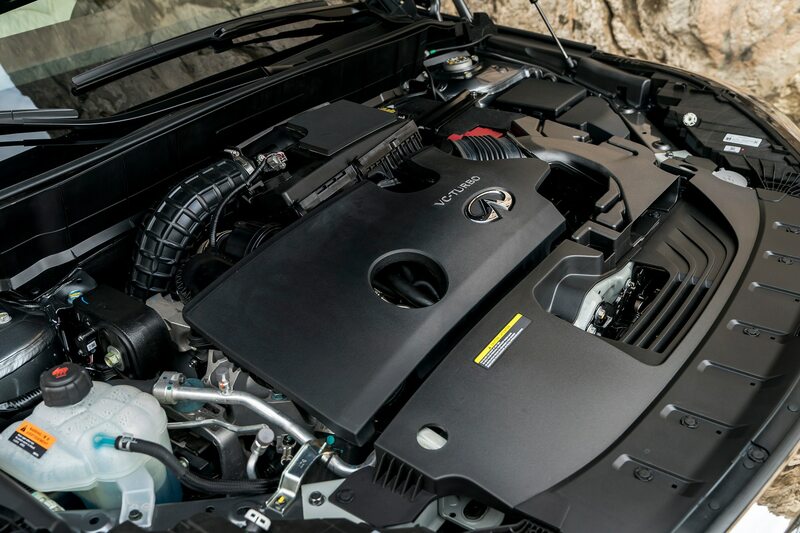 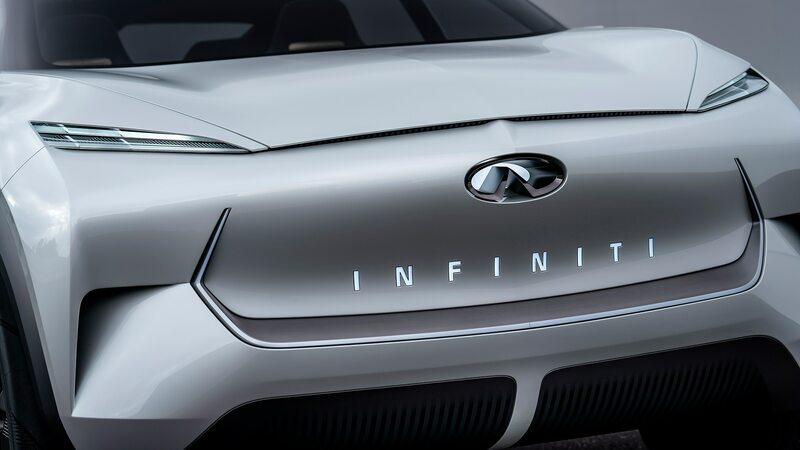 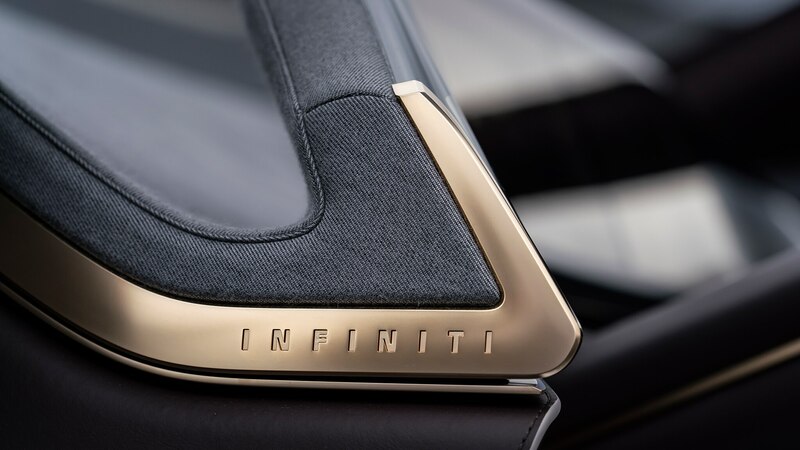 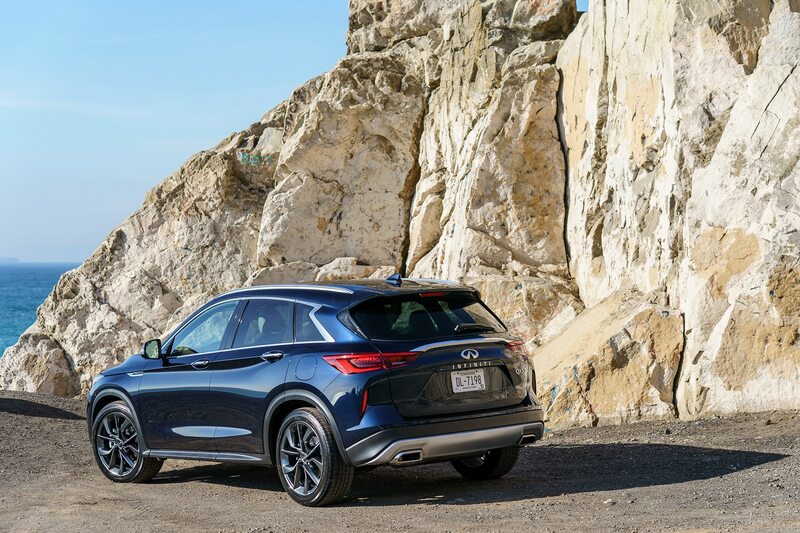 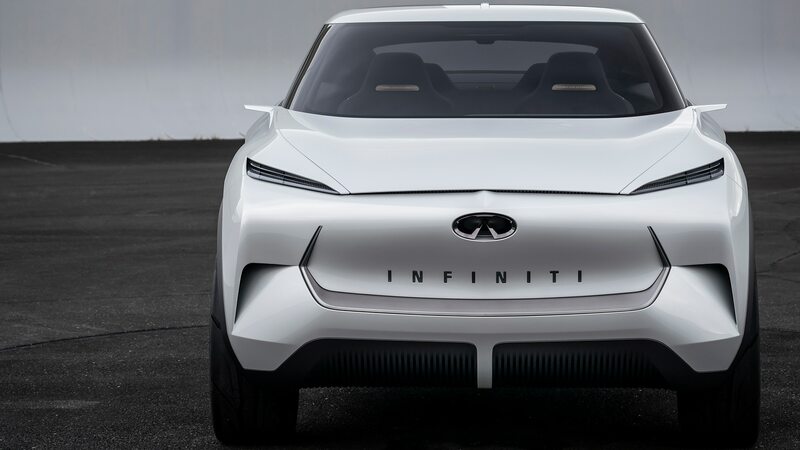 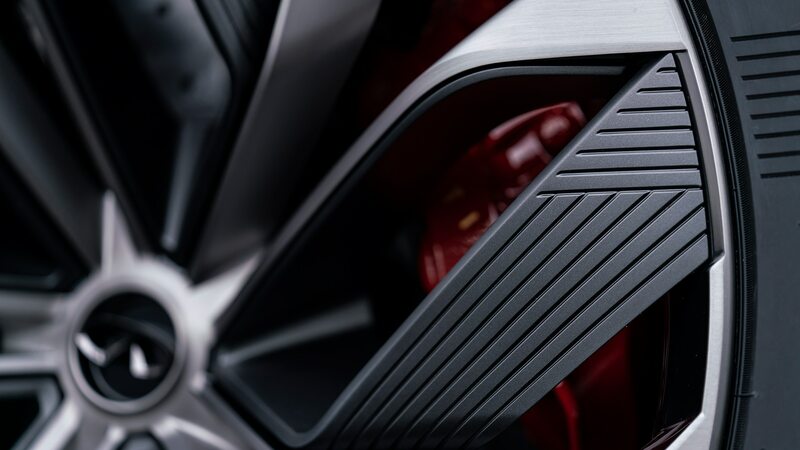 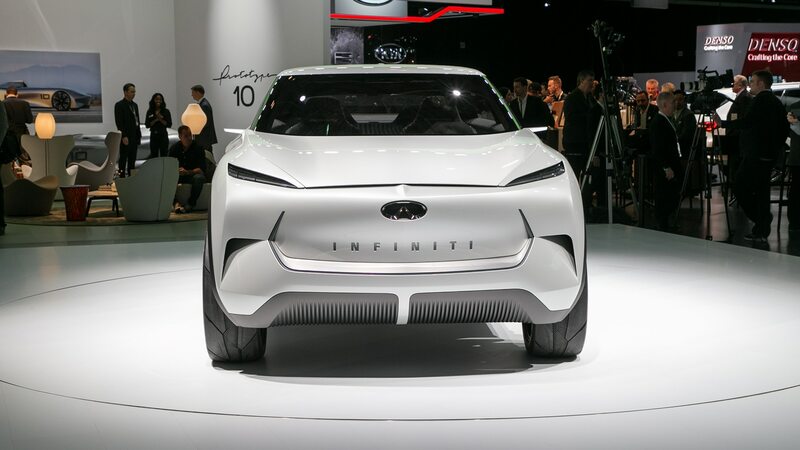 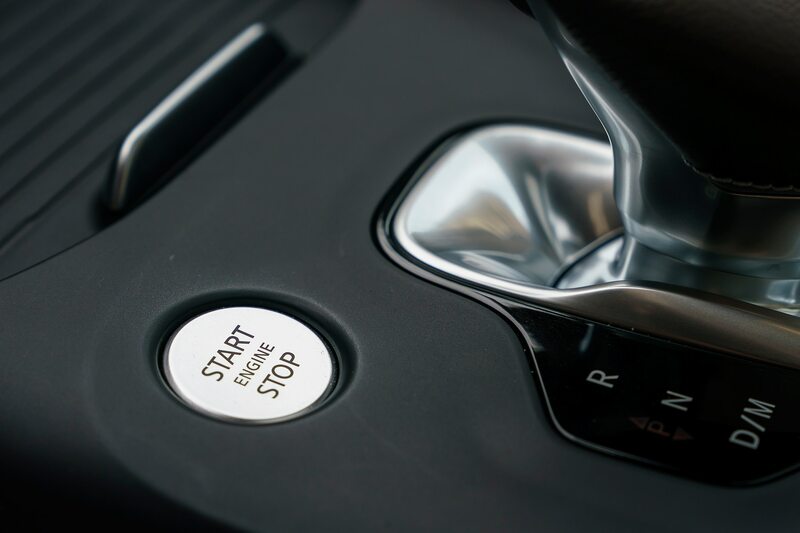 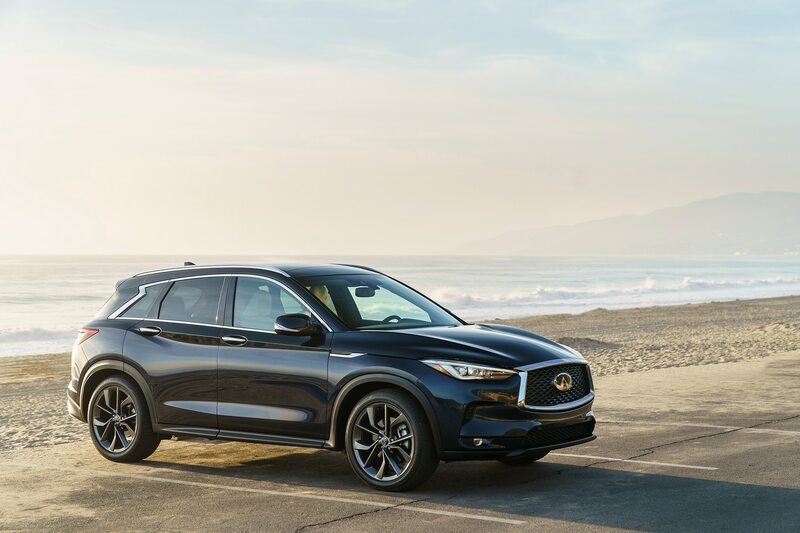 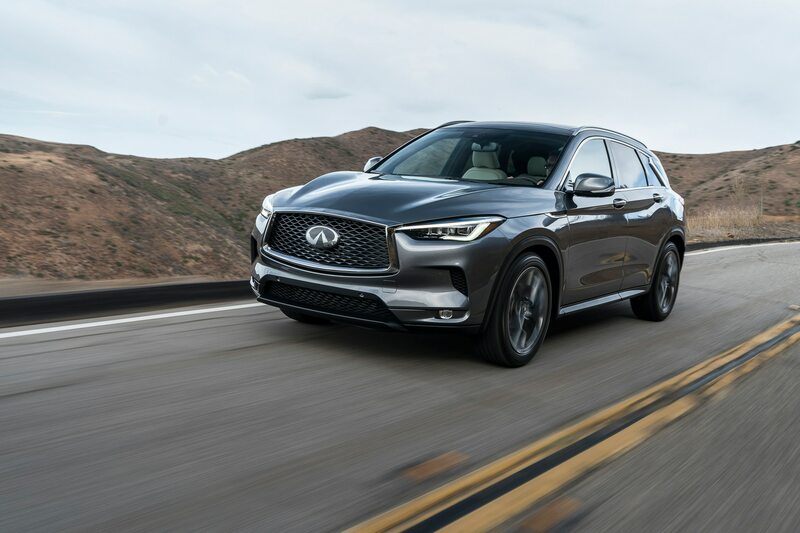 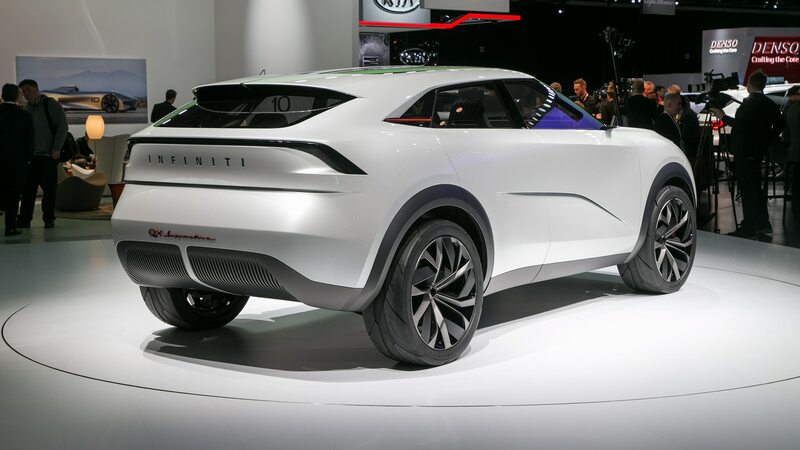 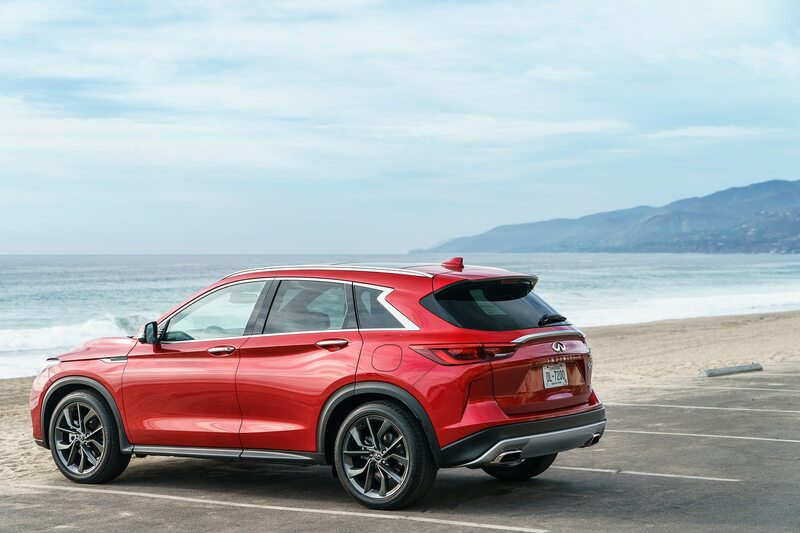 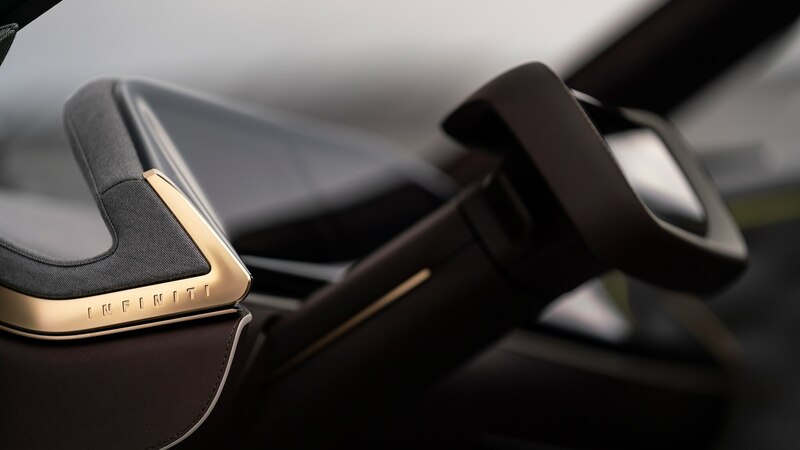 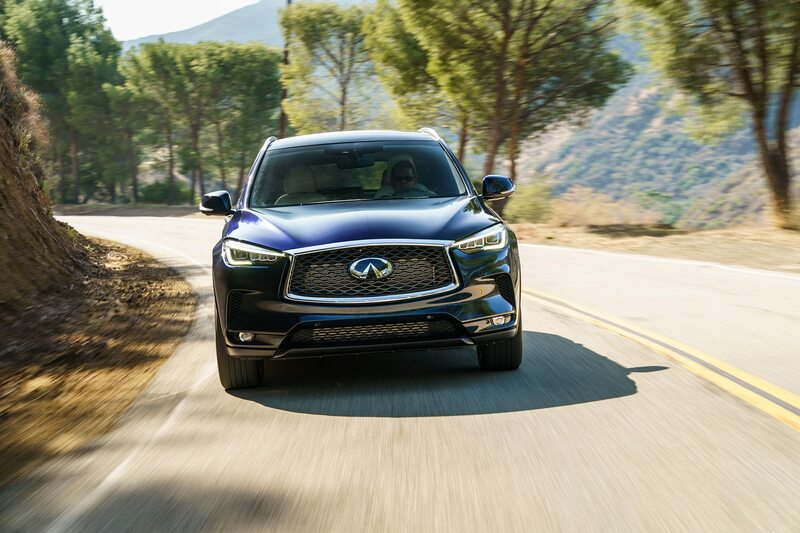 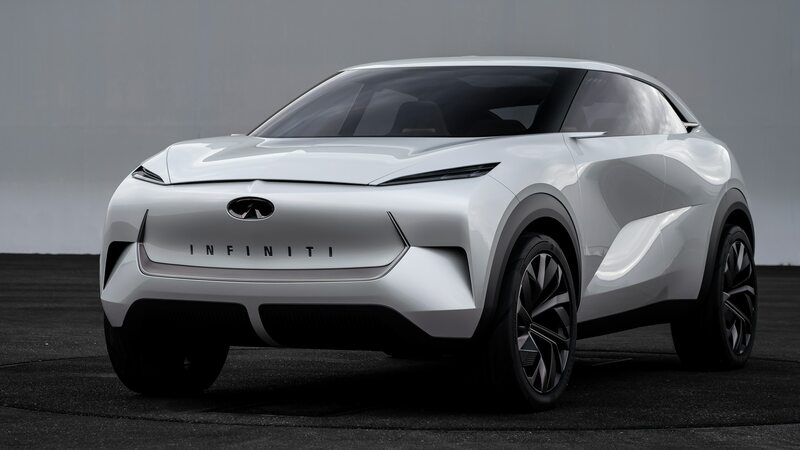 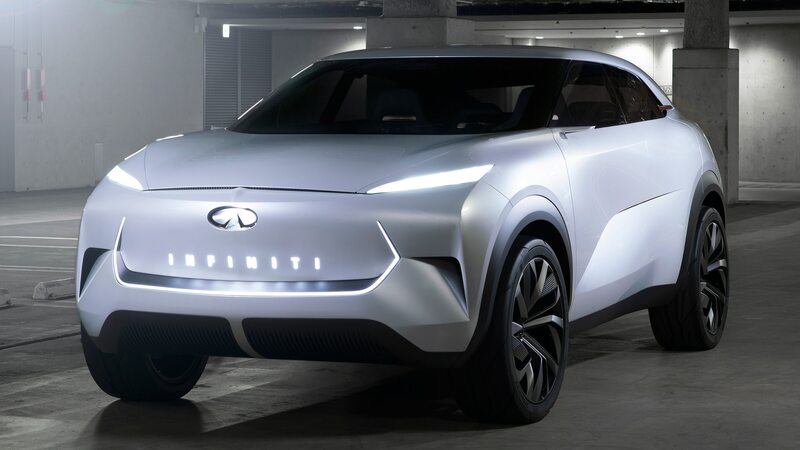 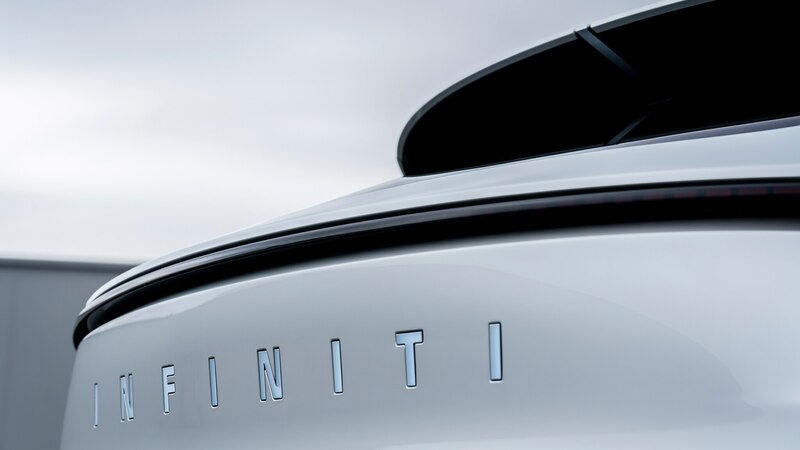 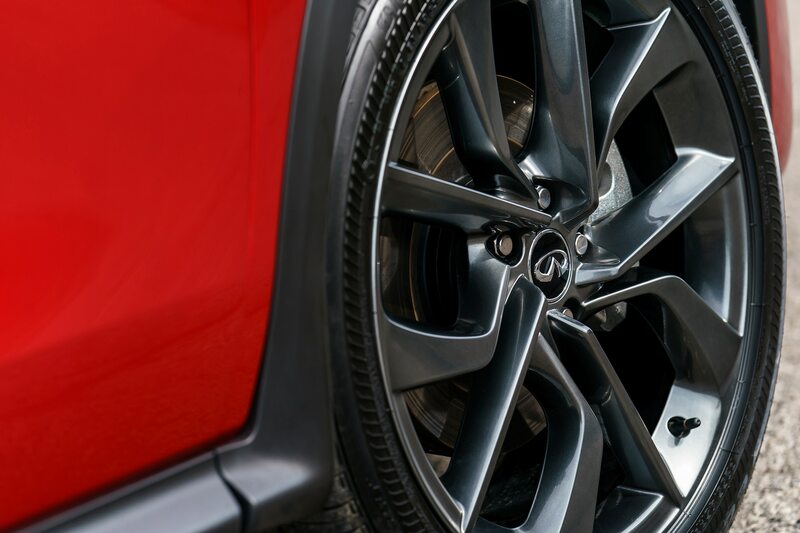 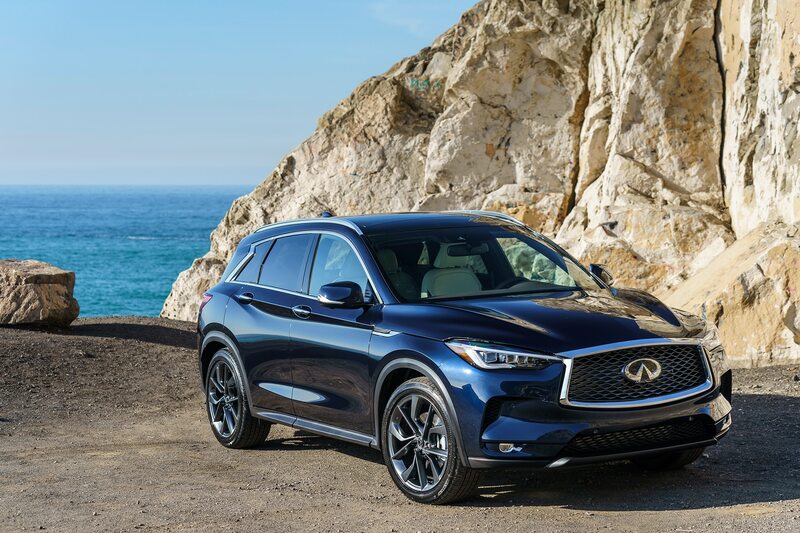 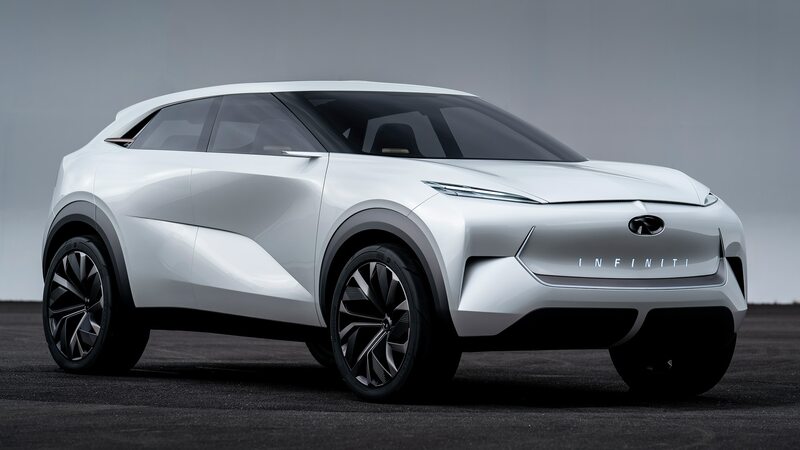 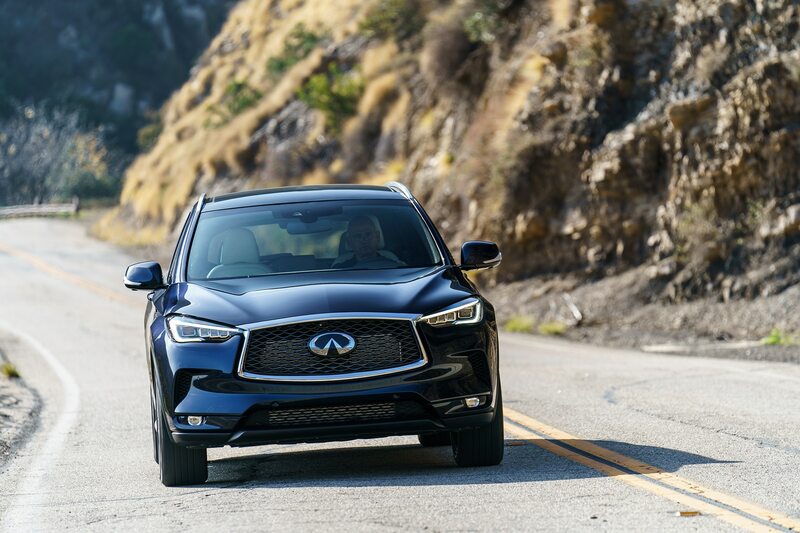 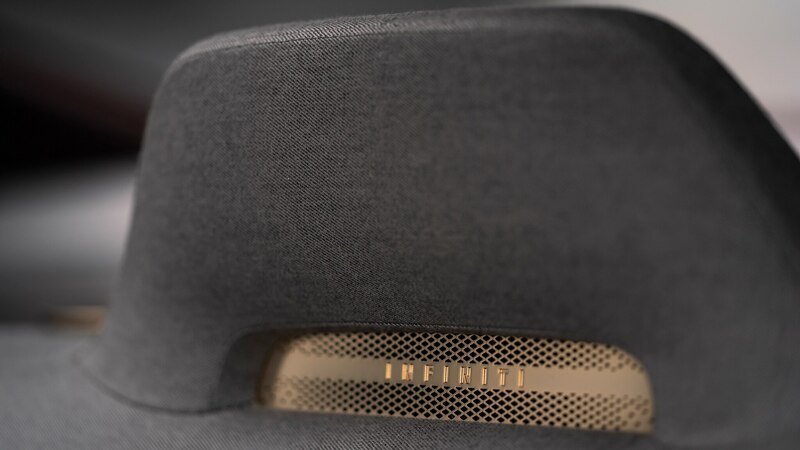 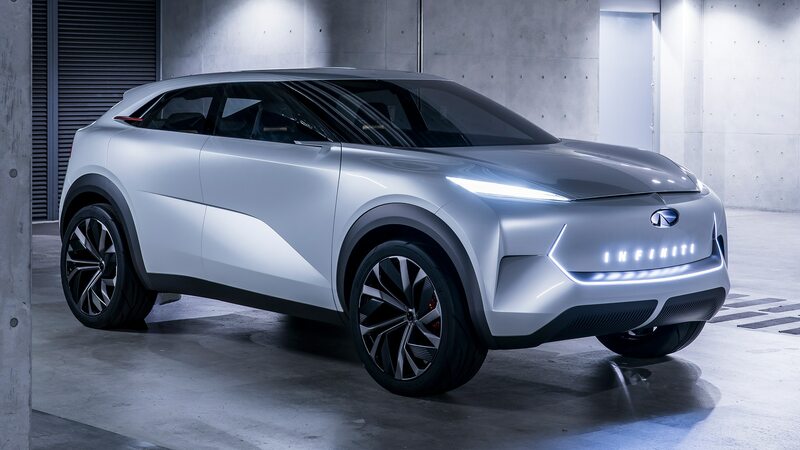 Infiniti freely intermingles the words “electric” and “electrified,” which are not synonymous, but the space for a big battery pack indicates to us that a fully electric powertrain with all-wheel drive will be an option for future Infiniti SUVs. 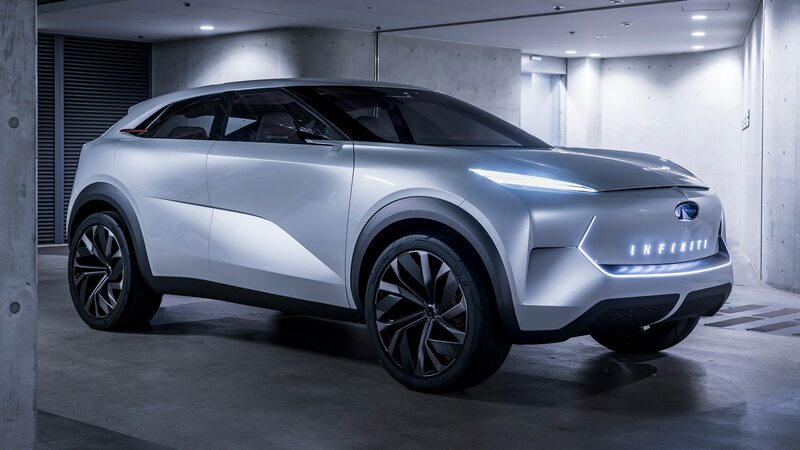 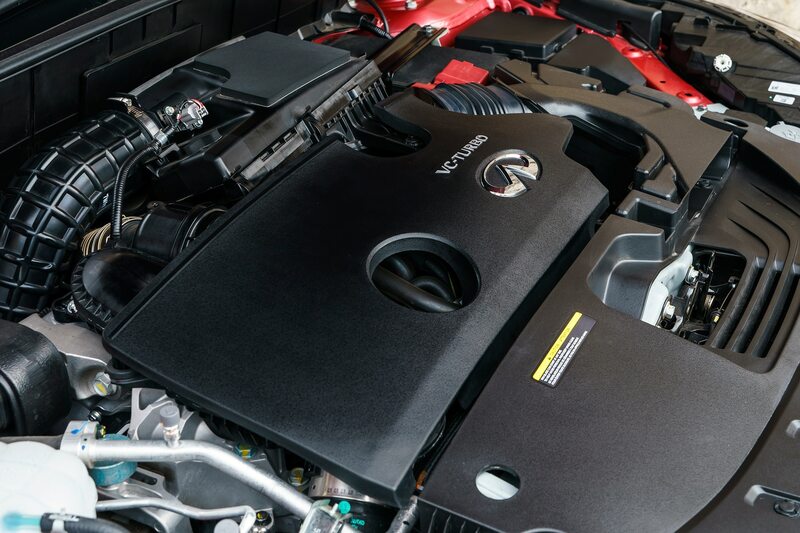 Nissan also plans “performance” hybrid powertrains as well as e-POWER ones, their trade name for a plug-in hybrid in which the electric motor does the majority of the heavy lifting while the internal-combustion engine ensures a supply of juice when the battery runs out. 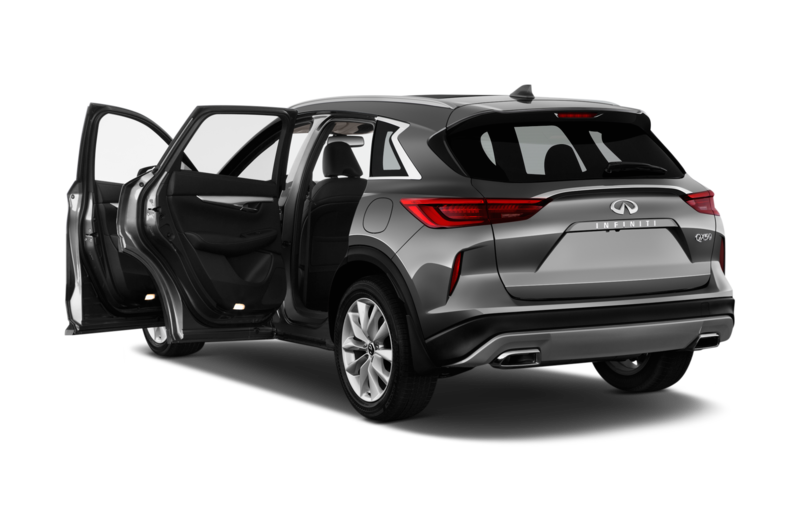 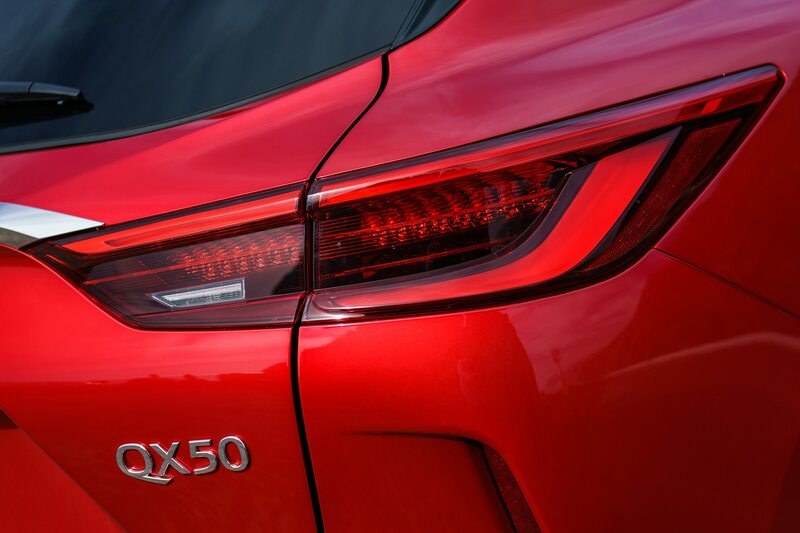 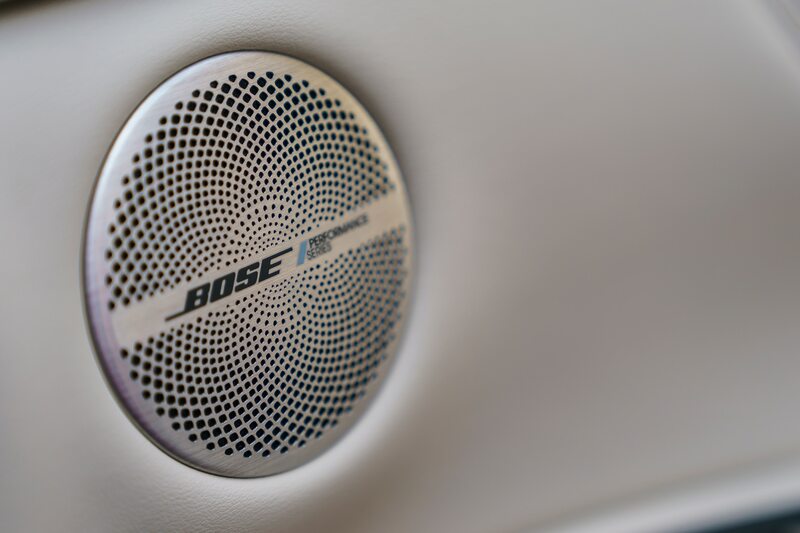 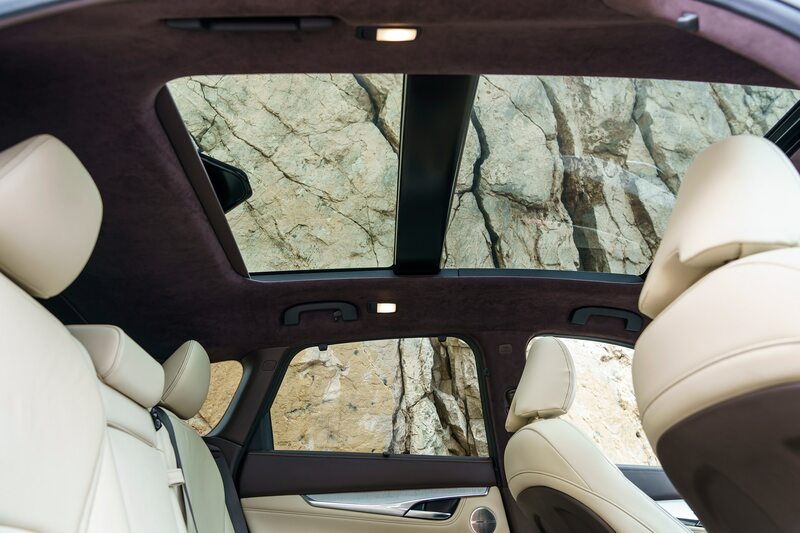 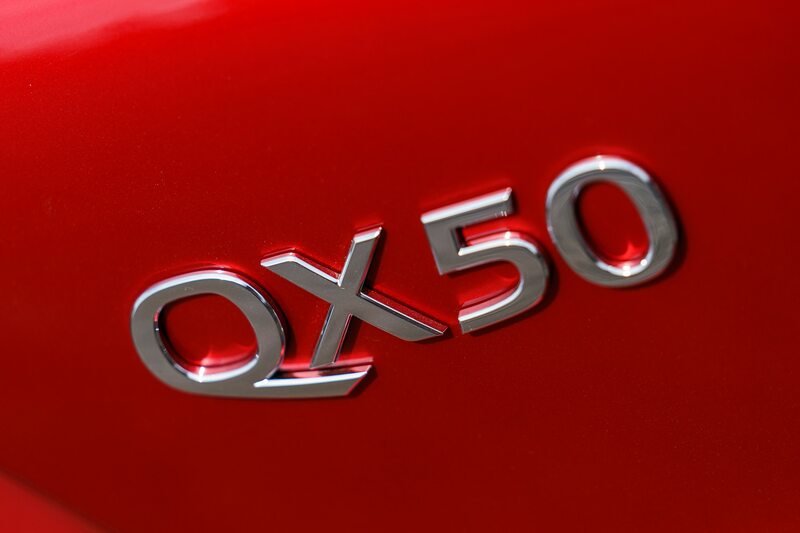 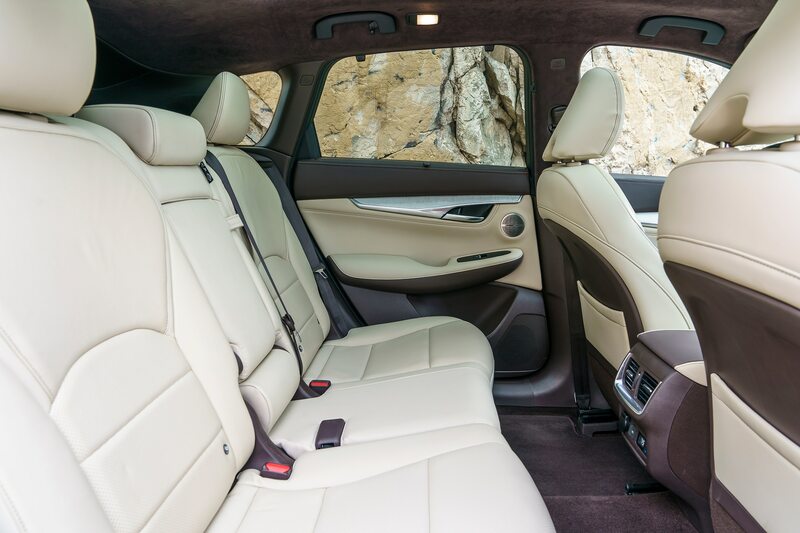 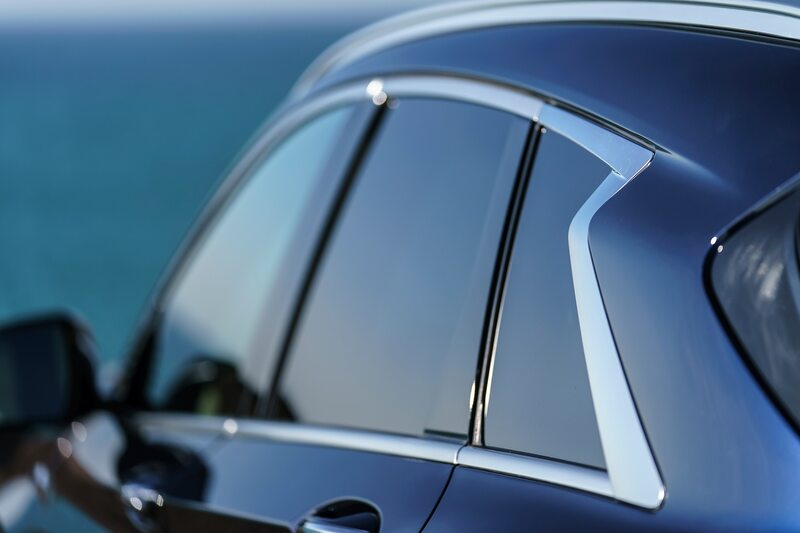 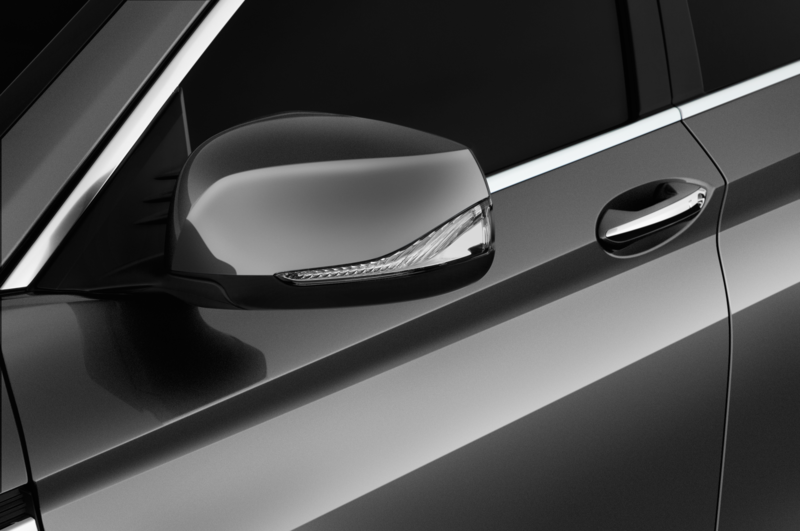 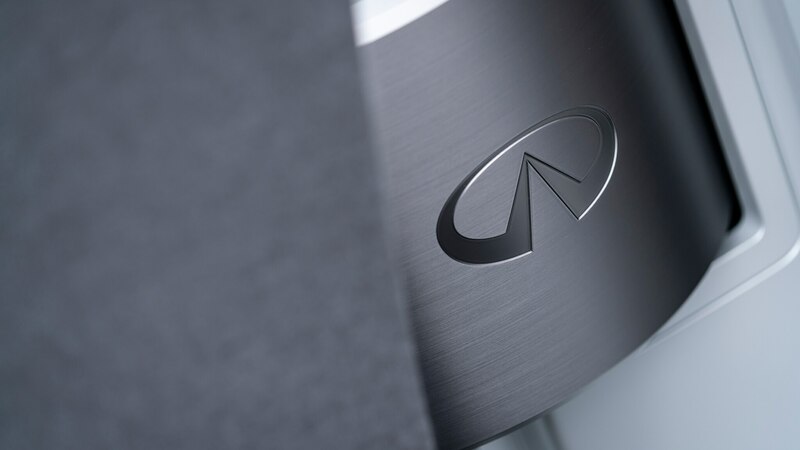 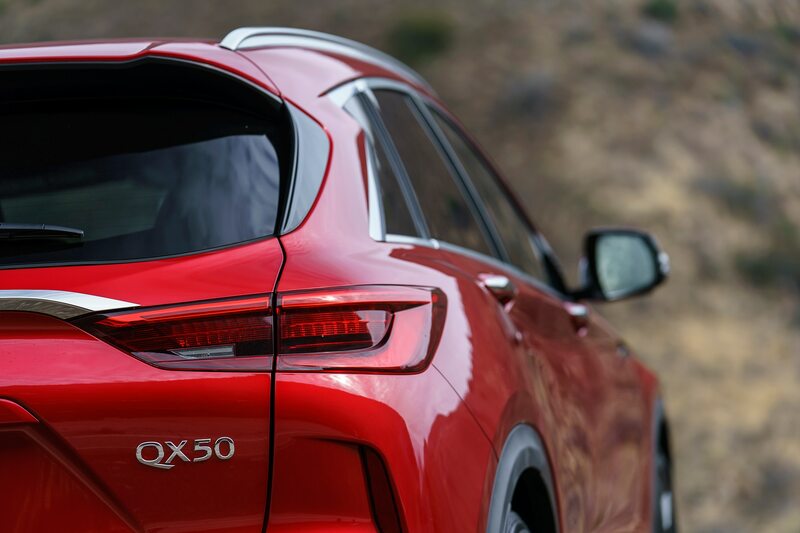 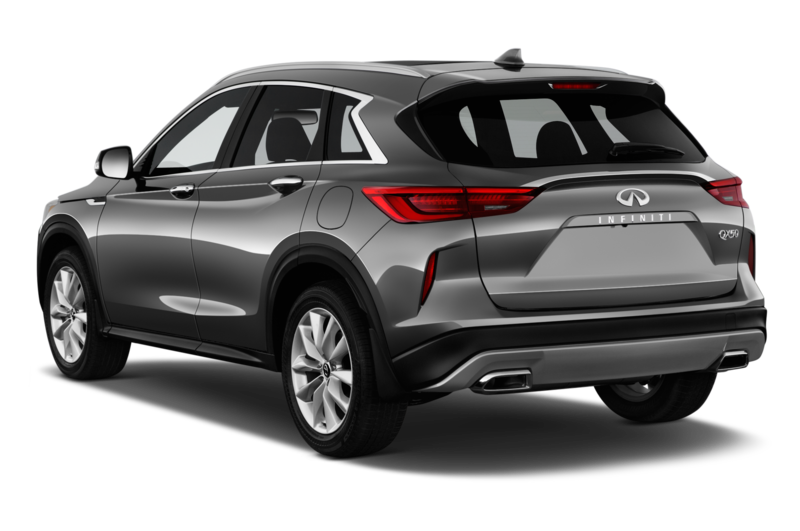 The QX Inspiration shares its triple-bubble hood with the contemporary QX50, an example of which currently is in our Four Seasons fleet. 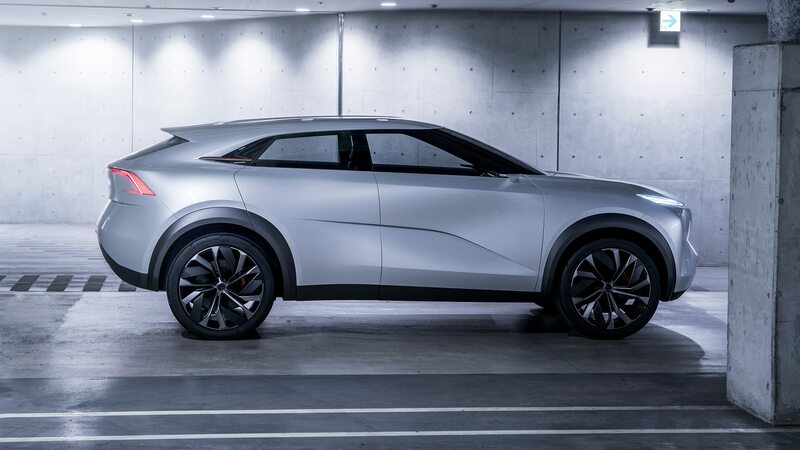 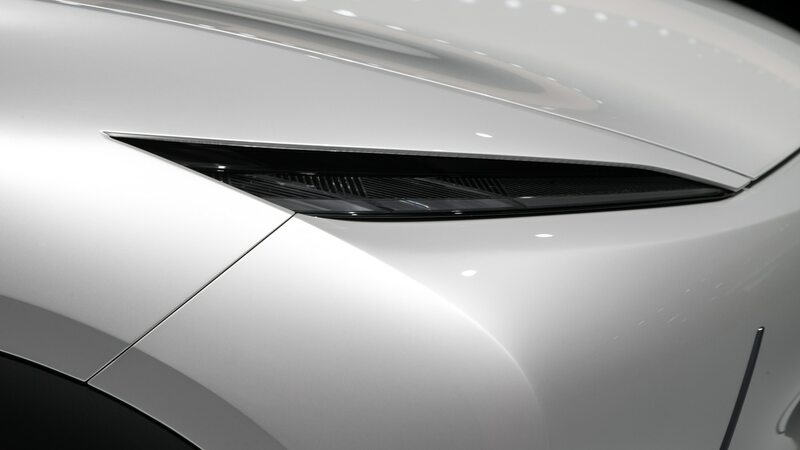 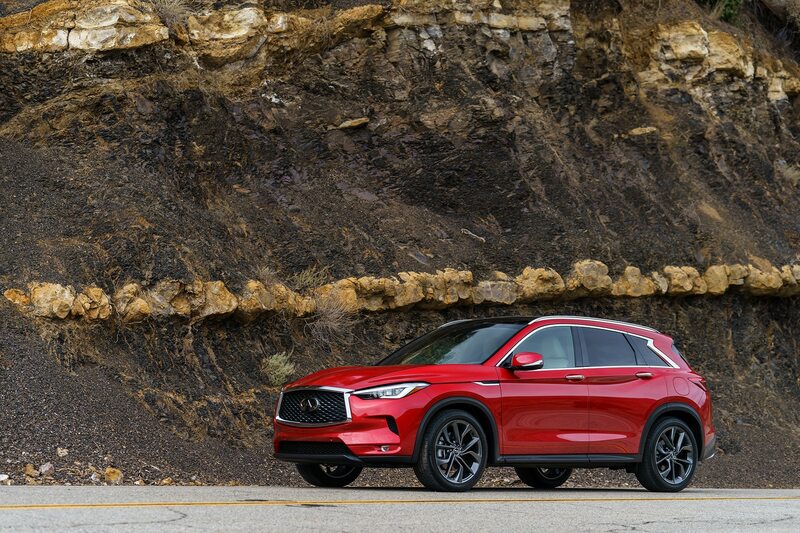 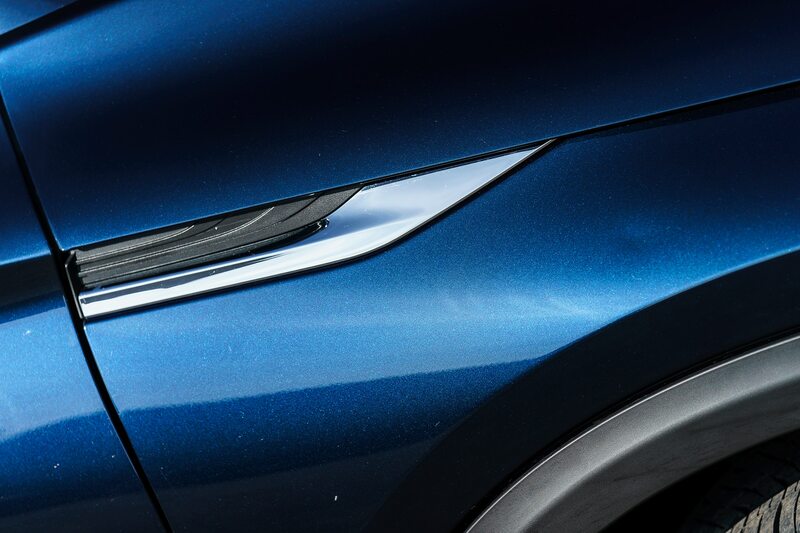 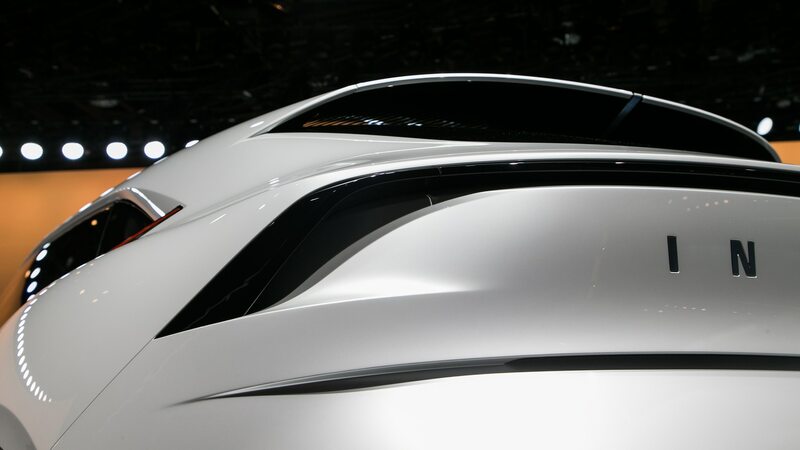 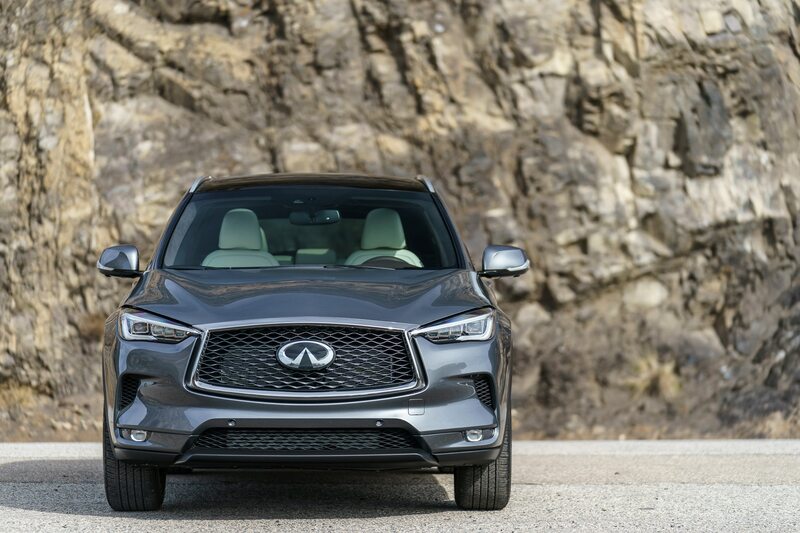 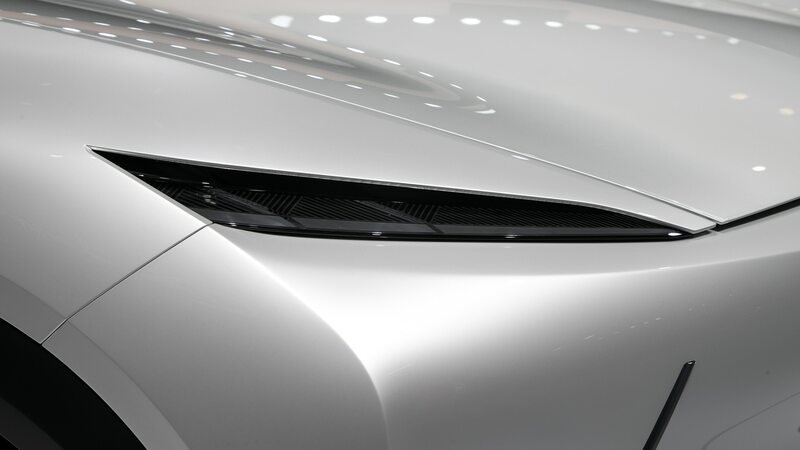 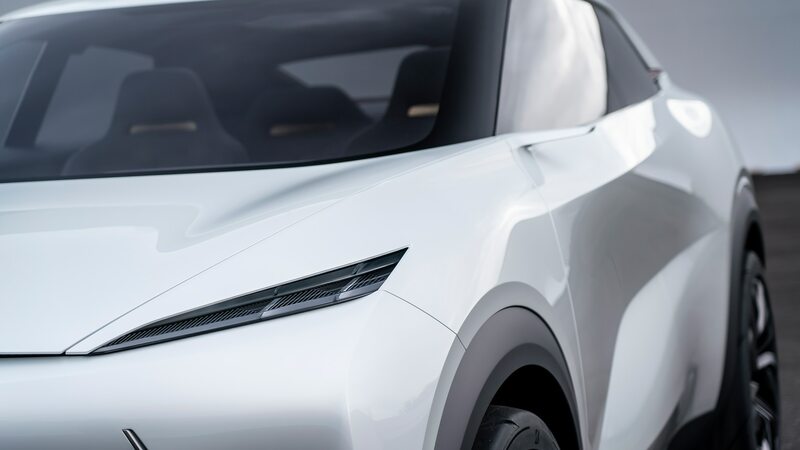 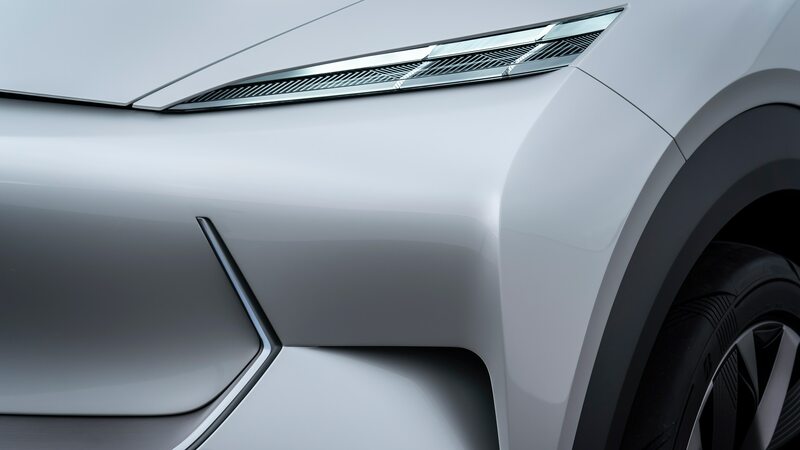 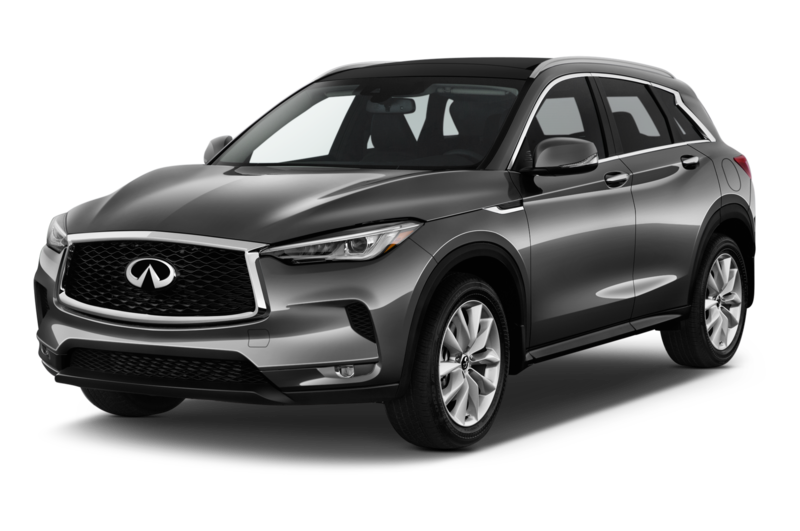 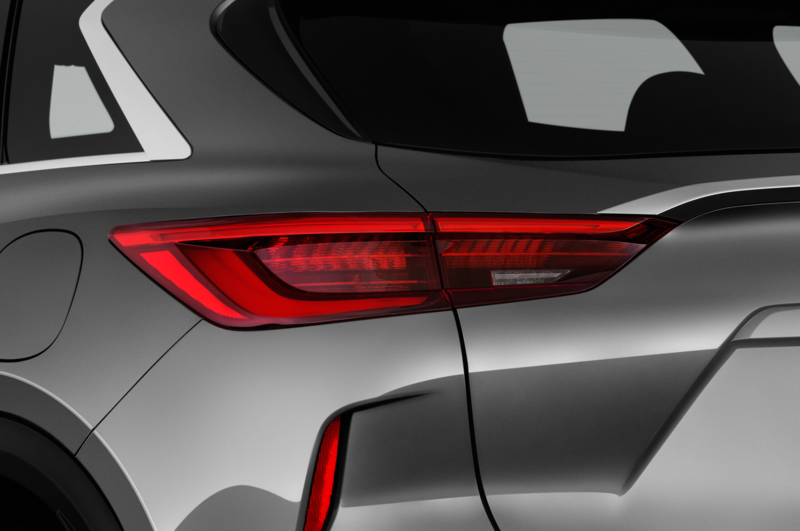 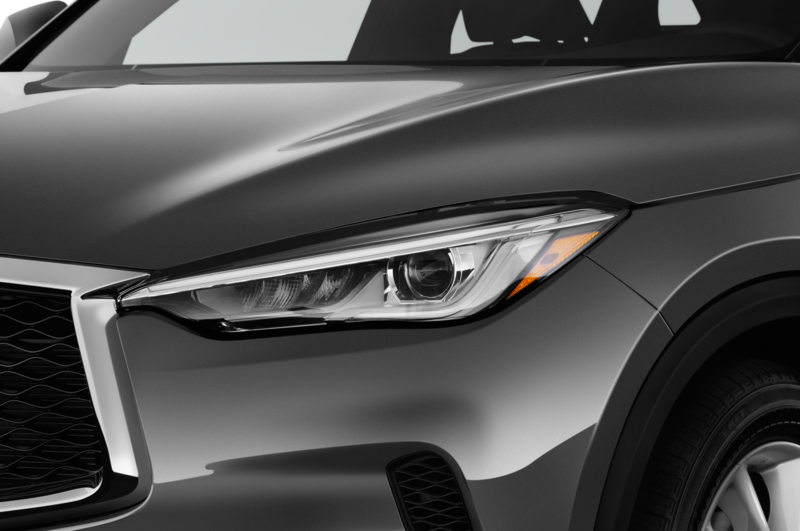 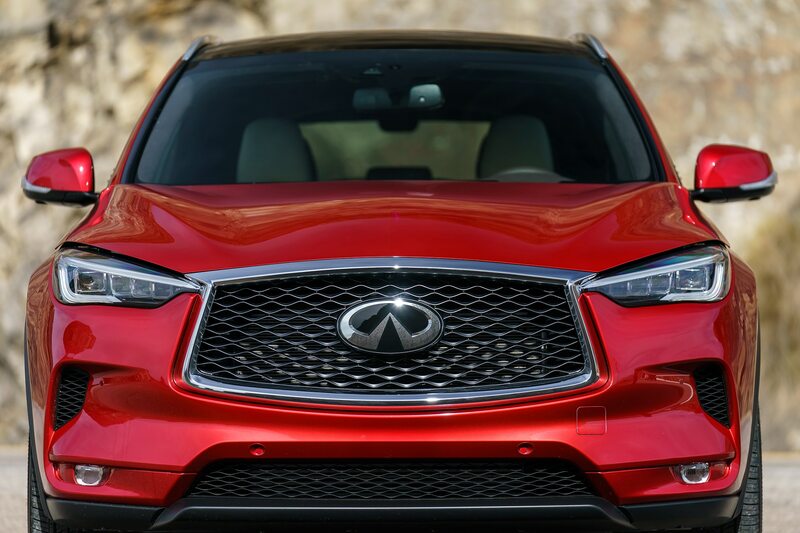 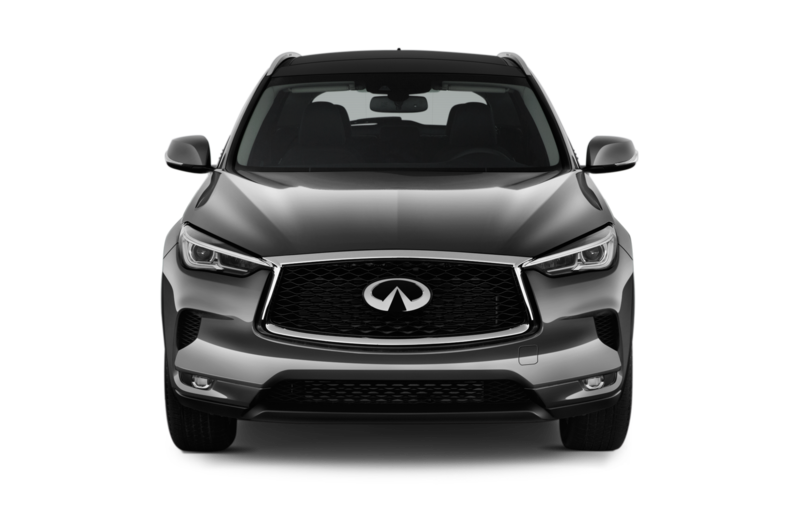 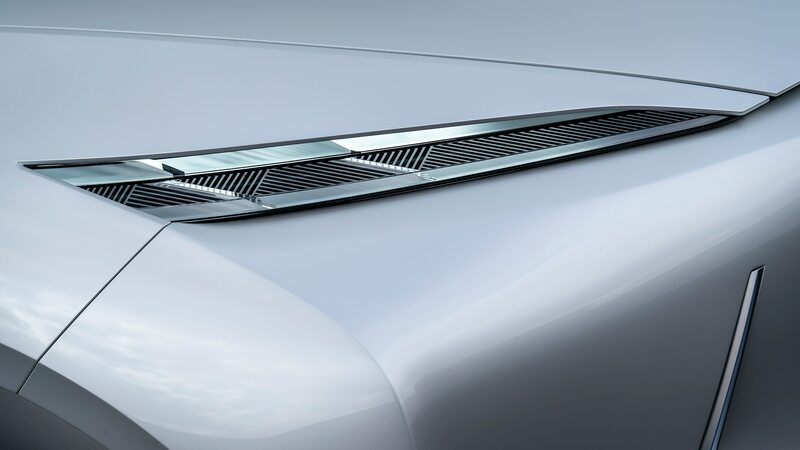 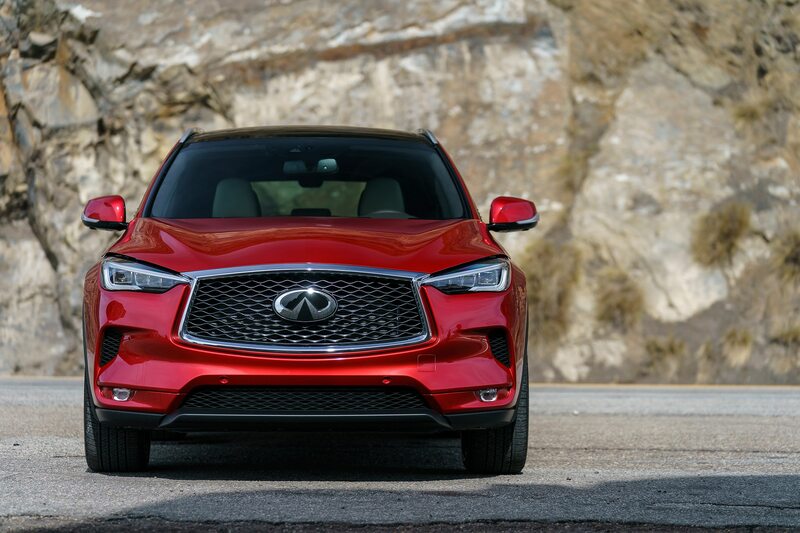 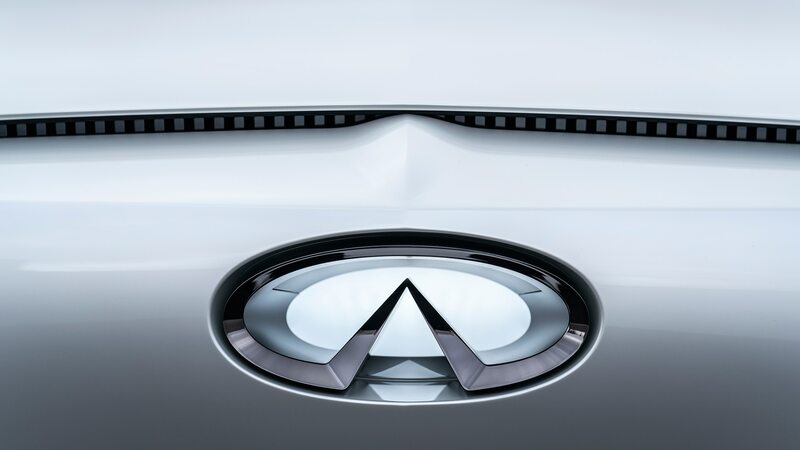 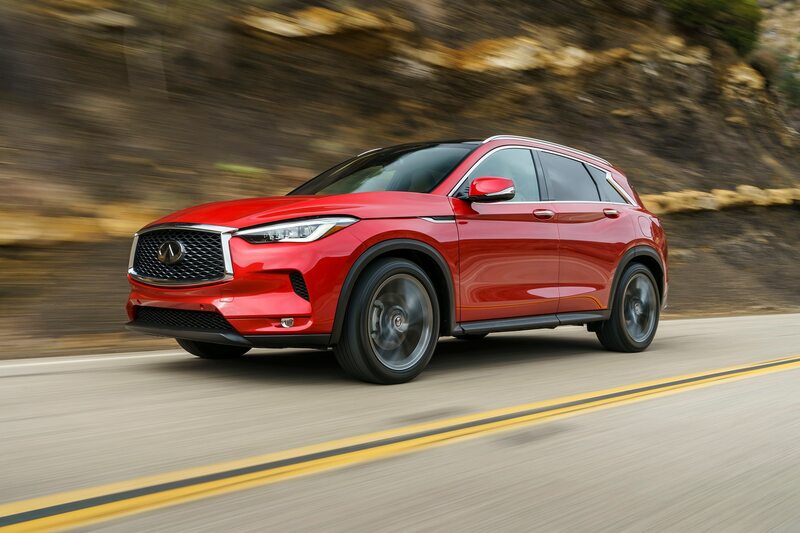 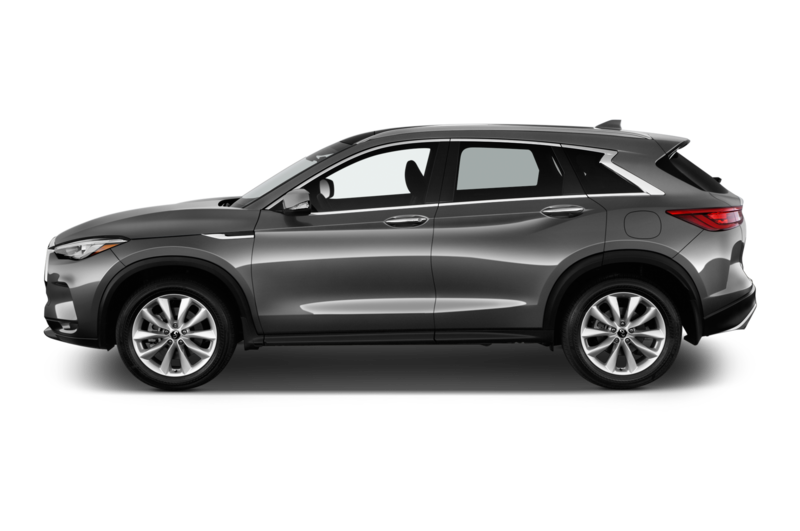 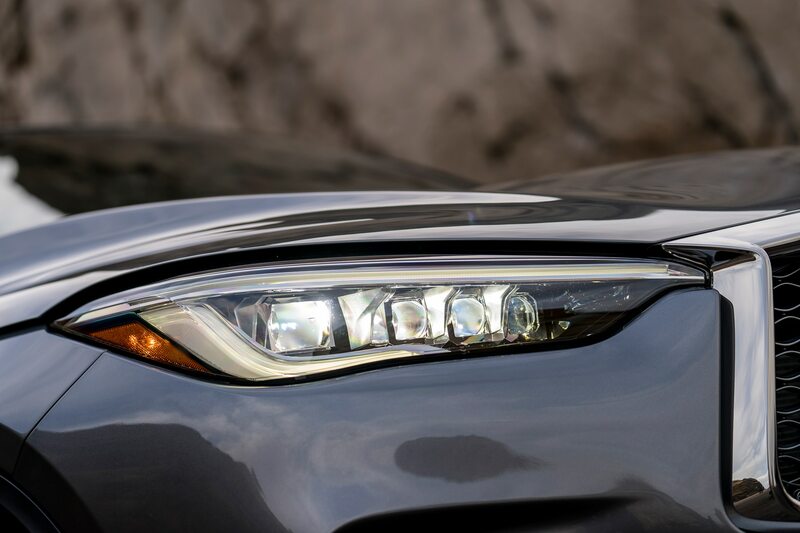 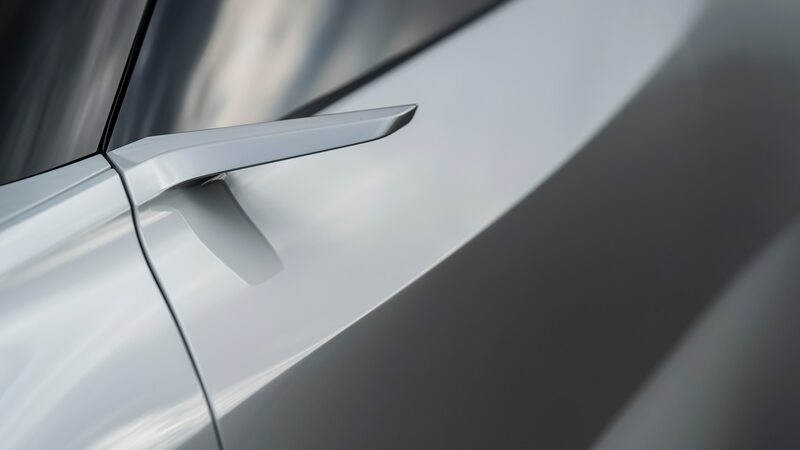 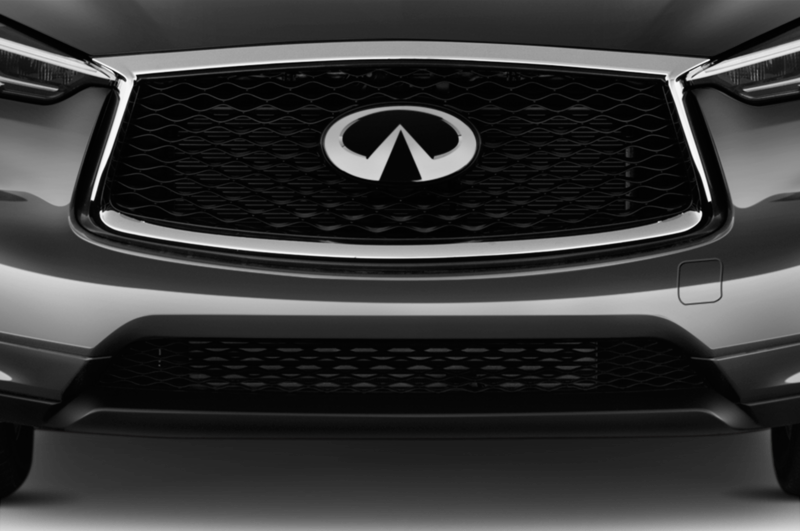 The rest of the front end view looks like a minimalist sketch of the QX50, with mere suggestions of a grille and headlights. 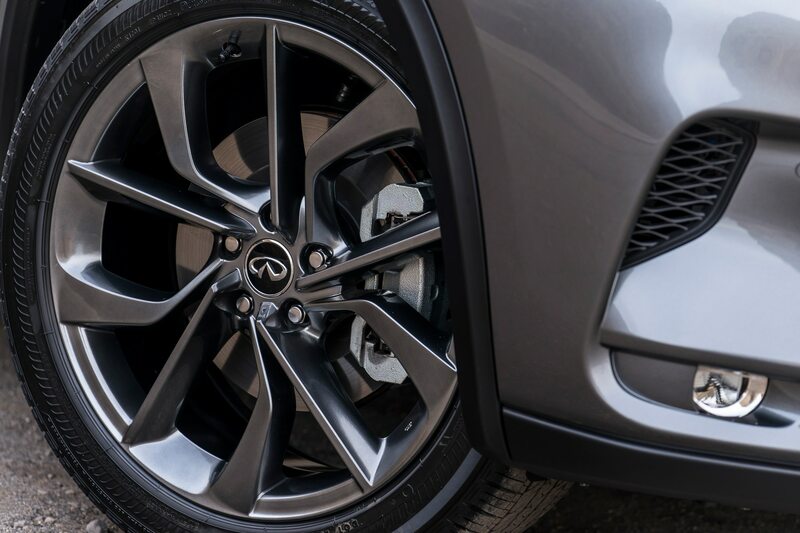 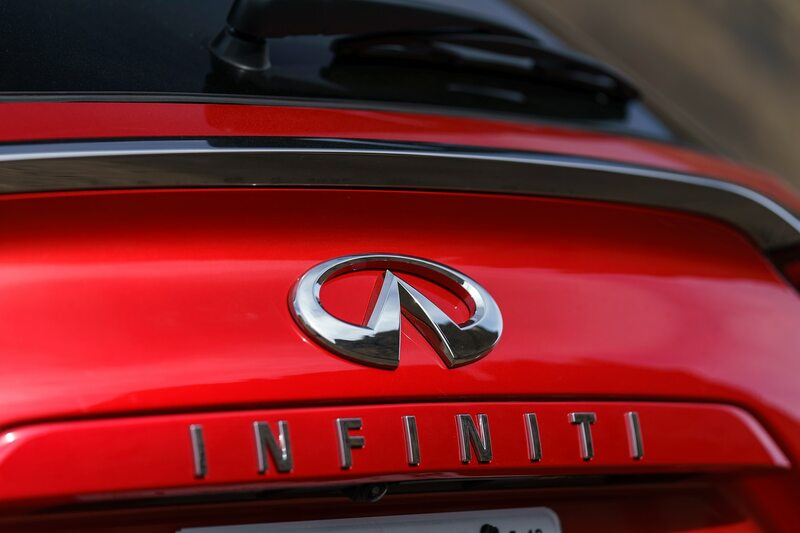 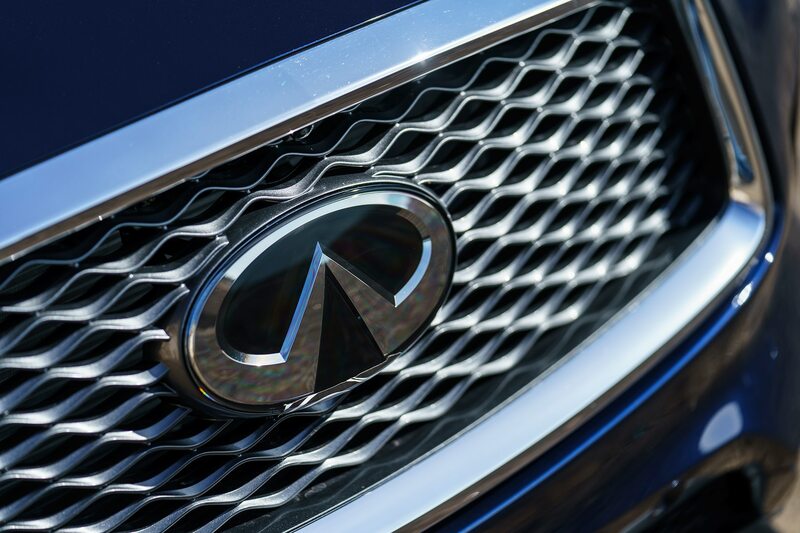 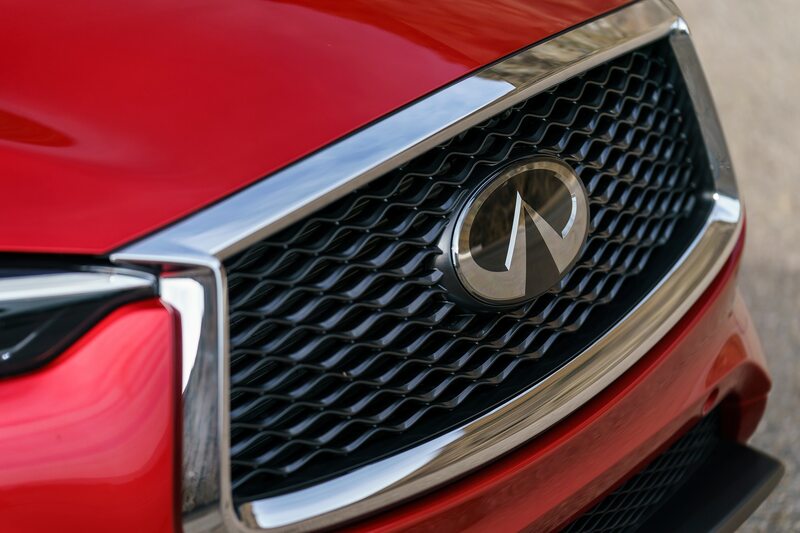 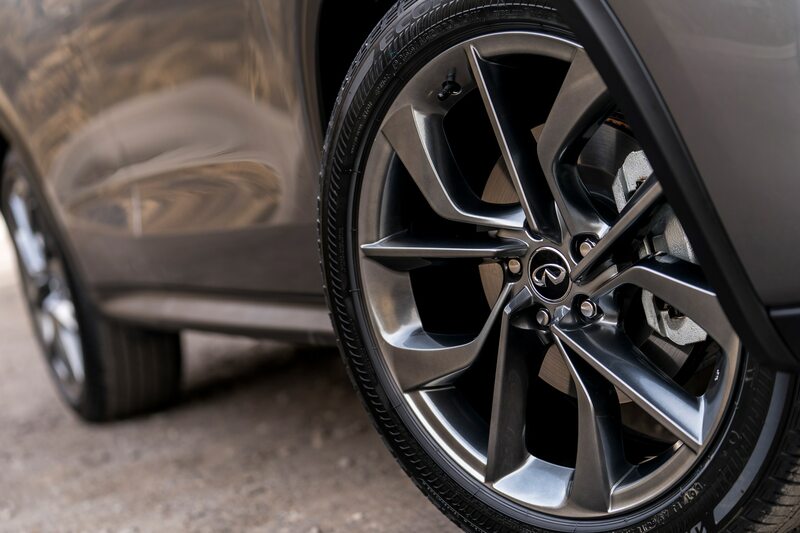 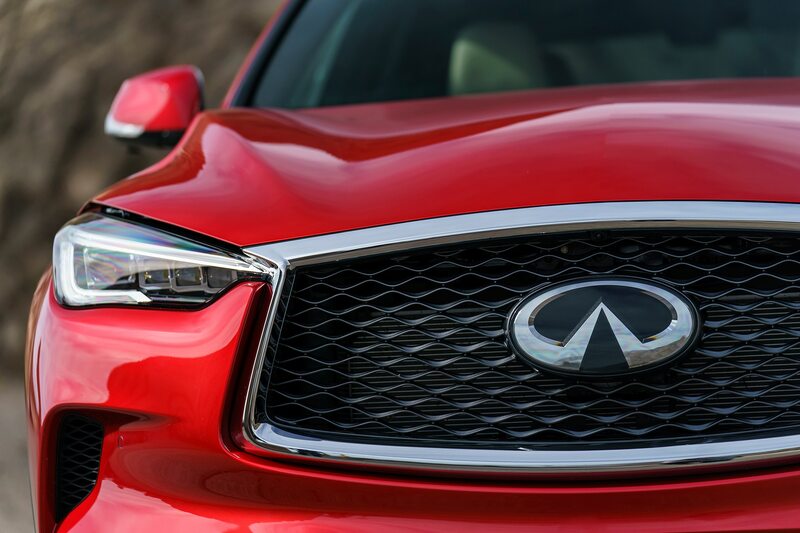 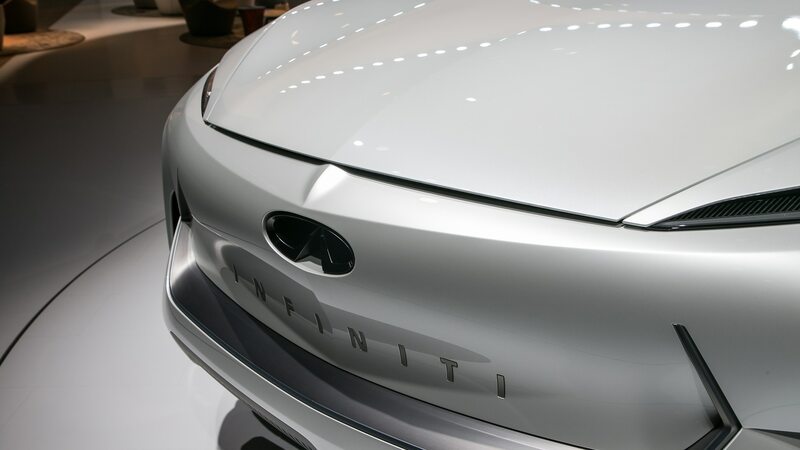 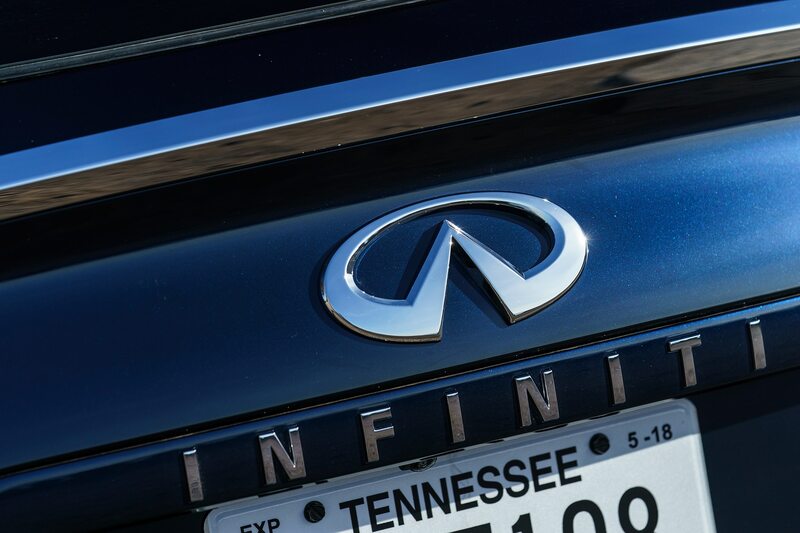 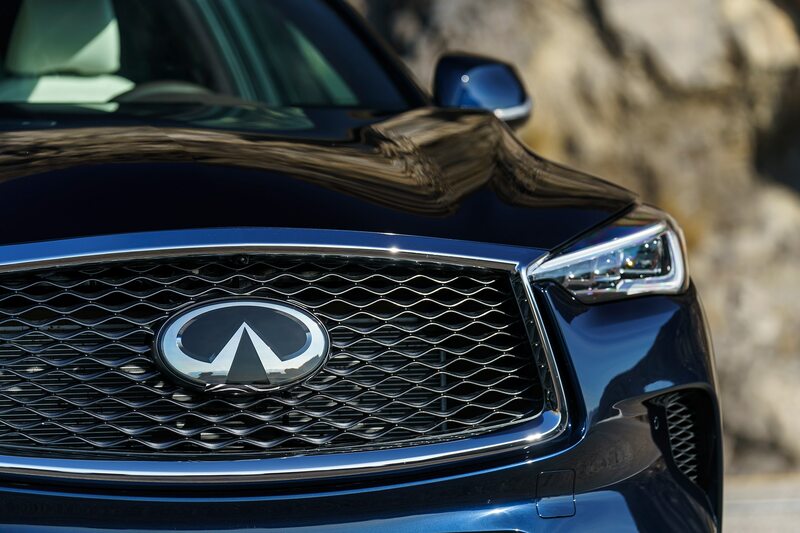 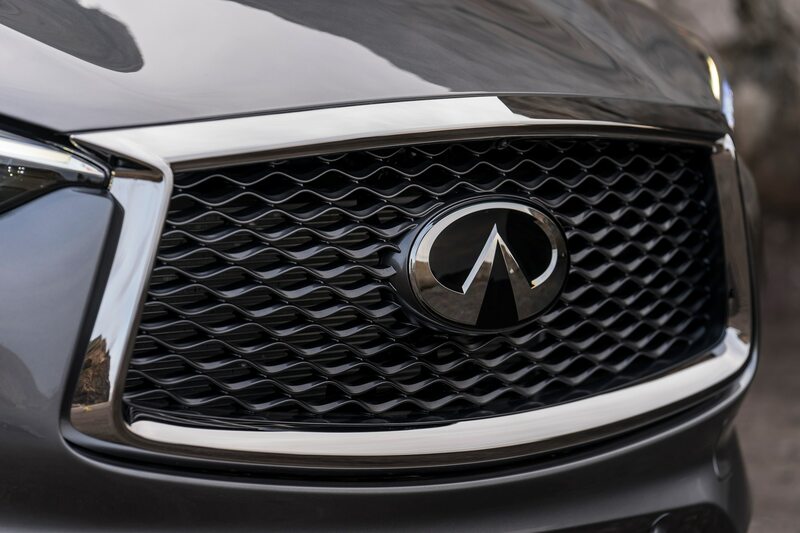 The grille-less look may take some getting used to, but we like Infiniti’s execution. 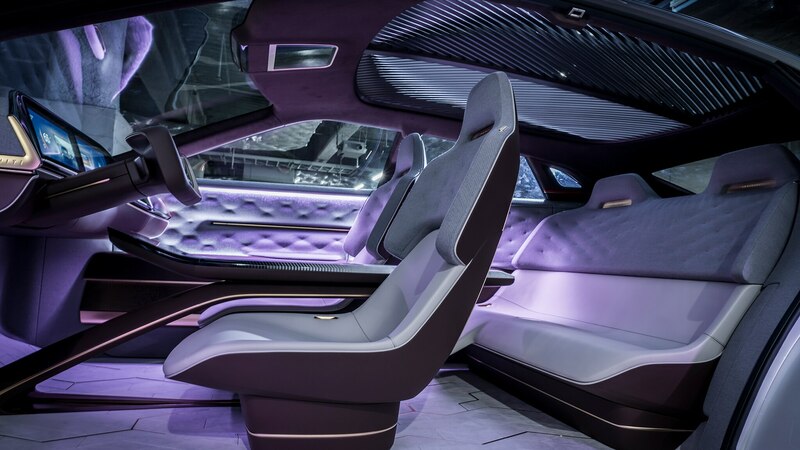 Inside, the cabin is meant to give a lounge-like feel. 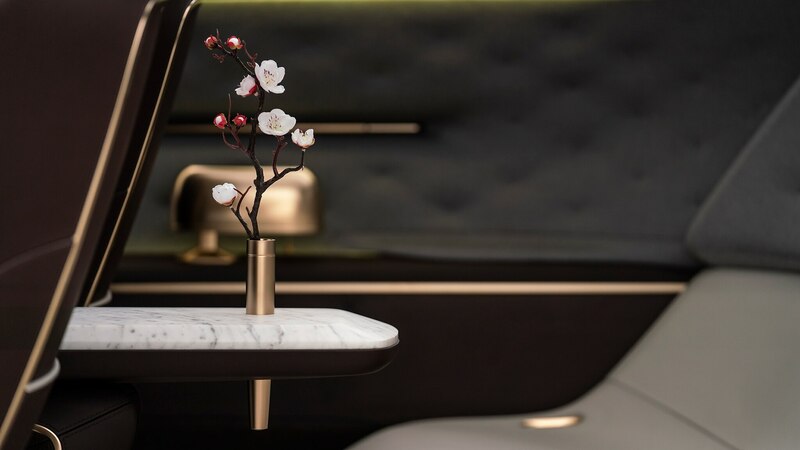 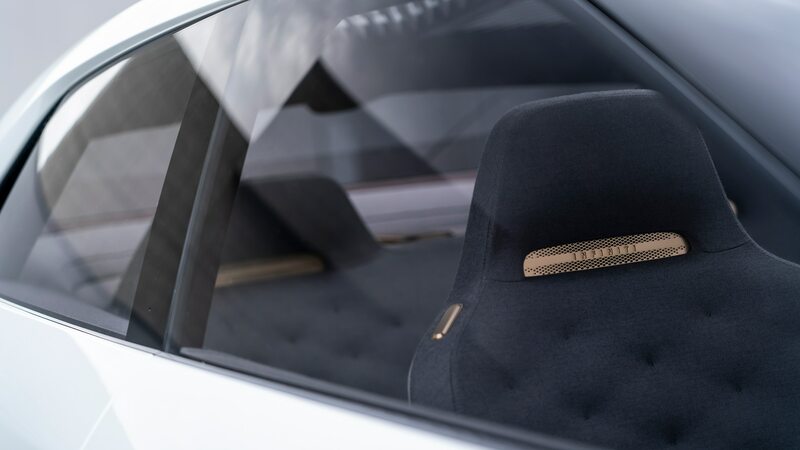 The centerpiece is a Bianco Carrara marble center console, a European material designed with a distinctly Japanese look. 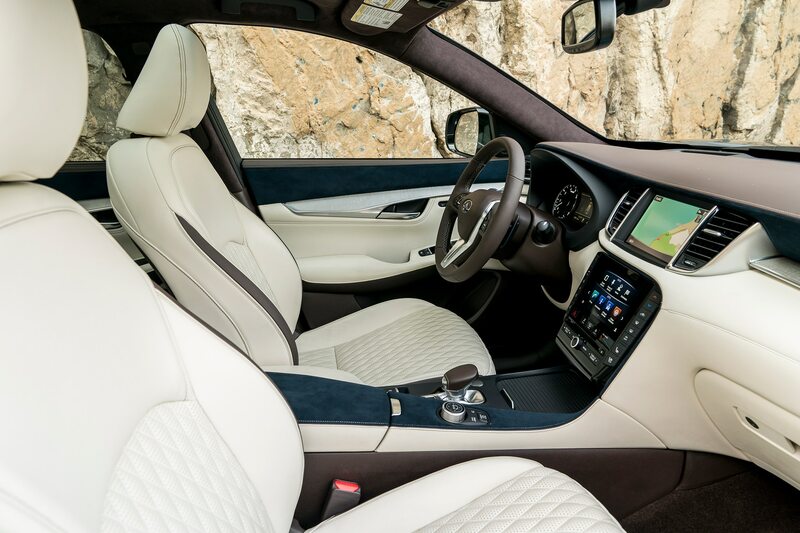 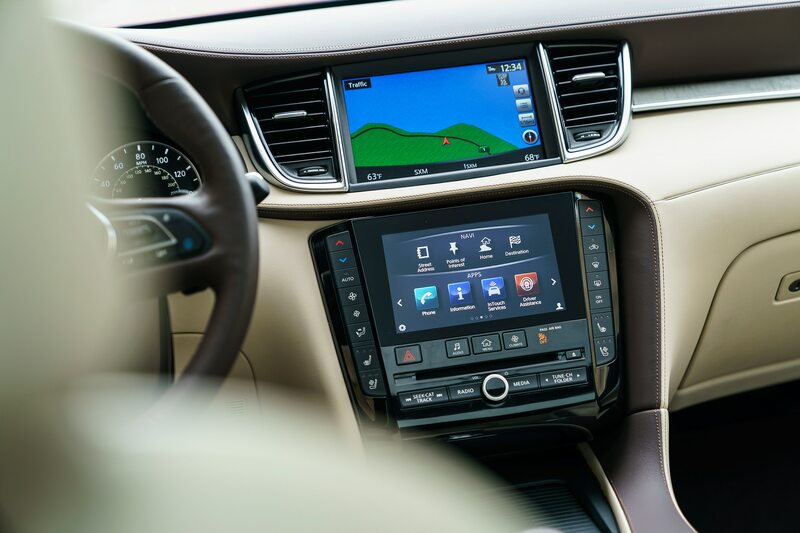 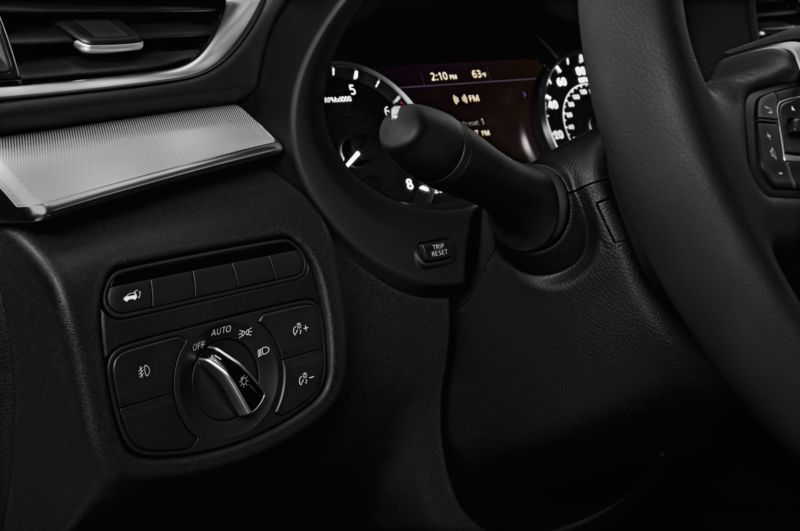 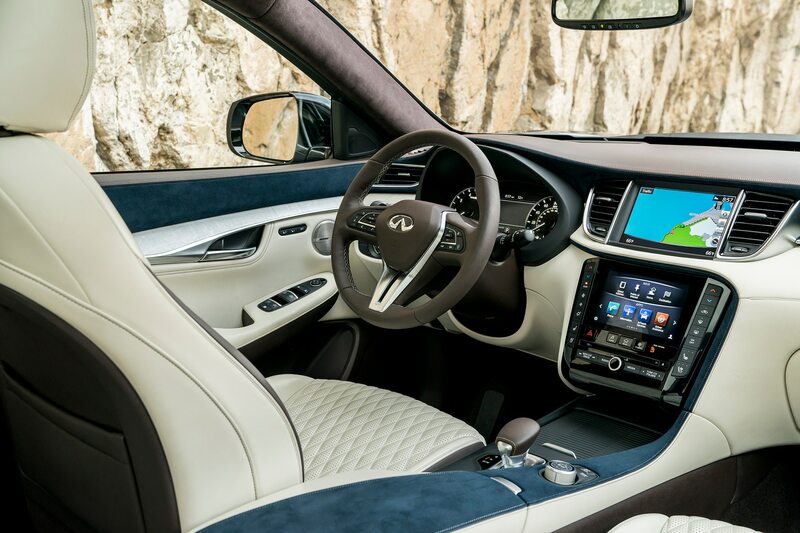 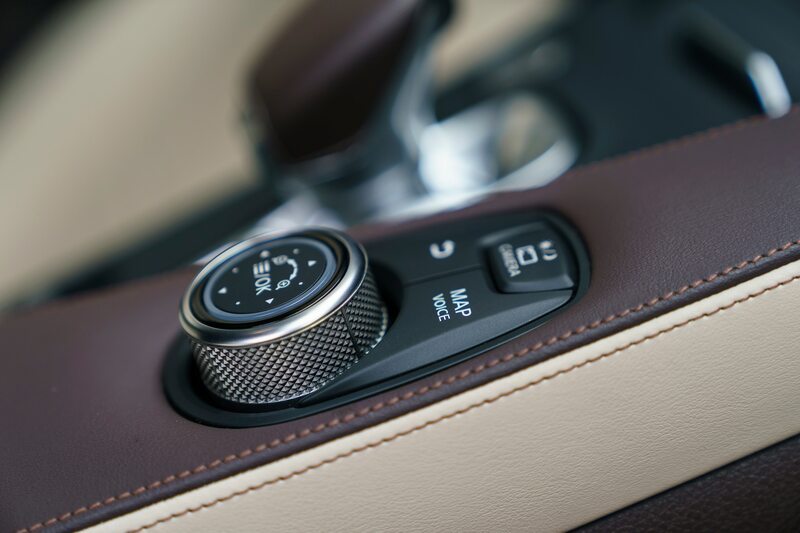 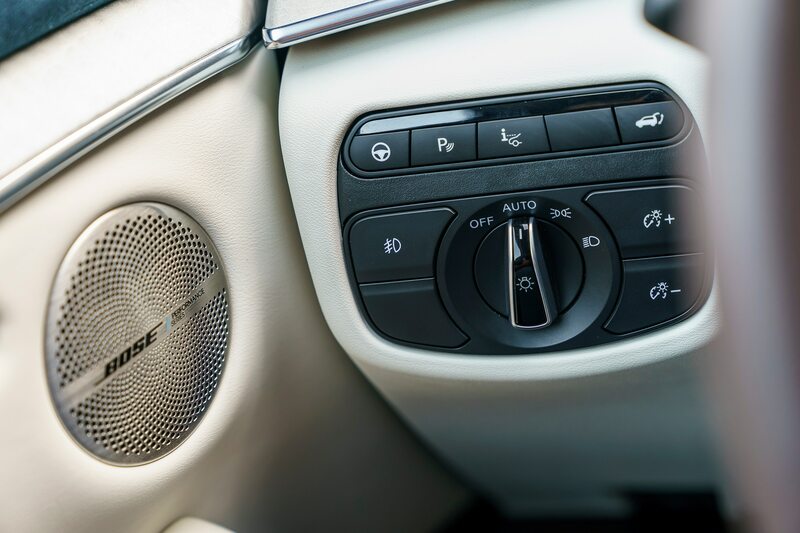 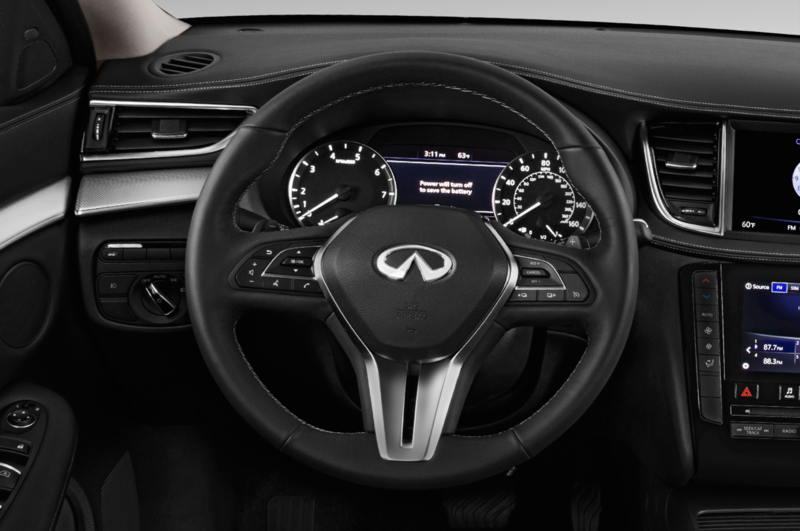 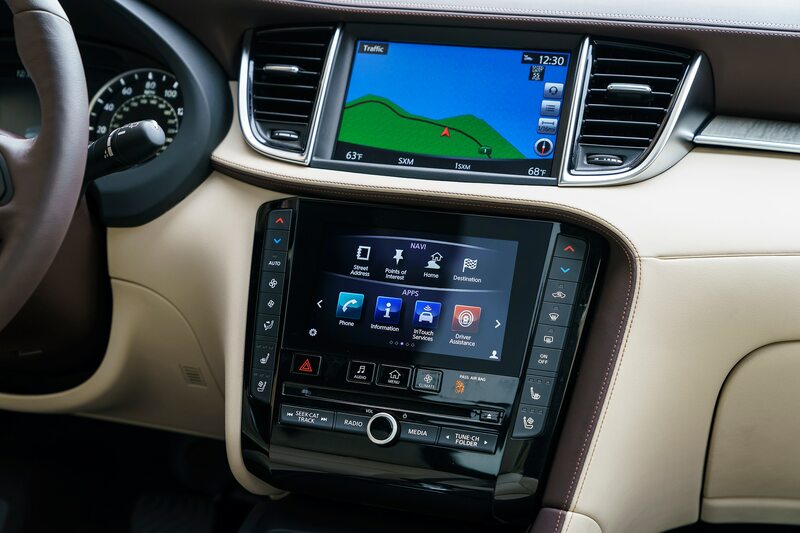 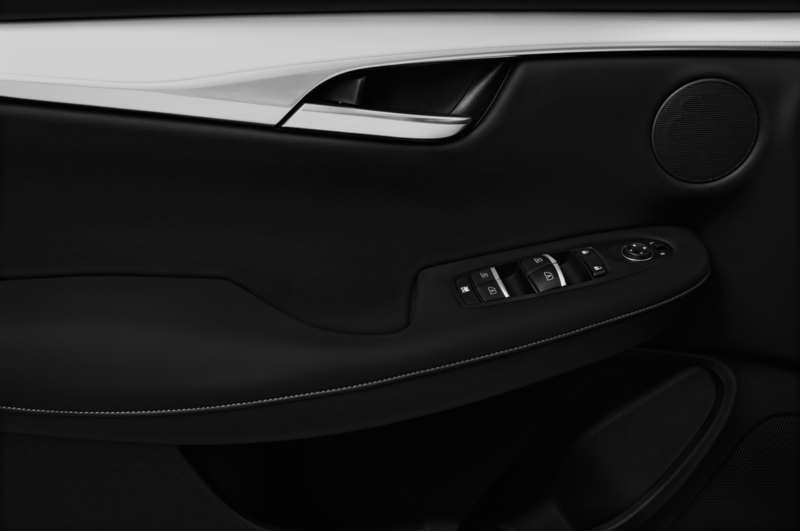 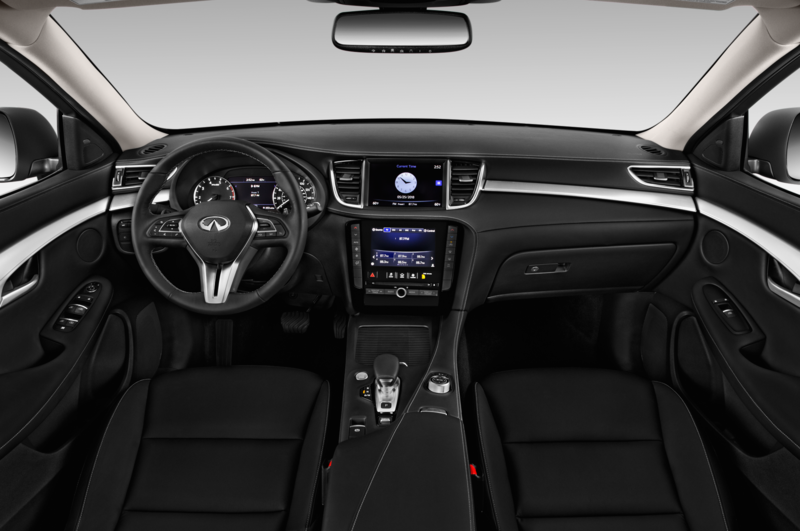 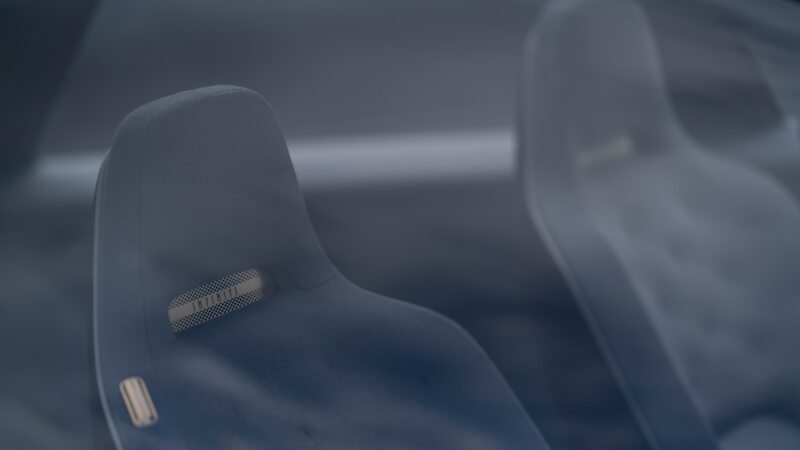 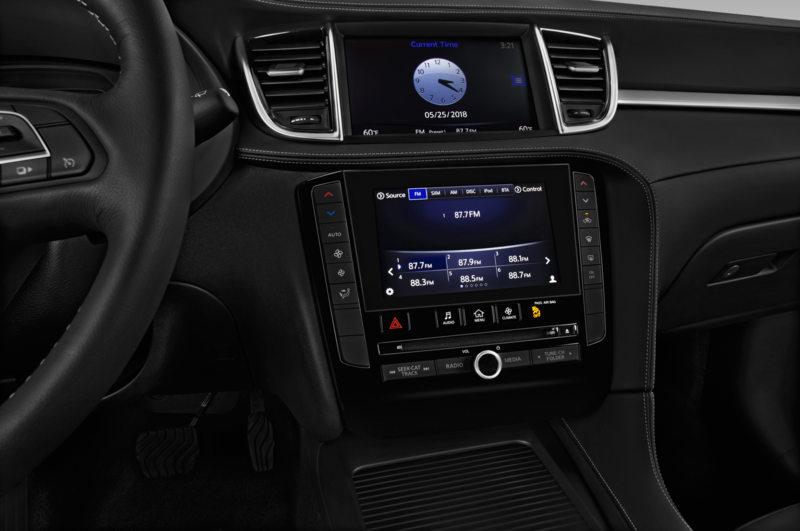 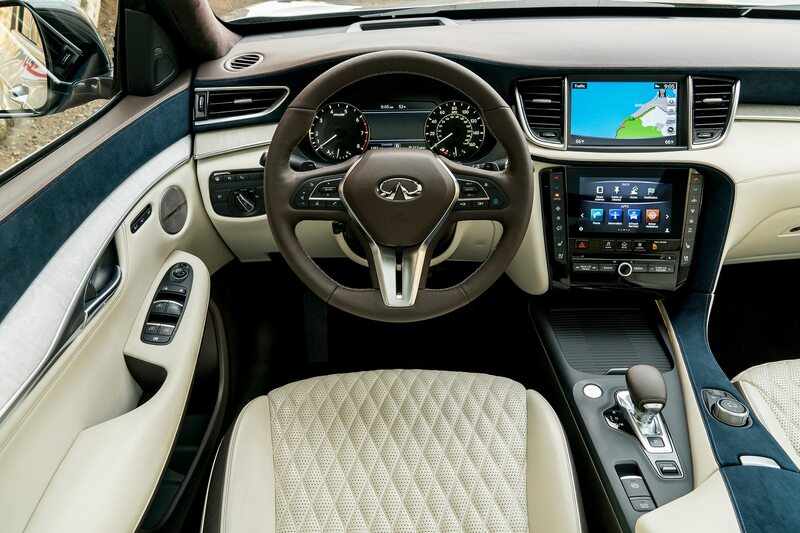 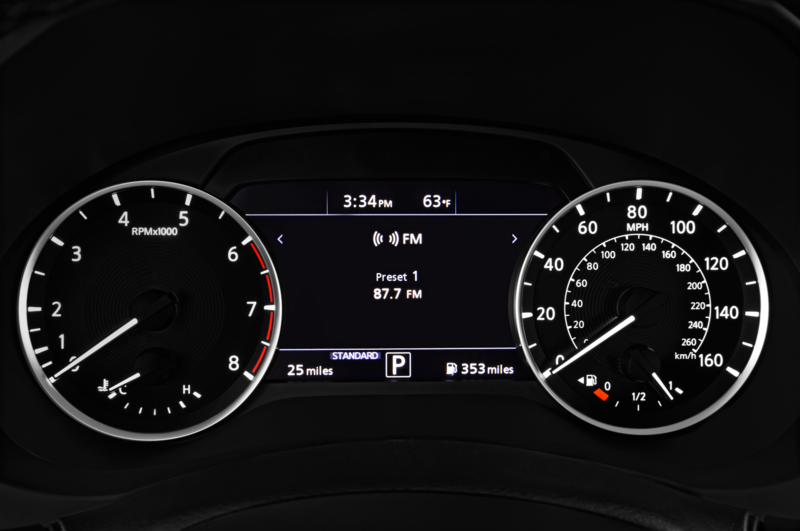 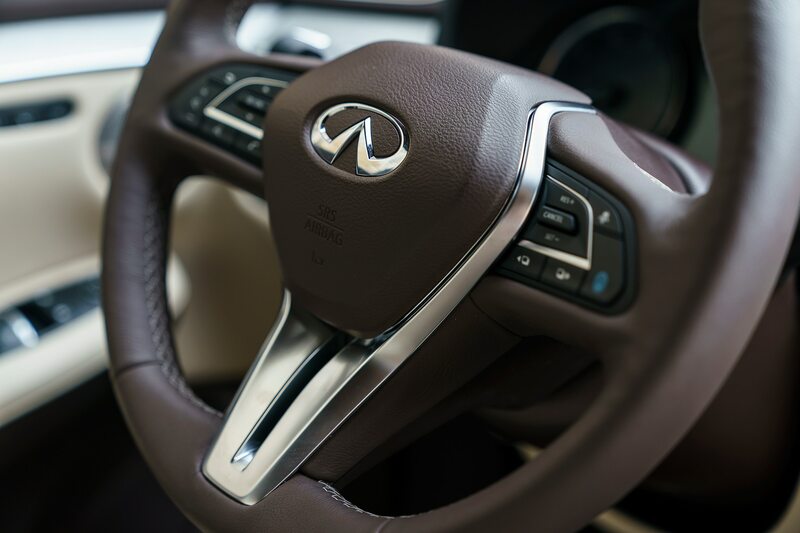 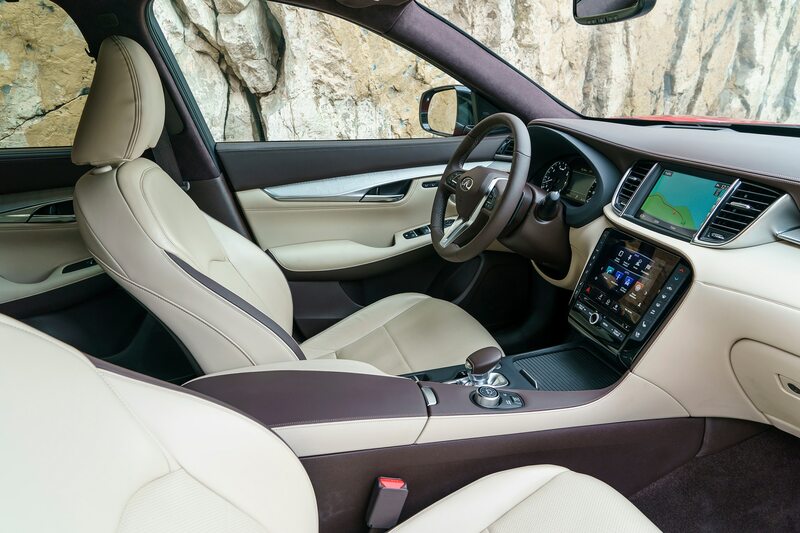 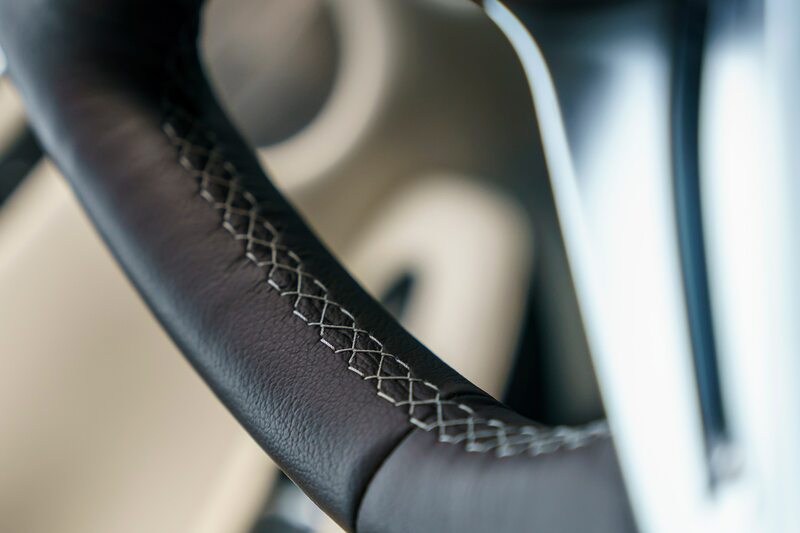 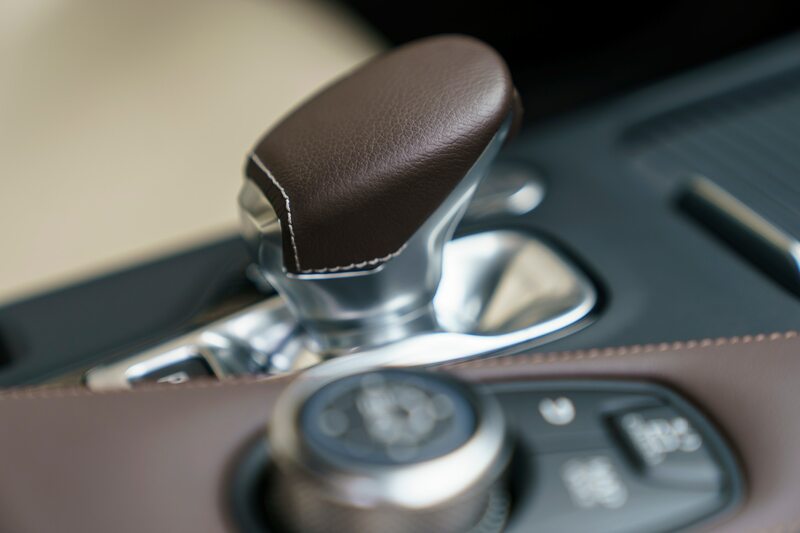 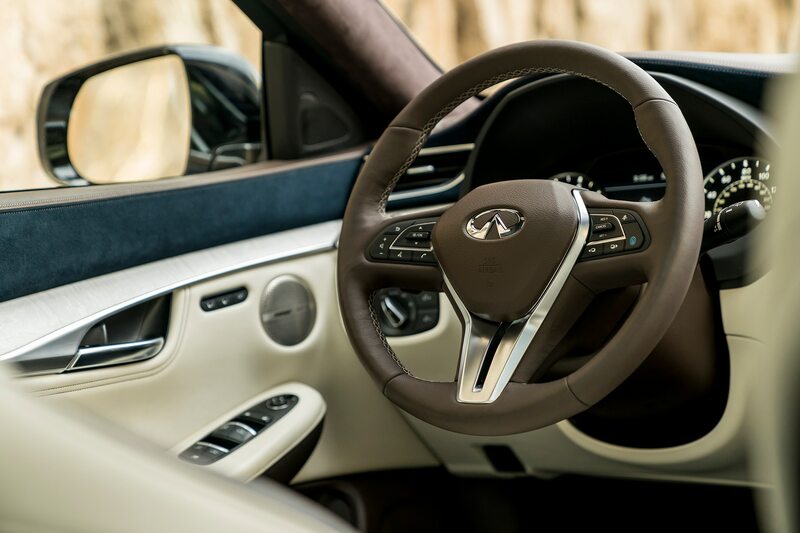 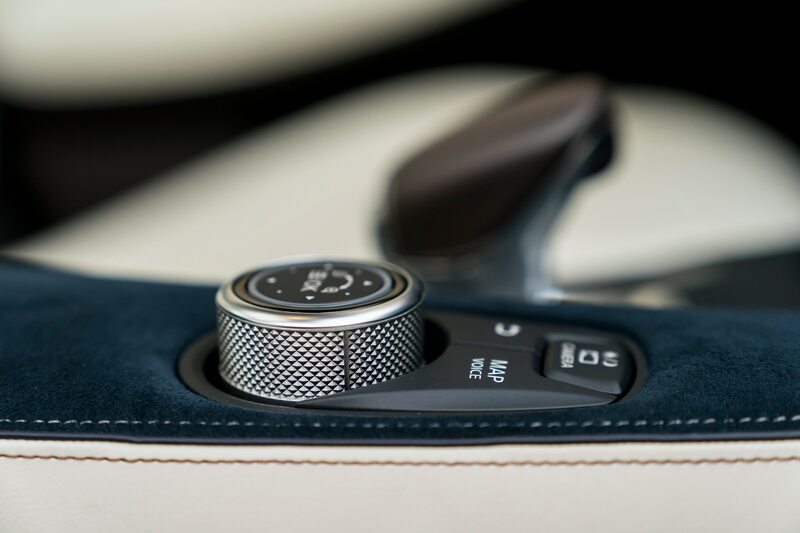 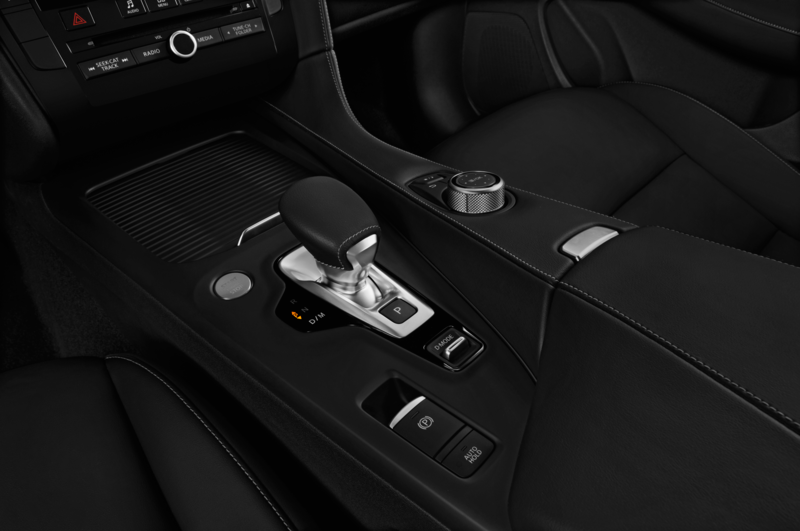 Ambient lighting is intended to reflect the nature-inspired grays, browns, and white hues of the Inspiration QX’s interior. 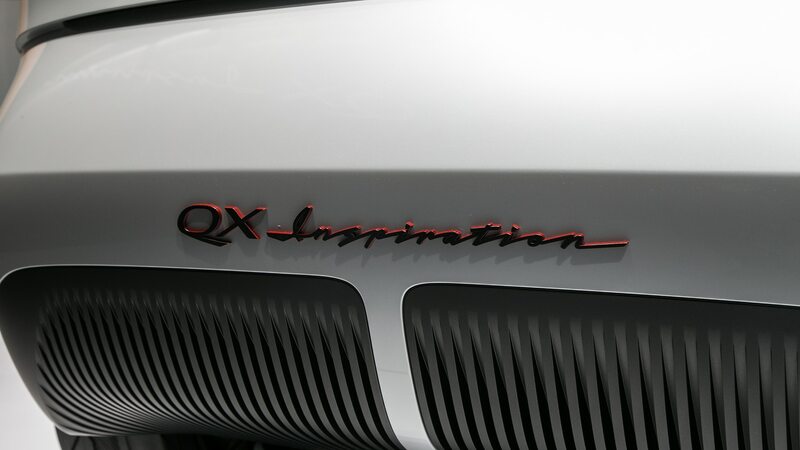 When will we see the QX Inspiration’s design elements make it to production models? 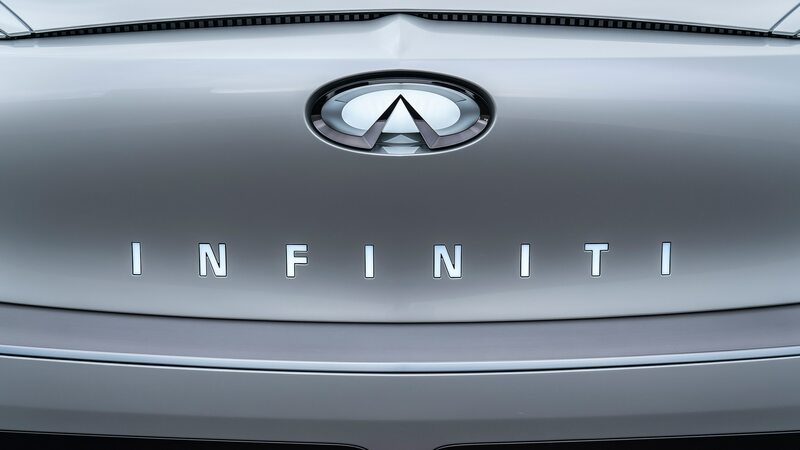 Infiniti isn’t saying, but given the pace at which electrified SUVs are hitting the market, a production version likely isn’t all that far away.